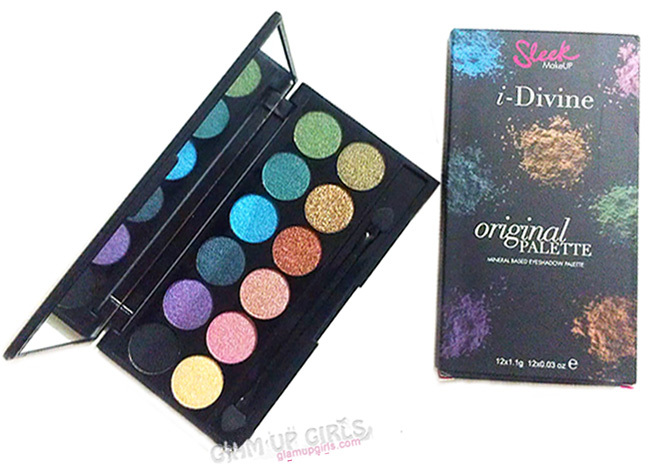 Today i am going to review one of the two Juvia's eyeshadow palettes which i grabbed during their sale. 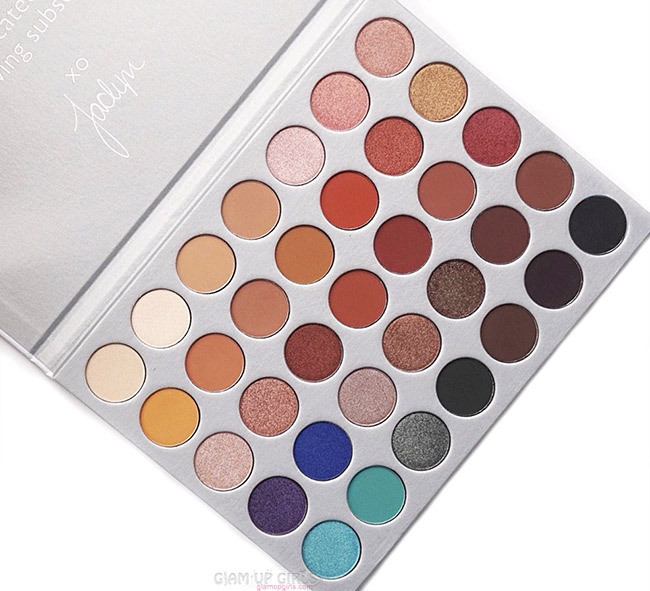 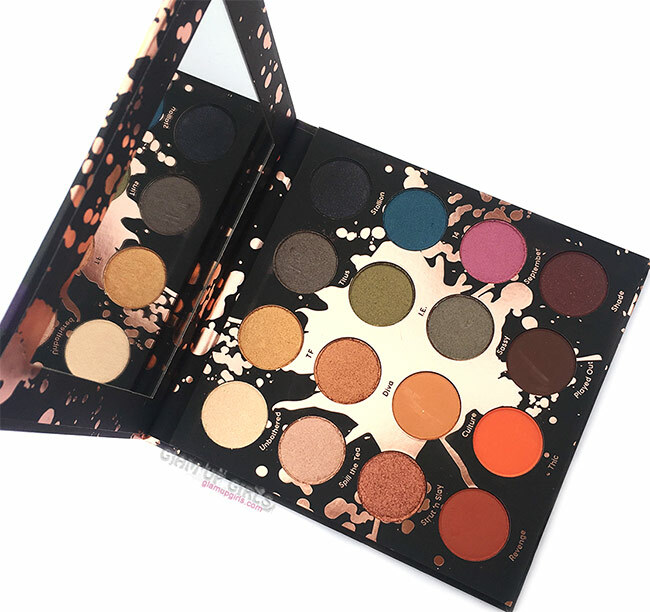 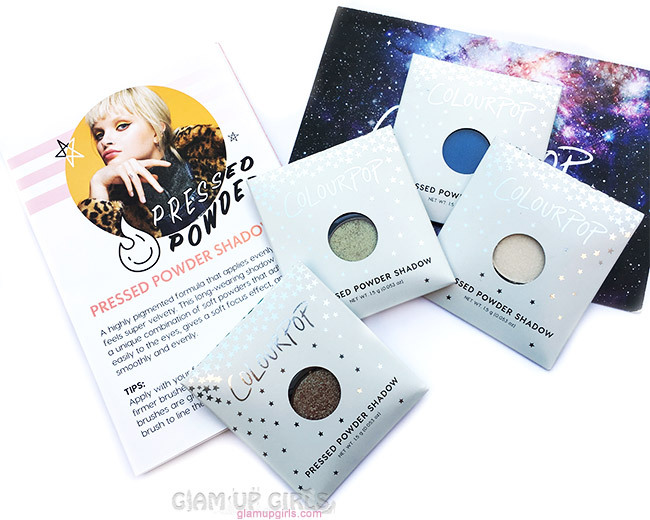 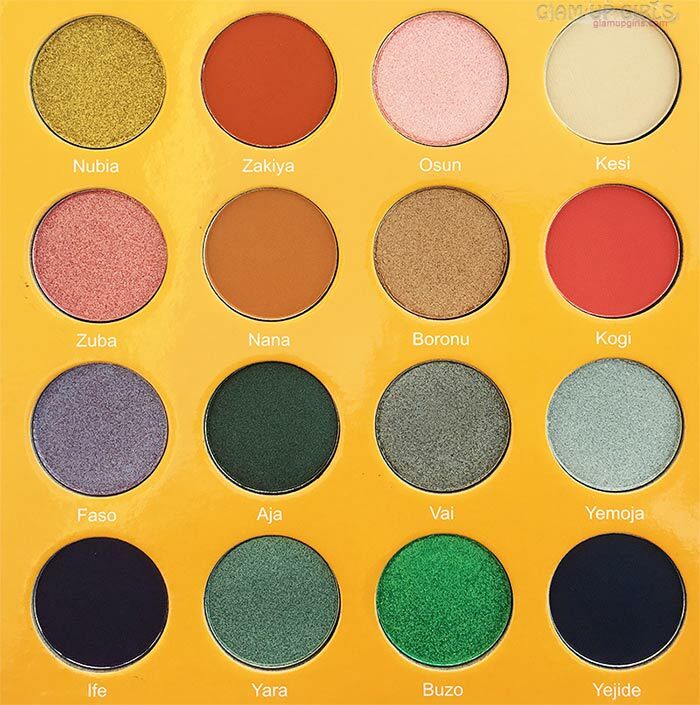 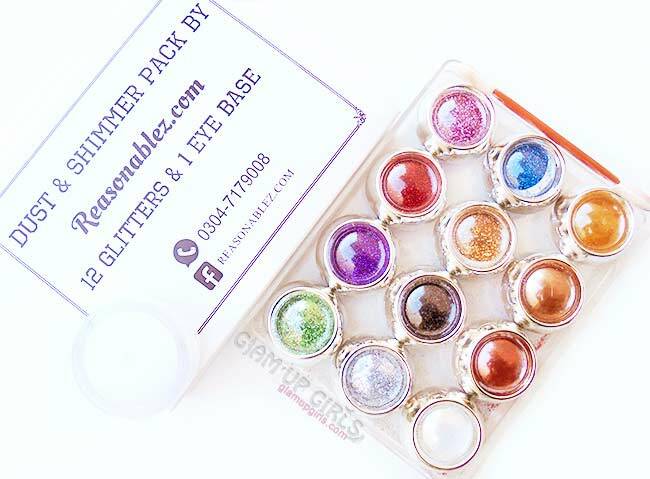 Juvia's Place eyeshadows become quite popular from last few years and everybody raved about their quality and shade selection. 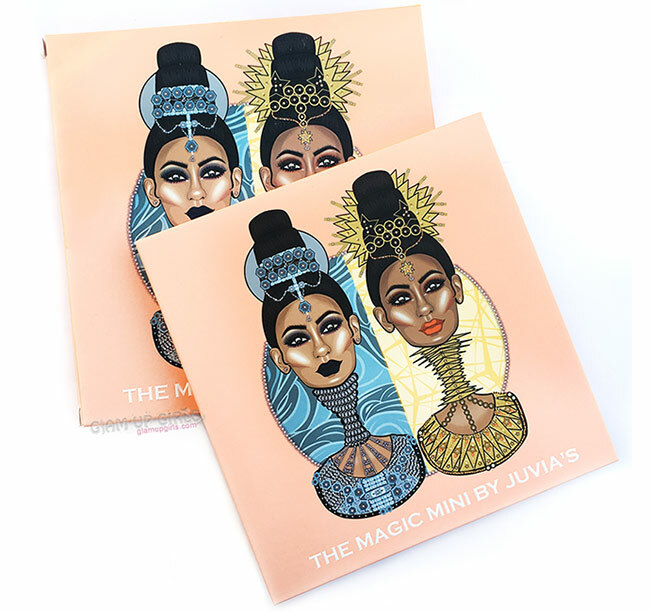 Their packaging and the African figurines make them quite interesting to hoard. 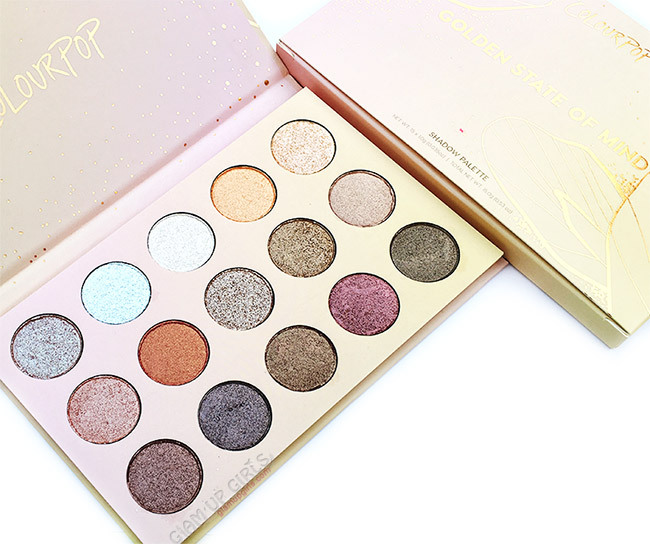 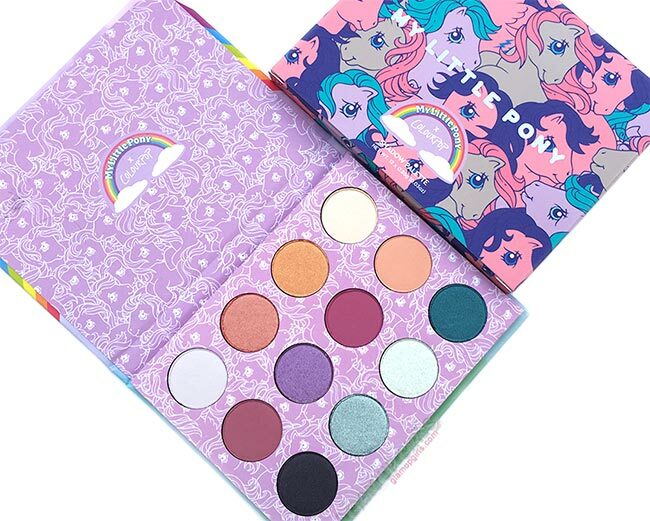 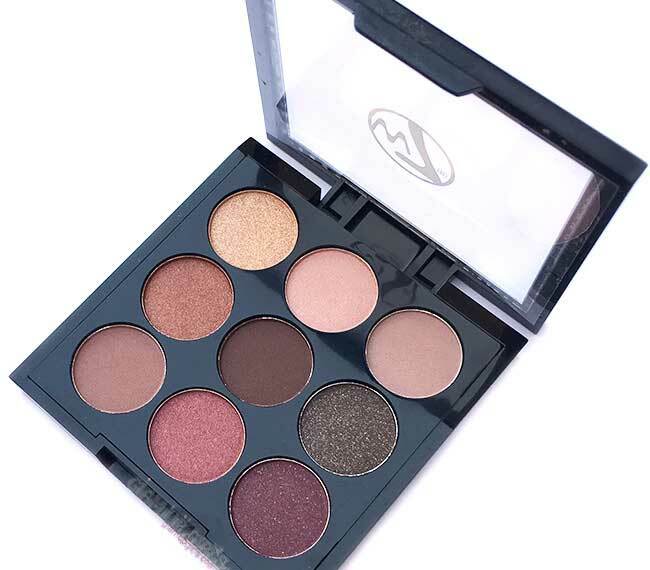 The palette i am reviewing is called The Magic Mini Eyeshadow Palette which is mini version of their Magic palette. 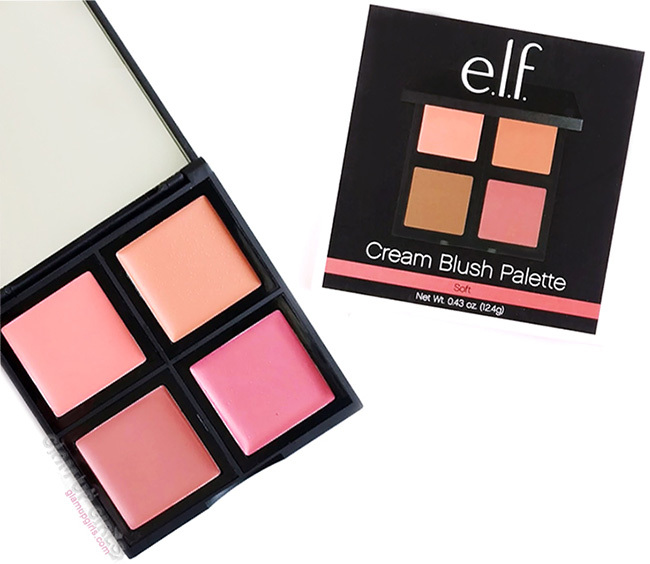 I thought it might be a compact small palette but to my surprise this mini version is larger then most of my regular palettes. 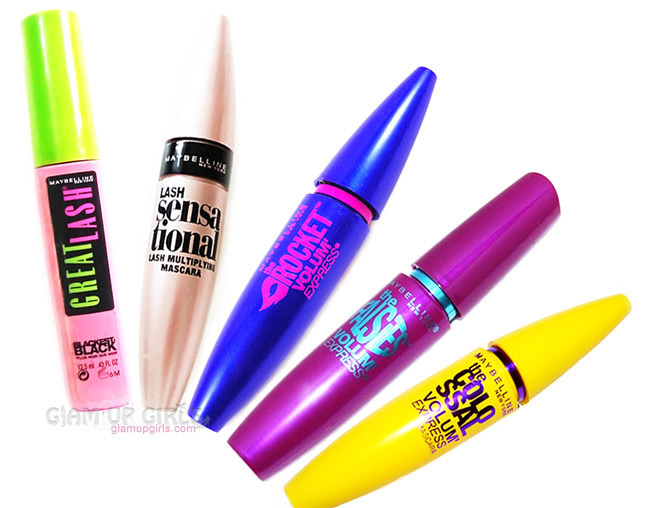 Now i am curious how large is the original one. 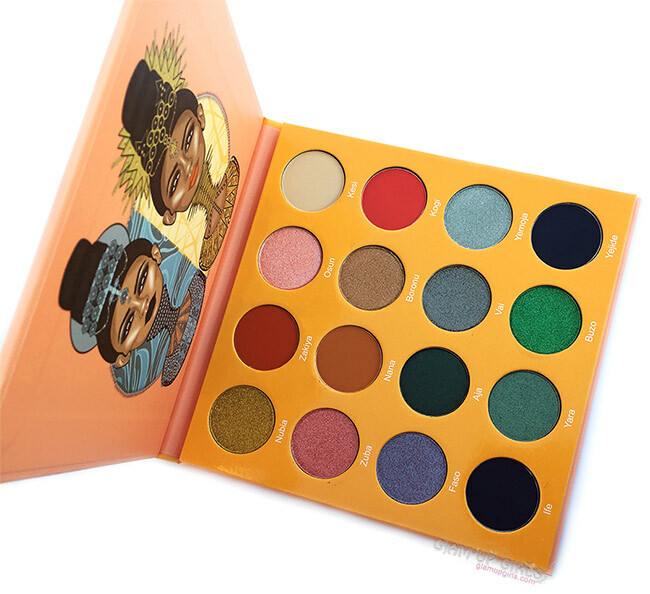 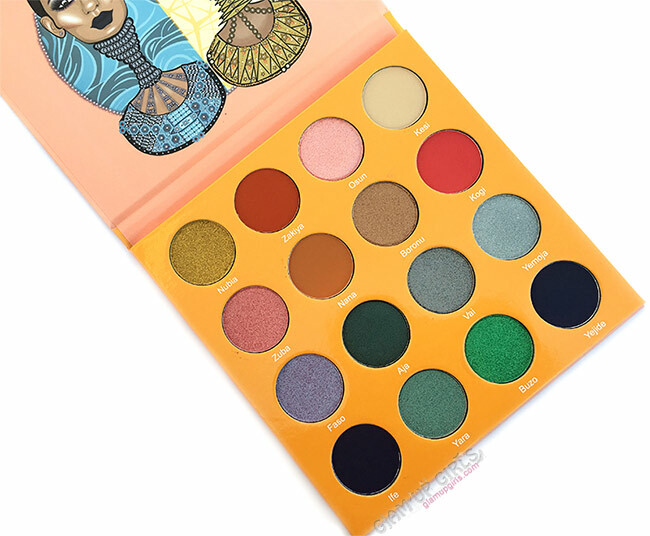 This palette comes in medium peach cardboard packaging with art work of African figurines of moon and sun goddesses on it. 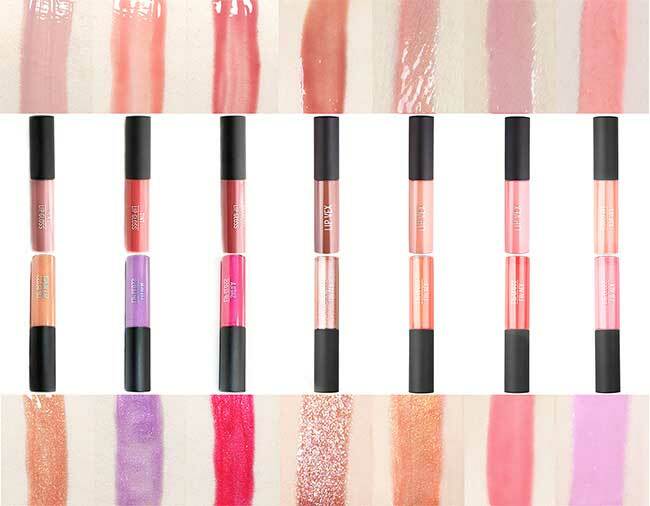 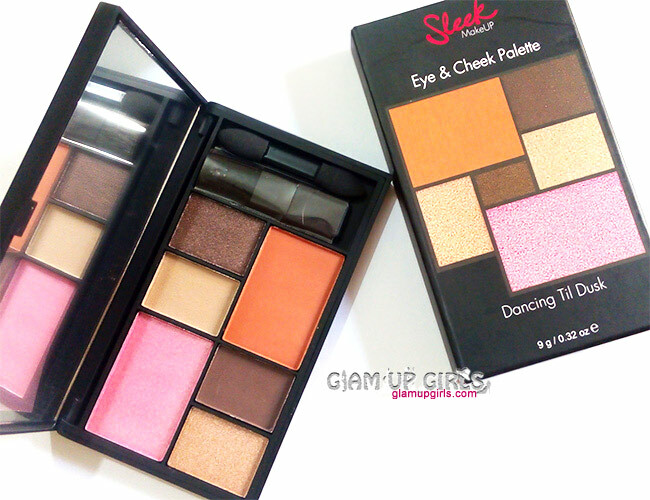 It contains 16 vibrant to everyday shades with good range of warm and cool tones. 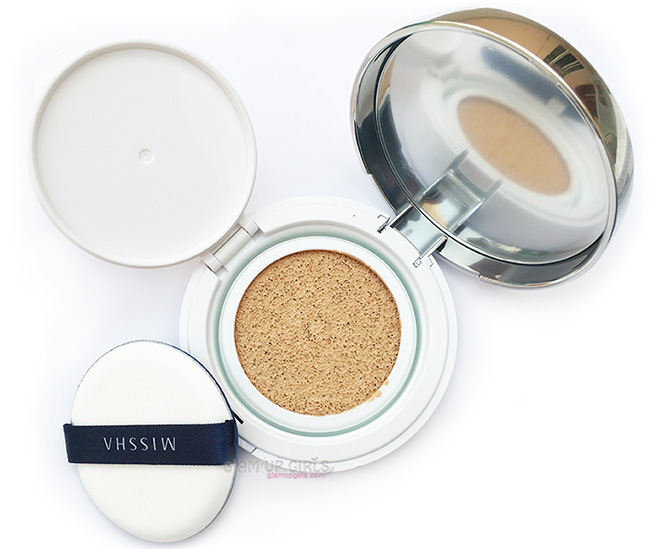 The pans are quite big despite being mini version and i am sure they will last quite long. 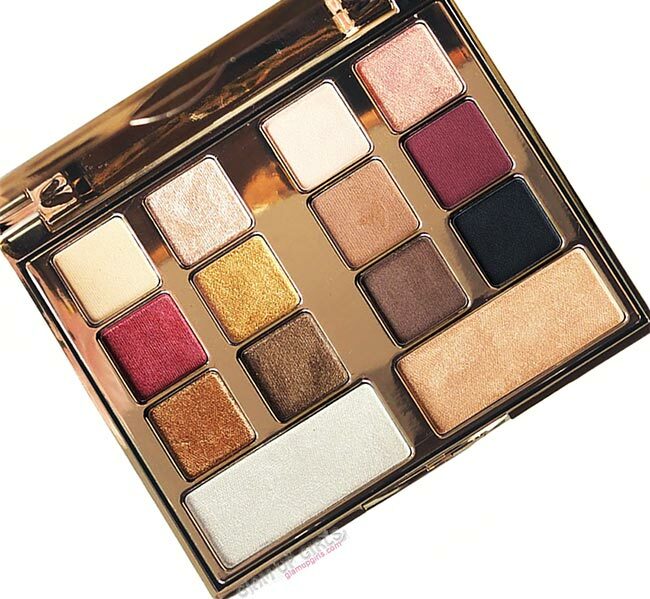 The downside was that there is no mirror inside which could have been huge plus. 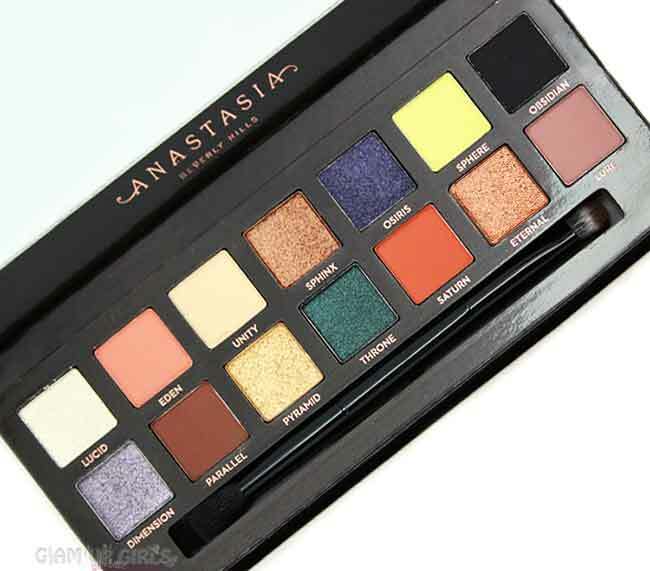 The palette is still large and in my opinion is not very travel friendly. 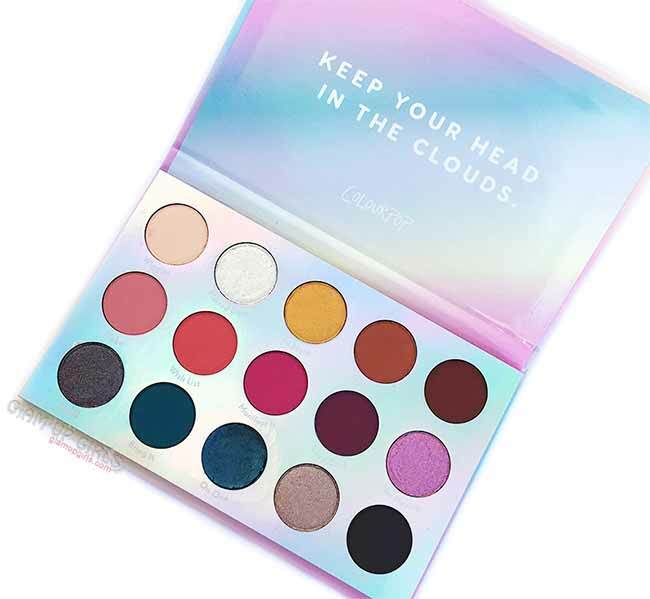 The shades are quite bold, perfect for any event and i think is quite a good pick for any bride to be, who wants to create different looks matching her daily outfit. 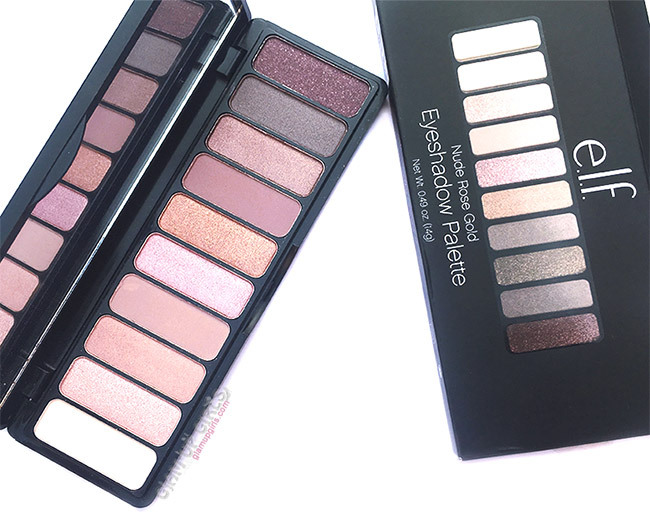 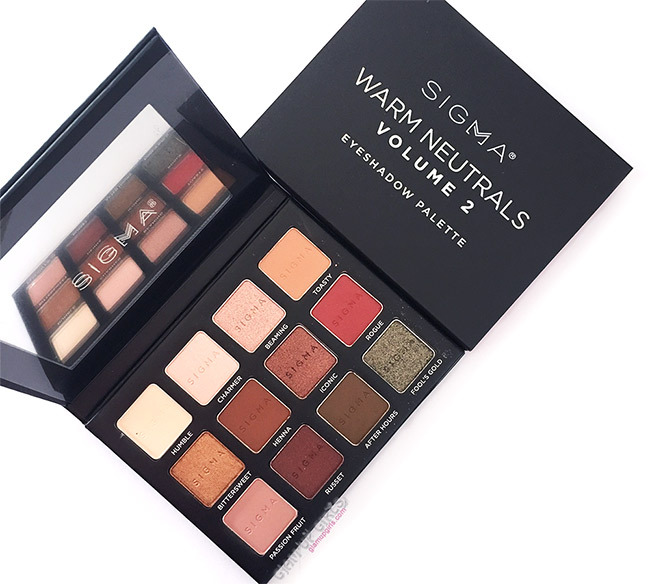 The 6 mattes and 10 shimmery/frost shades makes it versatile and useful. 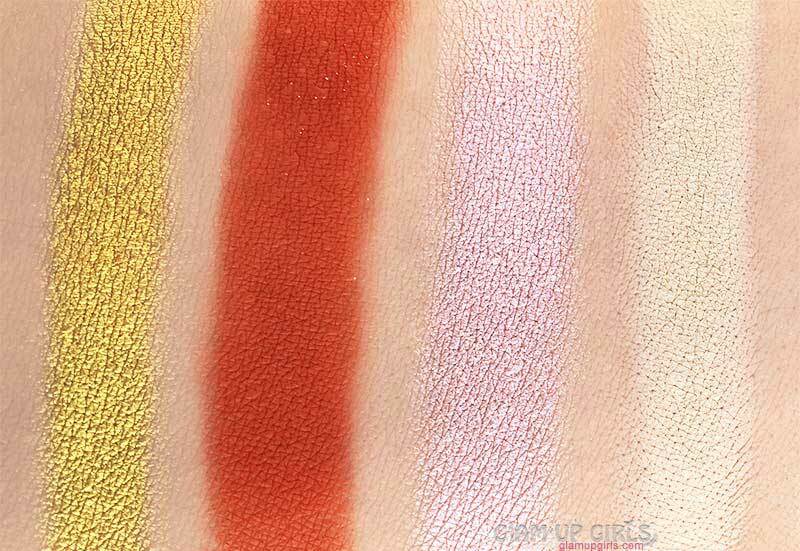 On top of that the pigmentation is simply amazing. 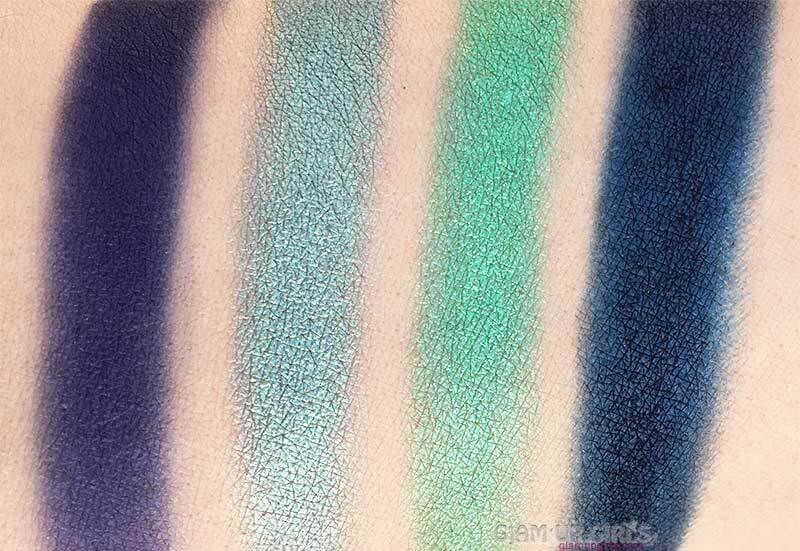 I was surprised to find that shades work way better with brushes on lids then swatching them on arm with fingers. 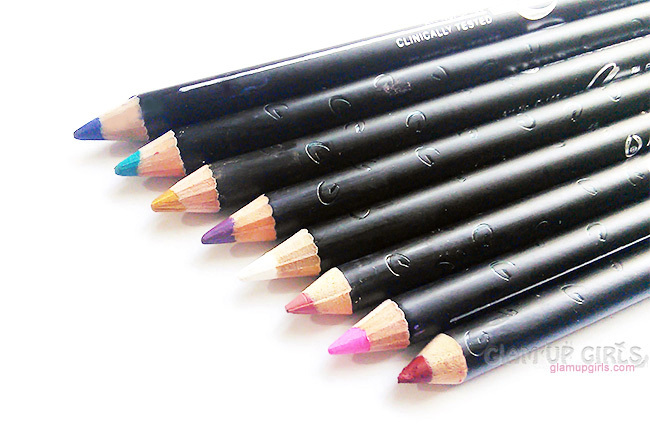 They blend like dream and a little pick with brush can create quite an intense look. 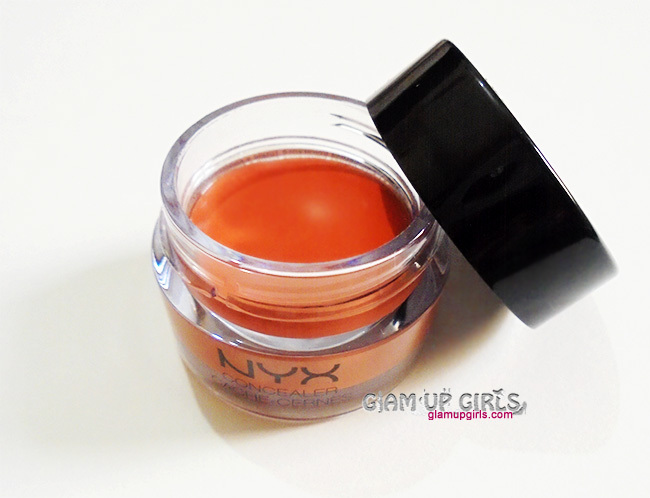 You will not have to hit the pan again and again to show the color on lids. 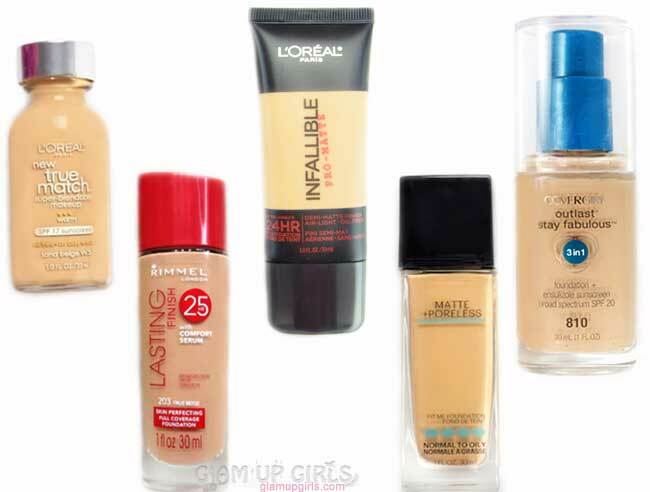 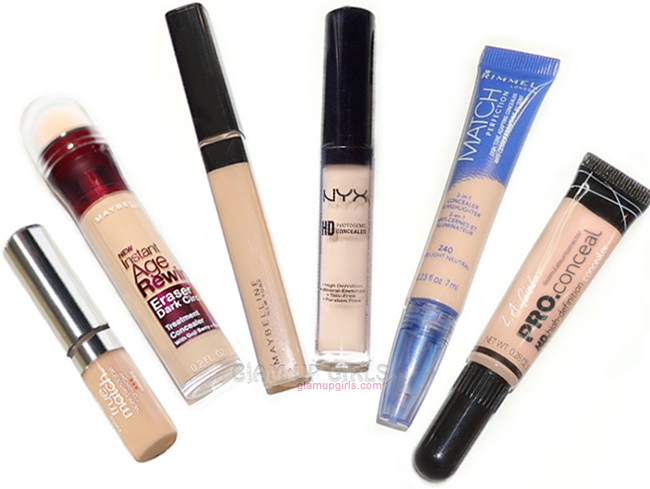 Lets talk about each shades separately. 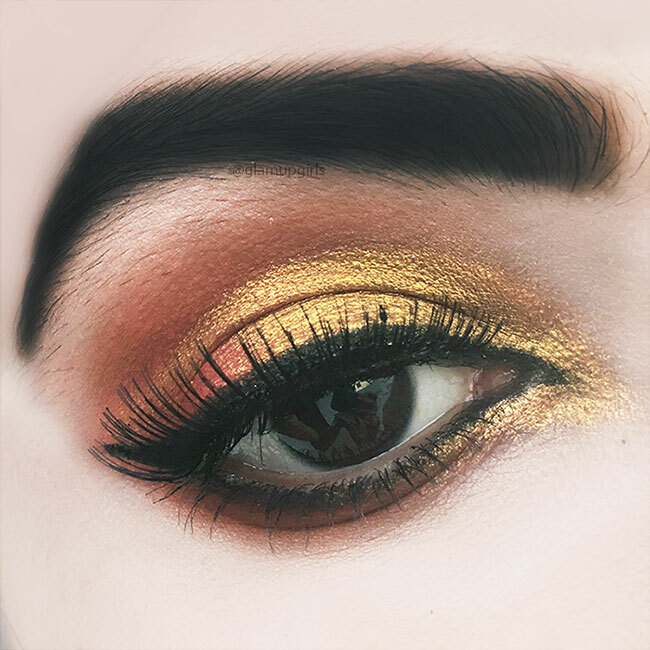 Nubia is a bright warm gold shade with metallic shade. 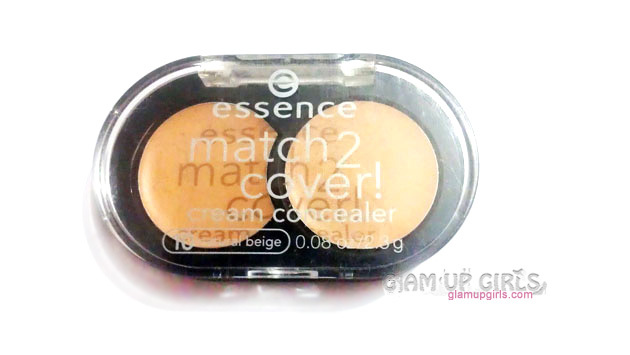 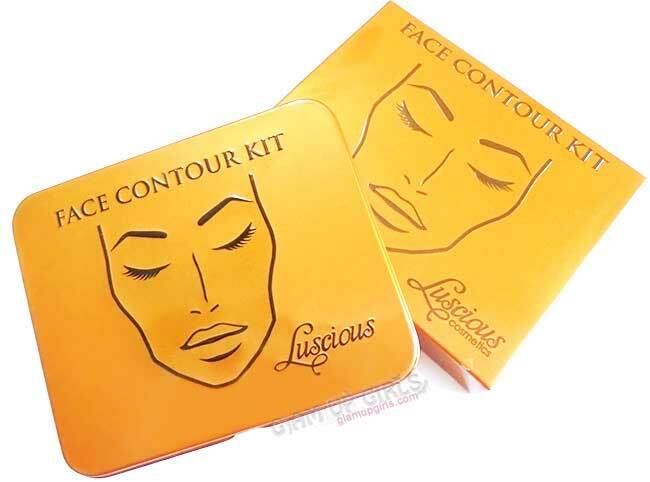 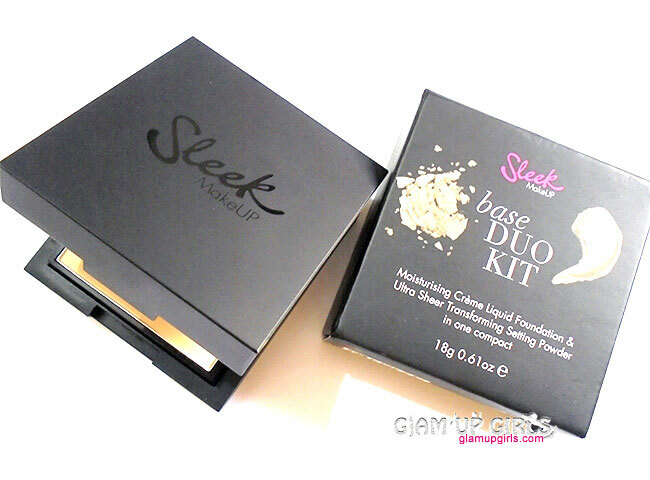 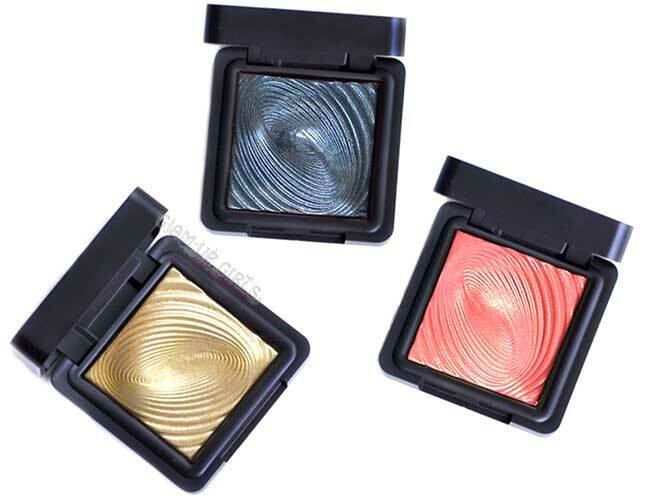 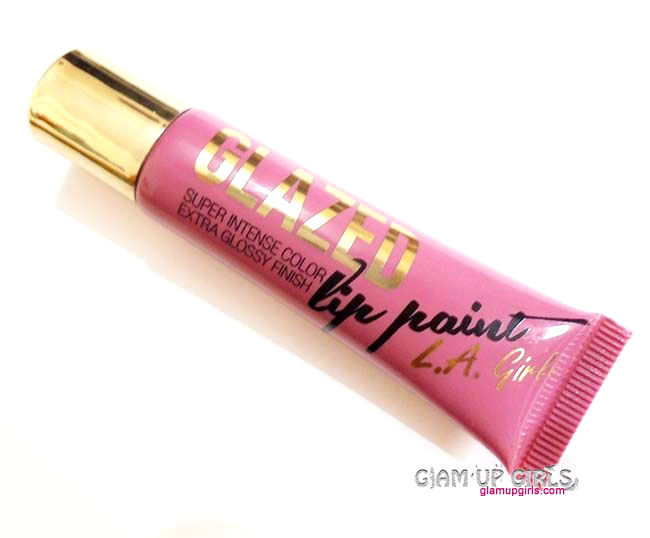 It is highly pigmented with buttery smooth formula. 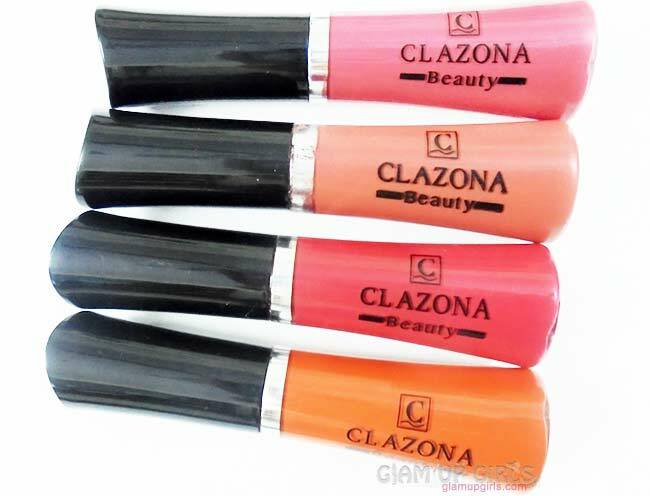 Zakia is warm medium orange with matte finish. 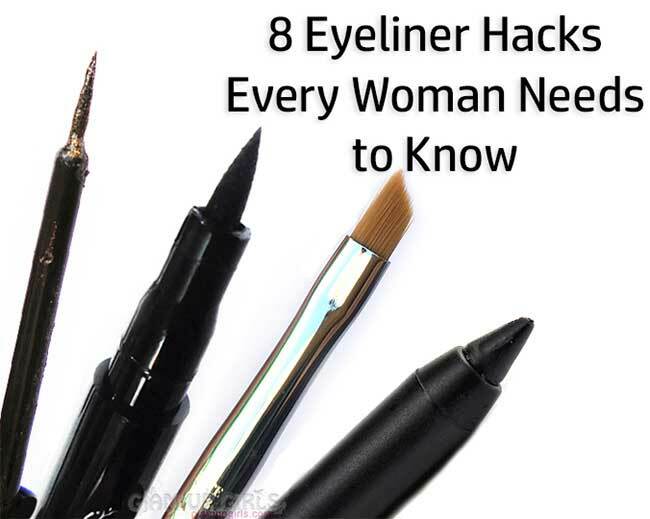 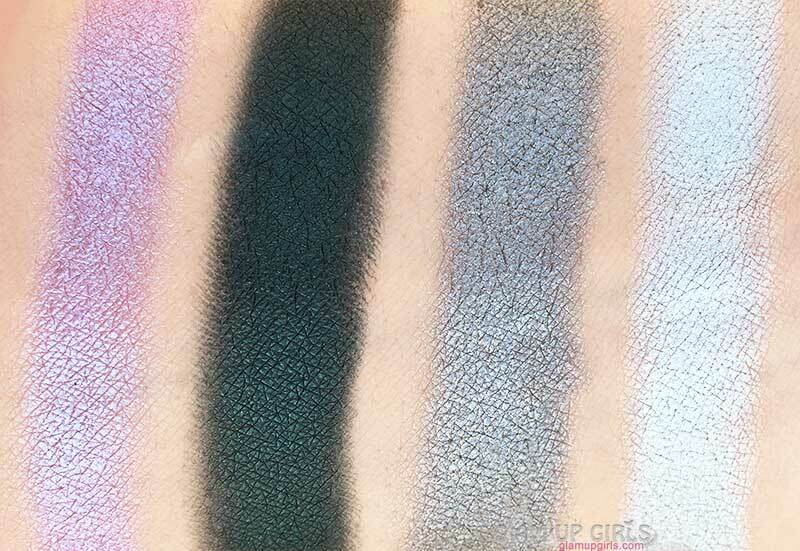 It is very pigmented with good texture. 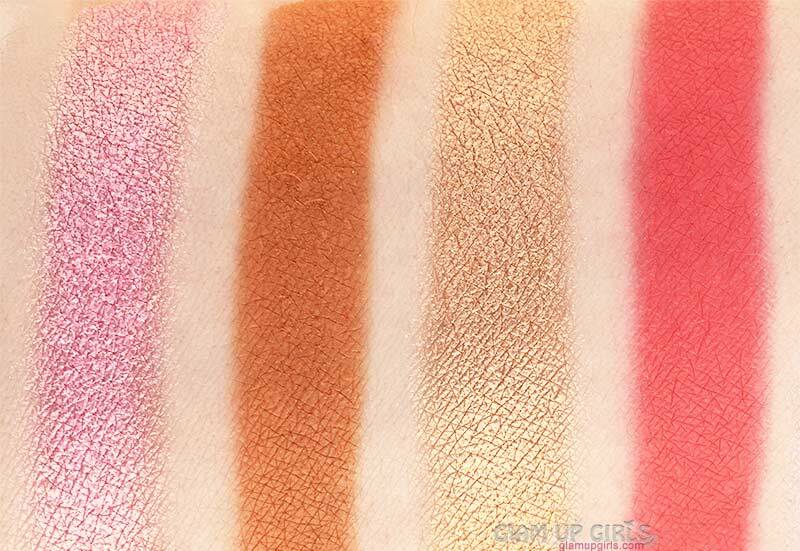 Osun is a pale pink with shimmery finish. 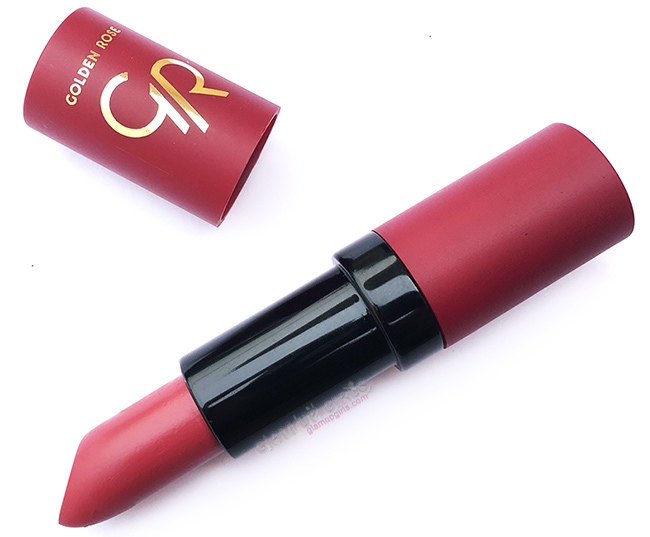 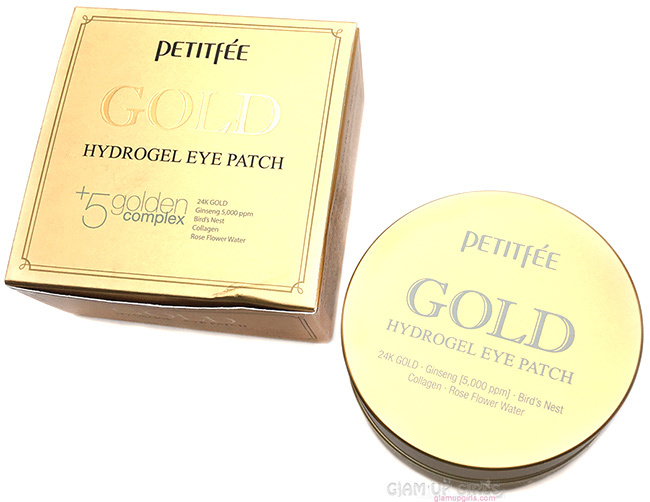 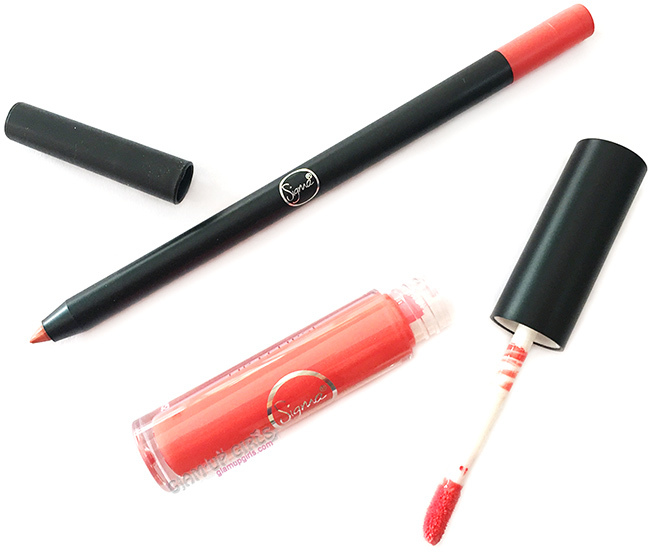 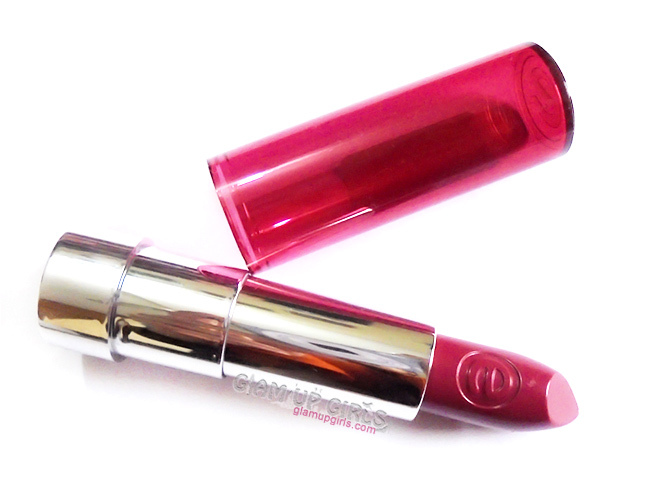 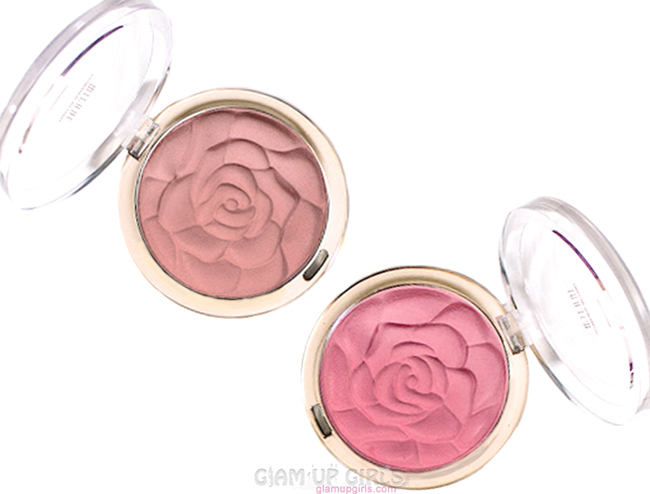 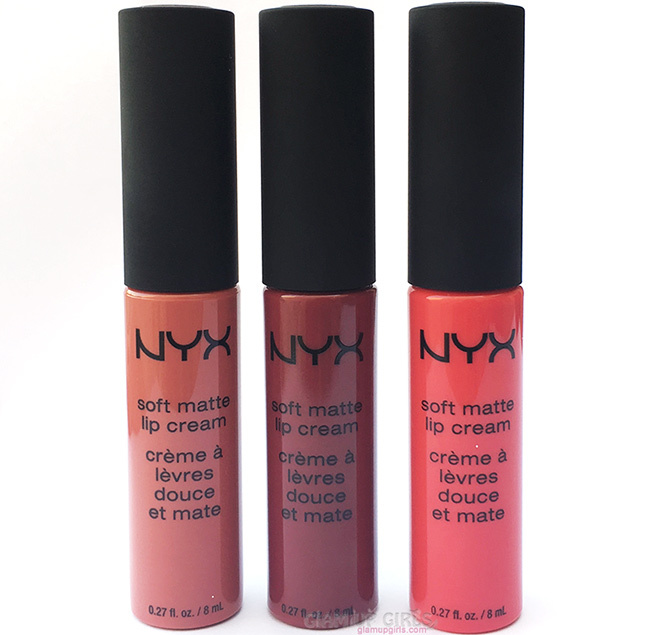 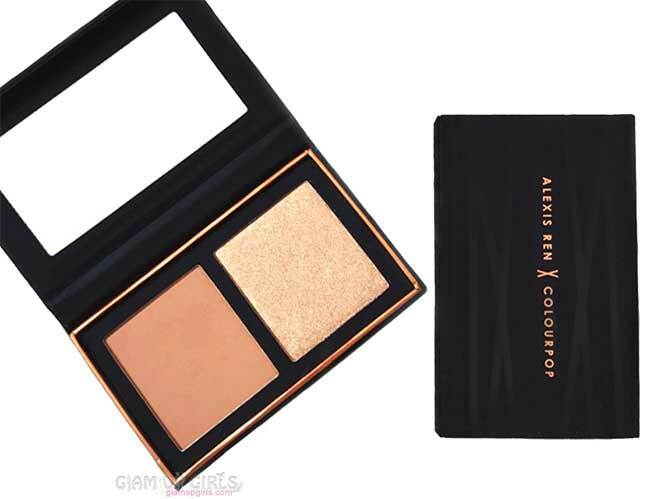 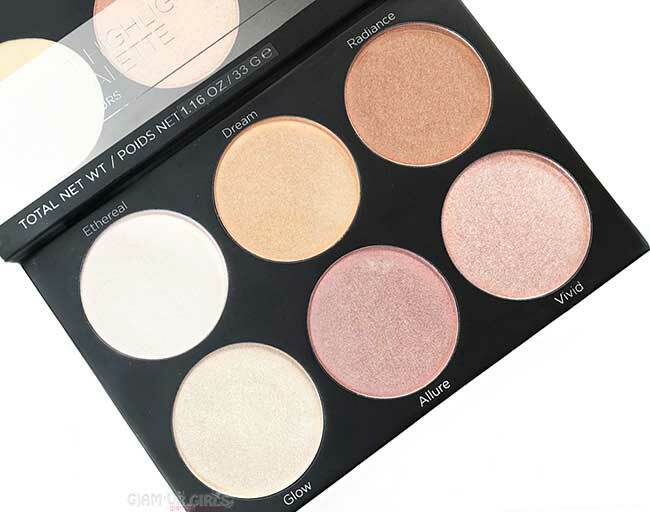 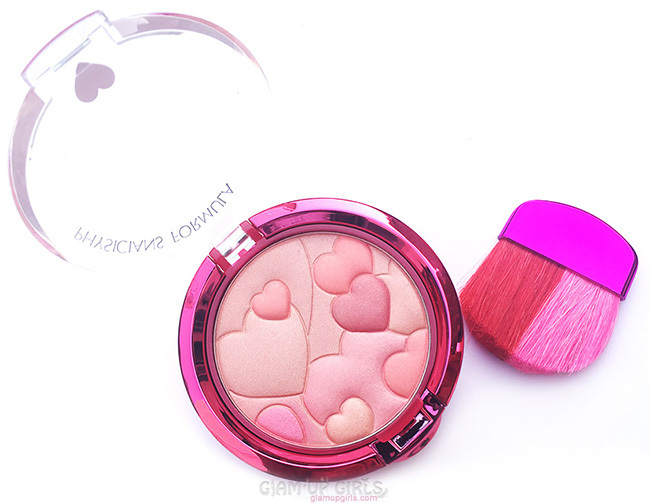 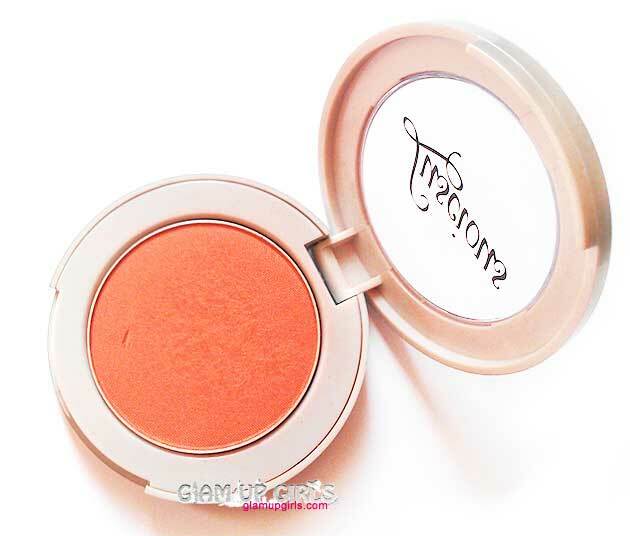 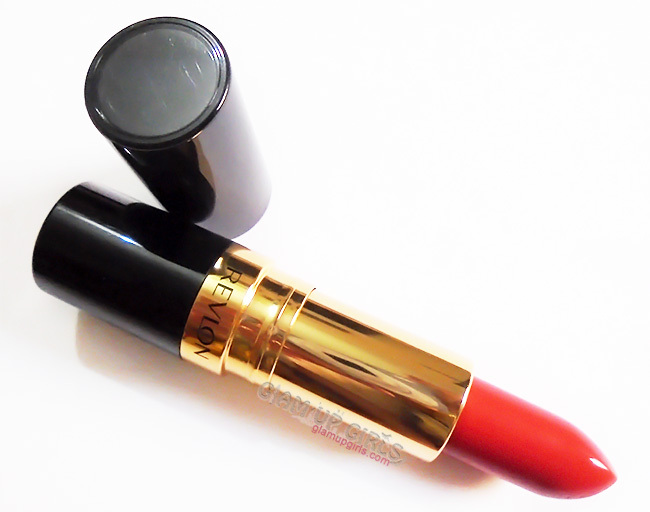 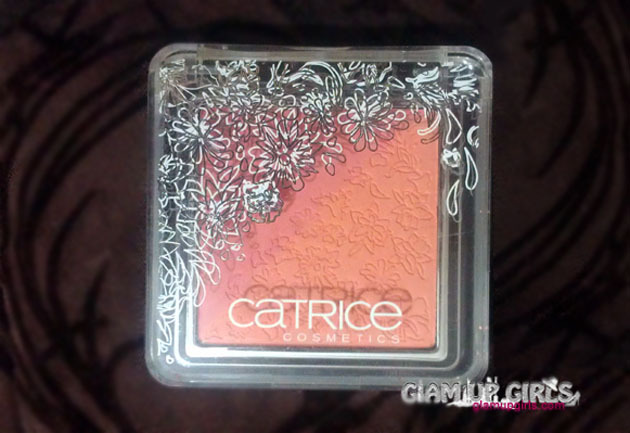 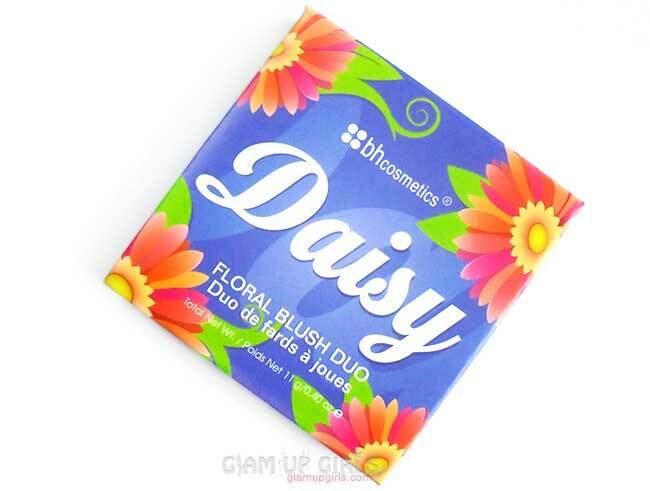 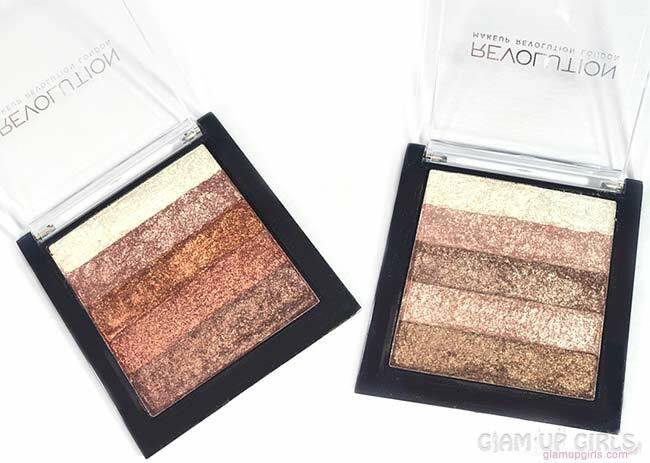 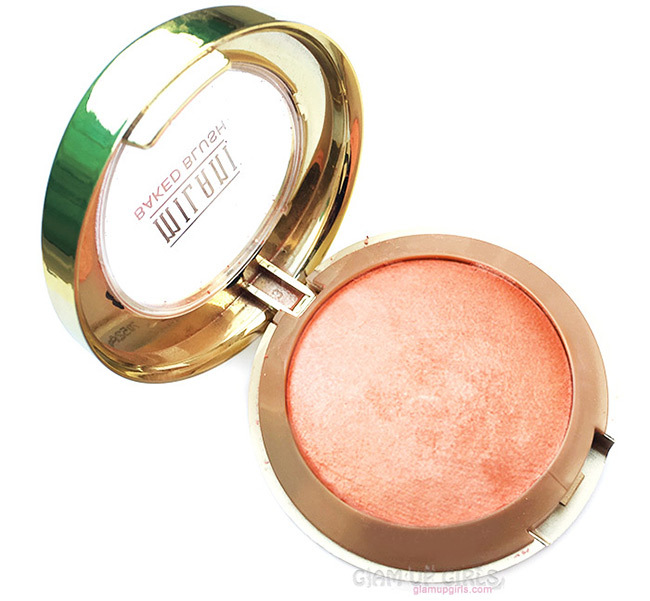 The texture is buttery soft with very good pigmentation. 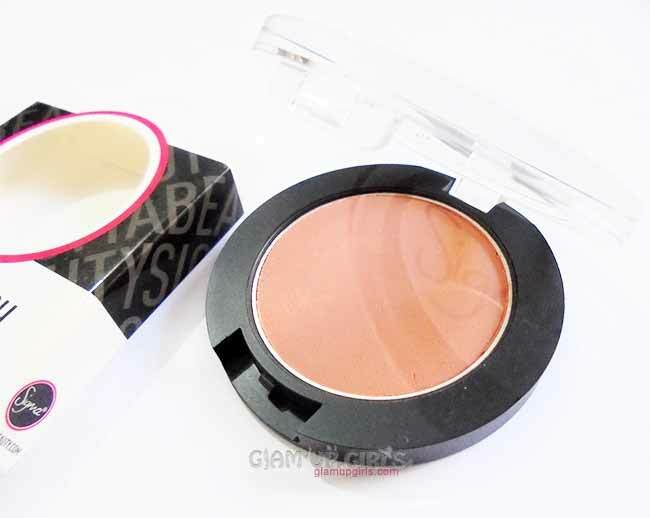 Kesi is warm beige shade with matte finish. 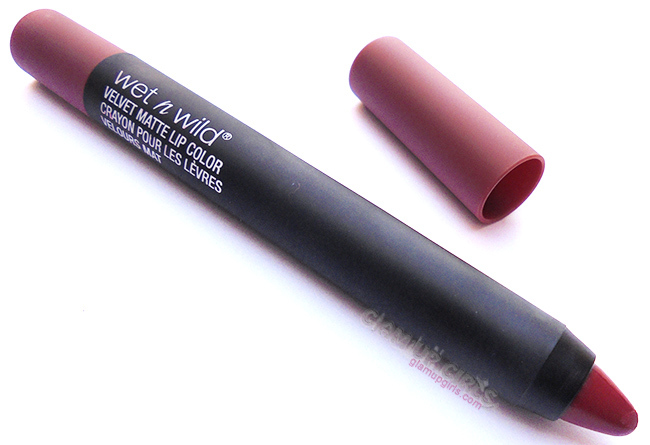 It is highly pigmented with very good texture. 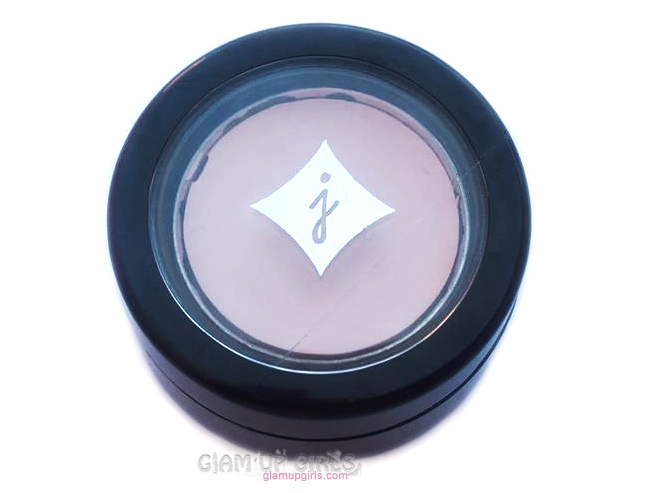 Zuba is a medium rosy pink shimmery shade with gold reflects. 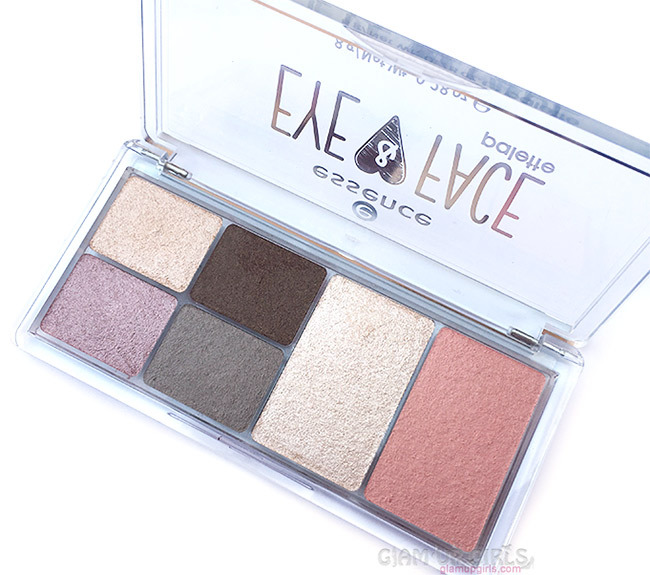 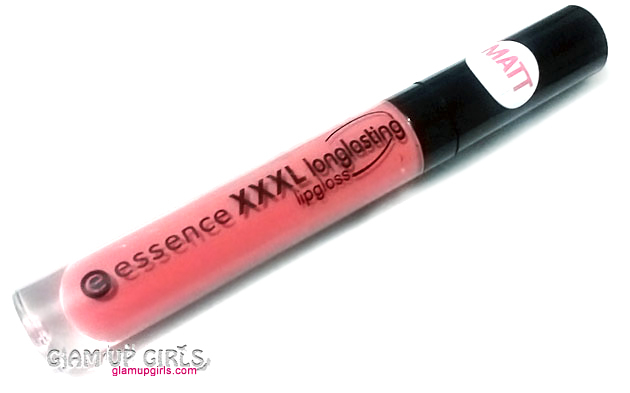 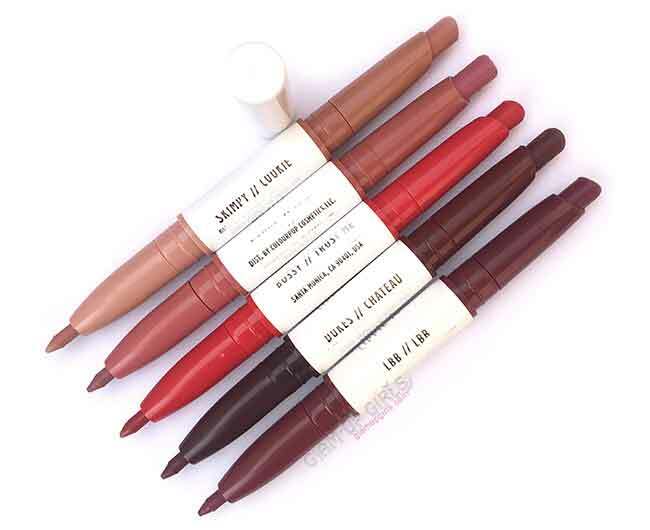 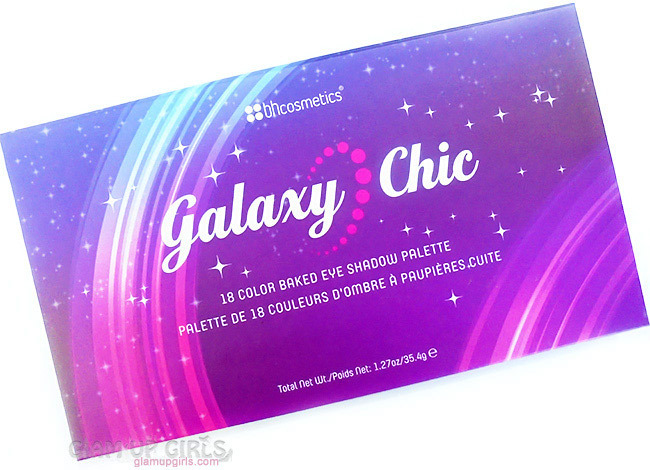 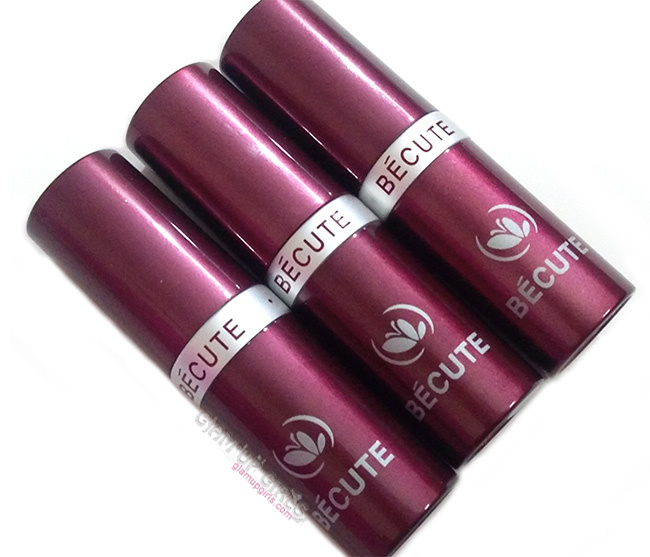 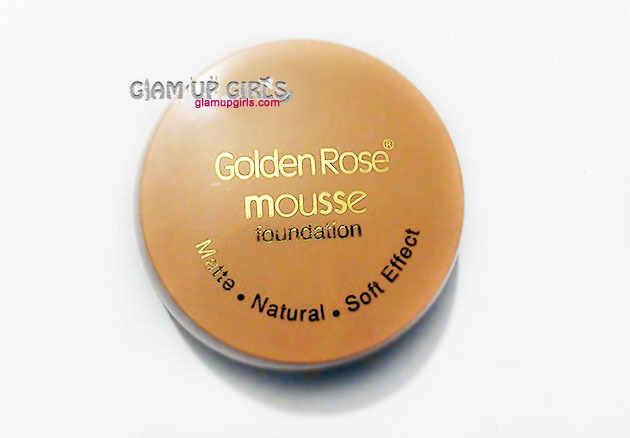 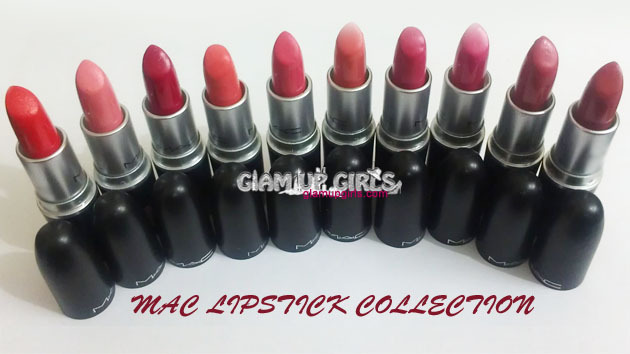 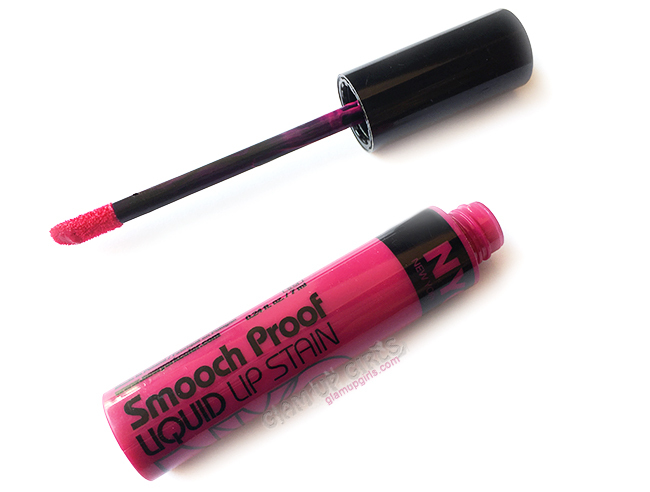 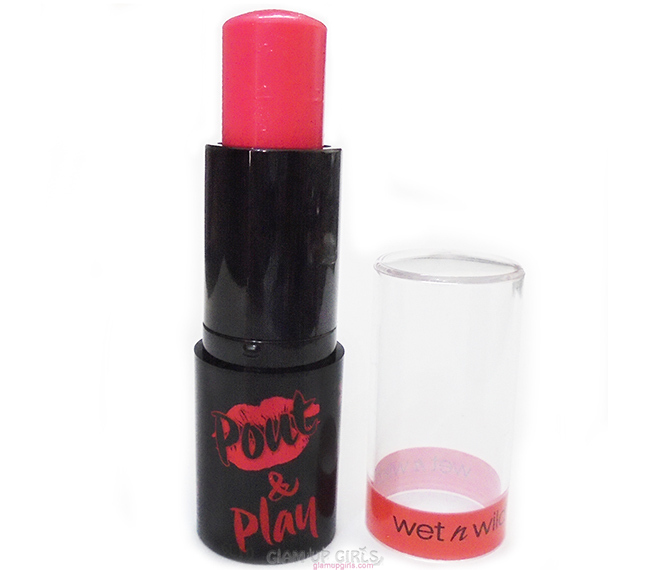 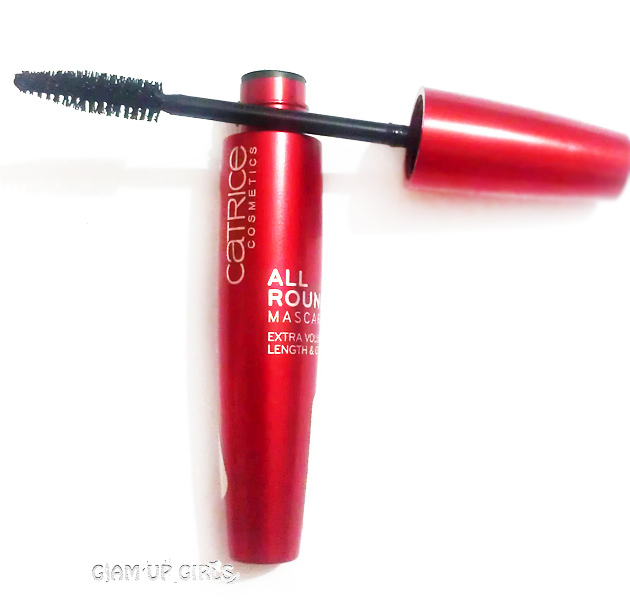 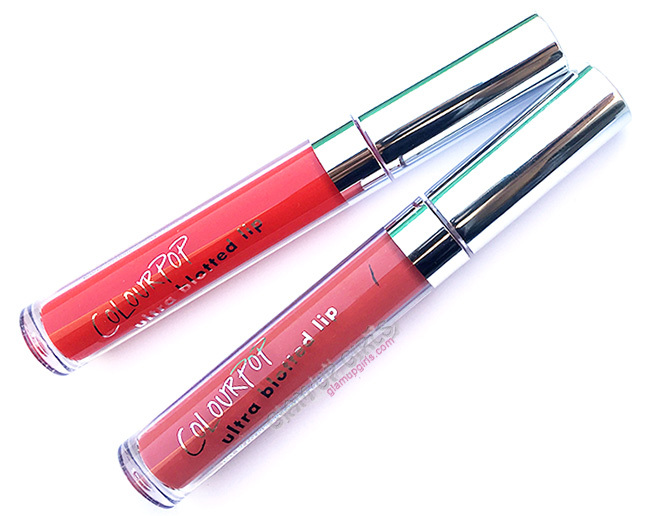 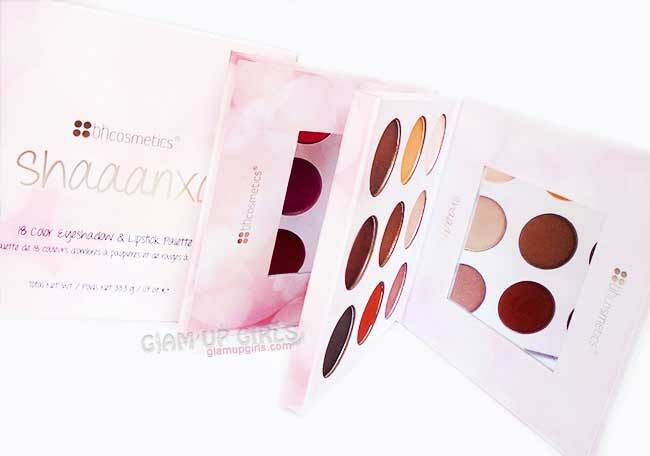 It is highly pigmented and have soft texture. 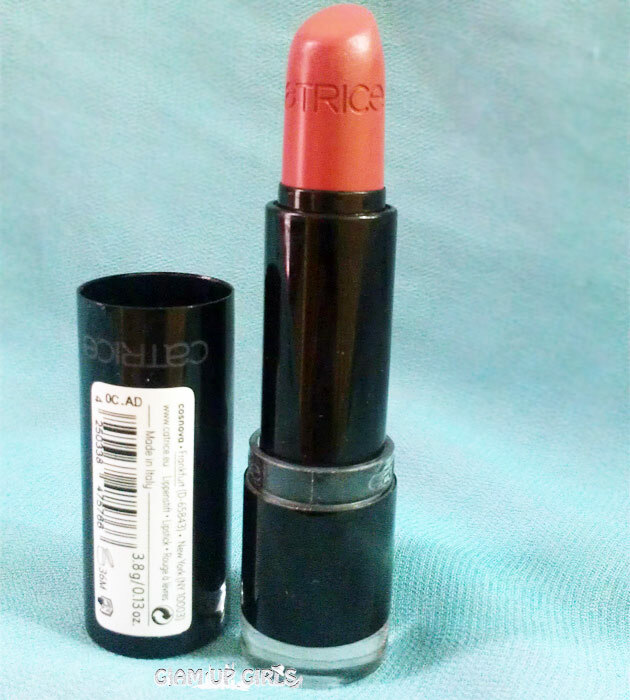 Nana is a medium saffron brown shade with matte finish. 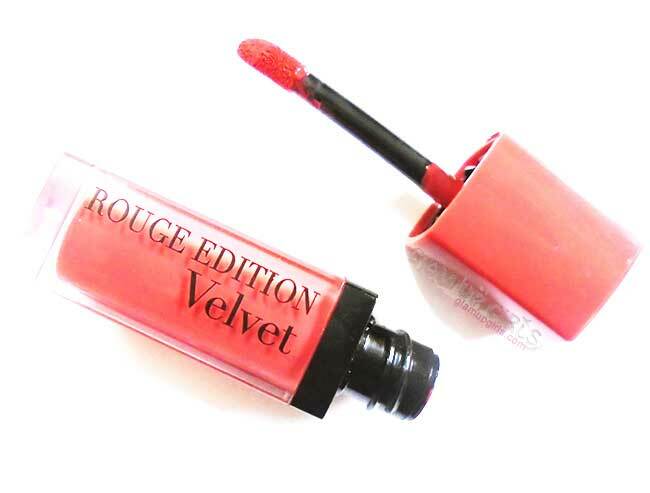 It is highly pigmented with very nice texture. 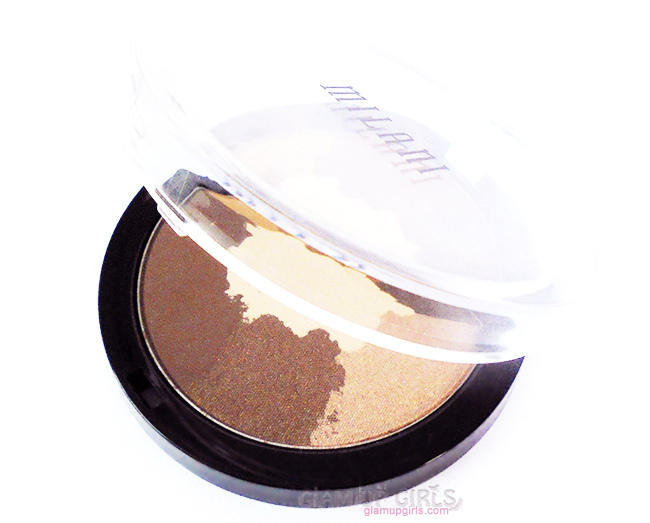 Boronu is a light bronze gold shade with metallic shade. 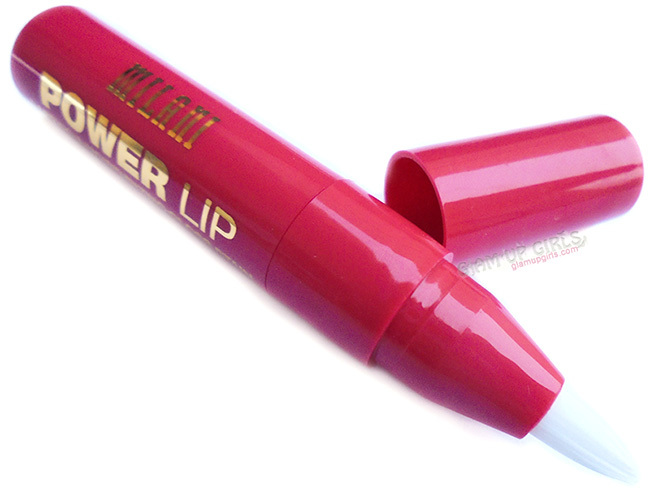 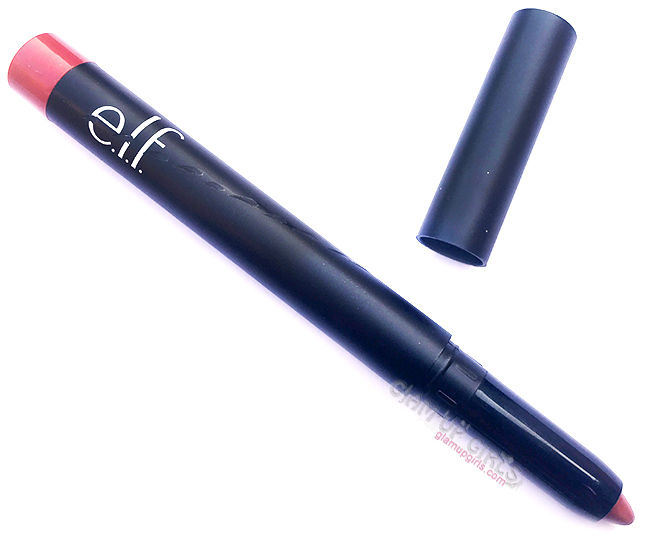 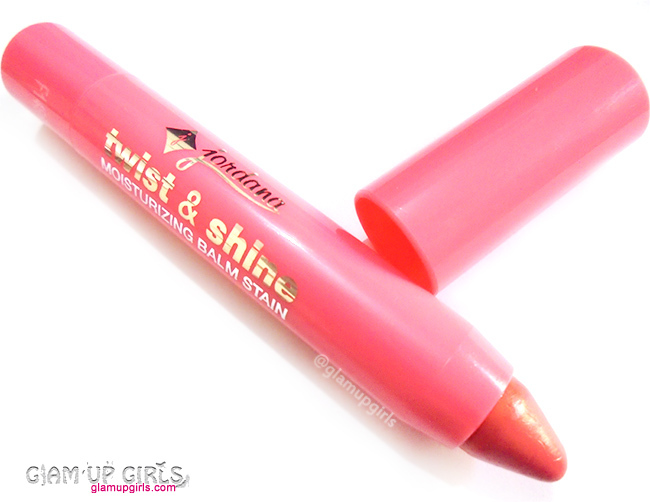 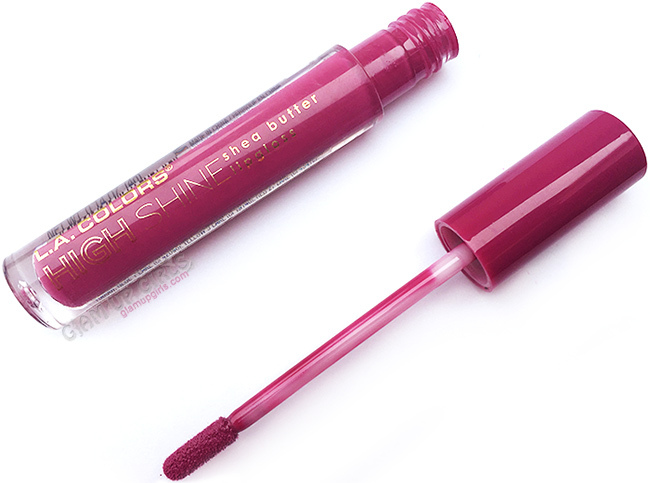 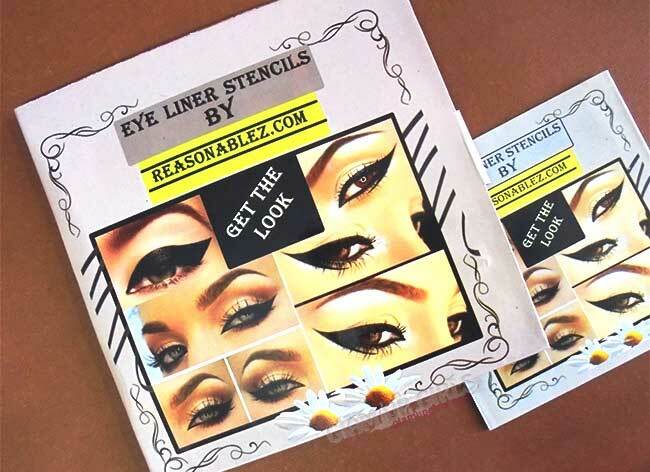 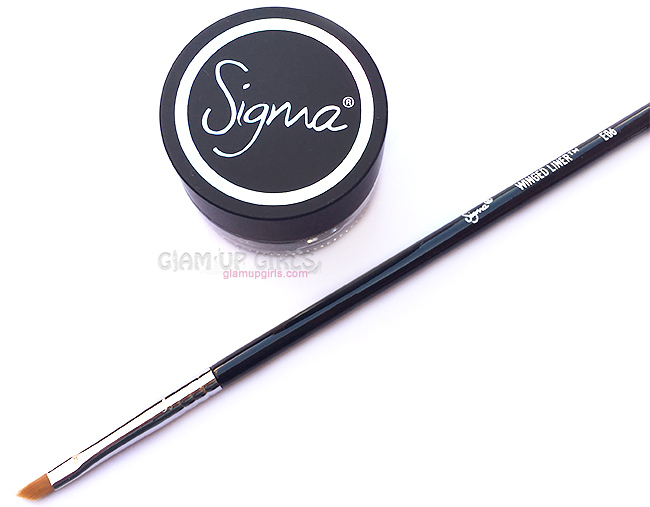 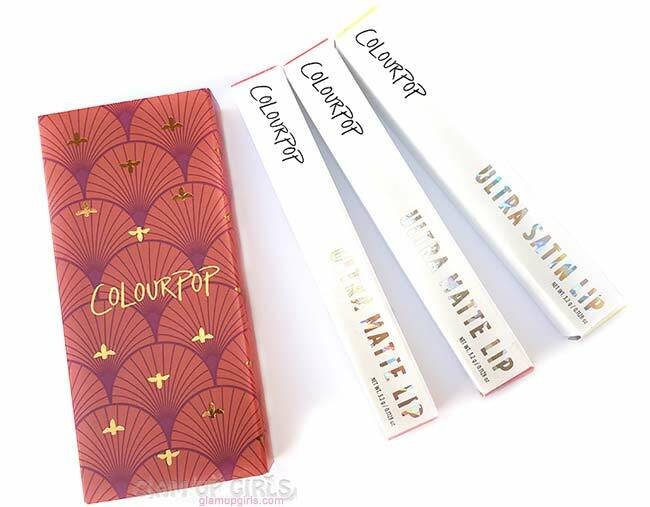 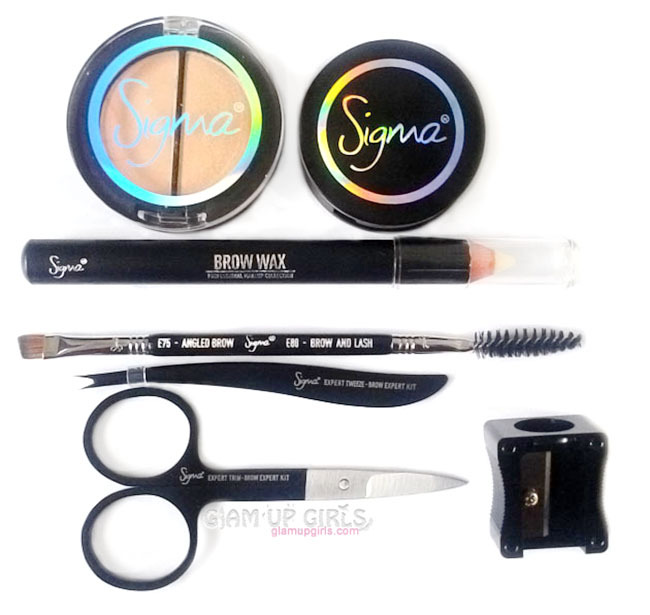 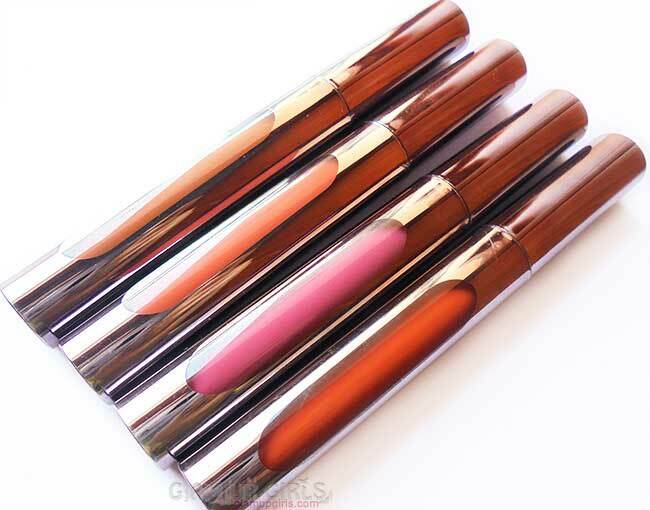 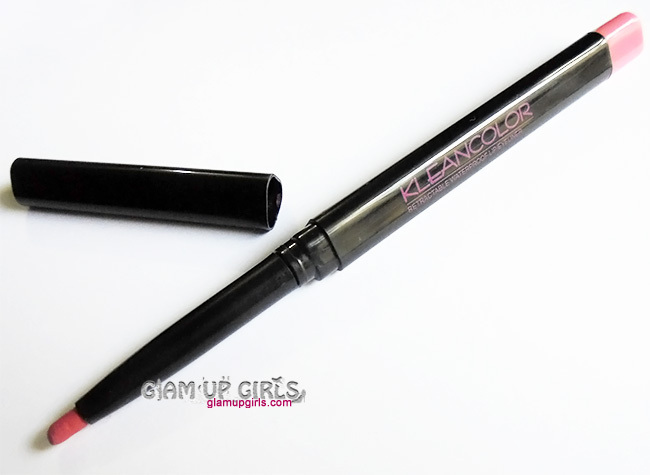 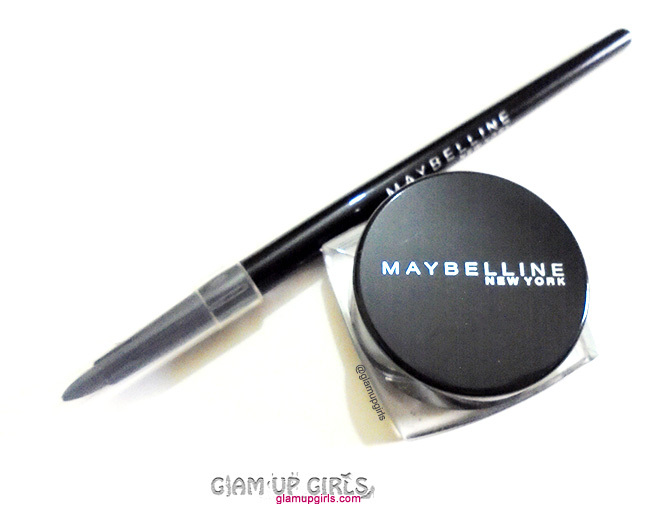 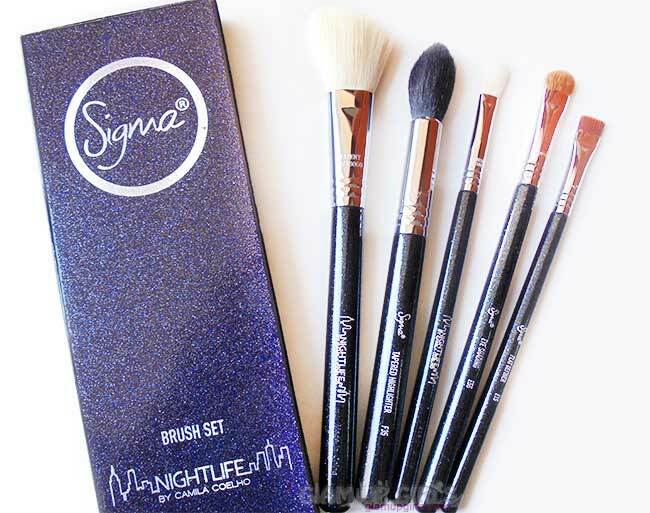 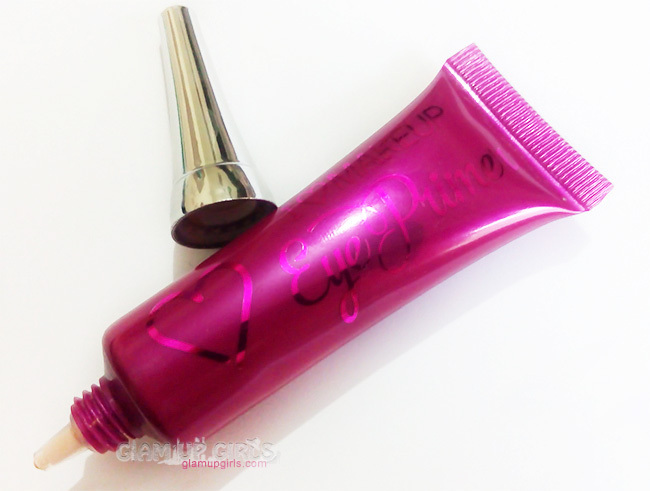 It is highly pigmented and have buttery smooth formula. 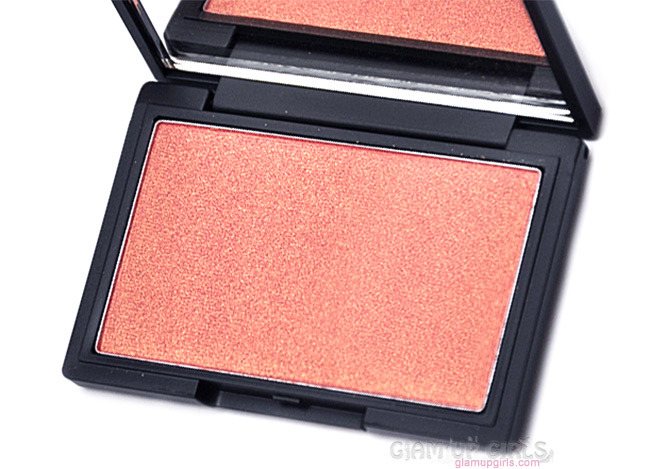 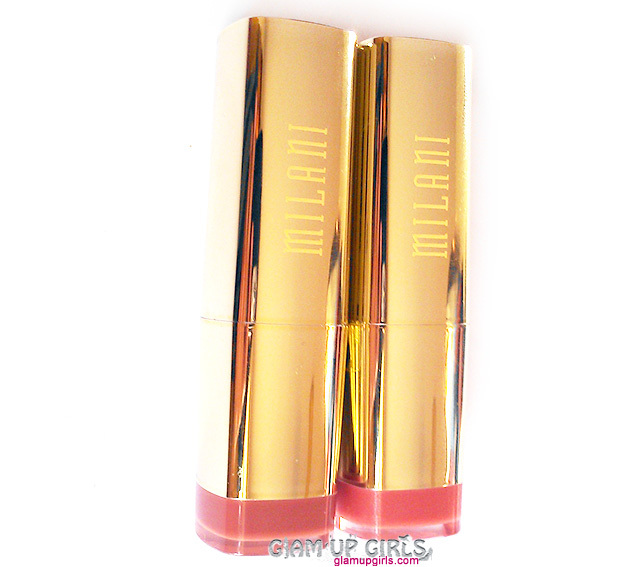 Kogi is medium coral pink shade with matte finish. 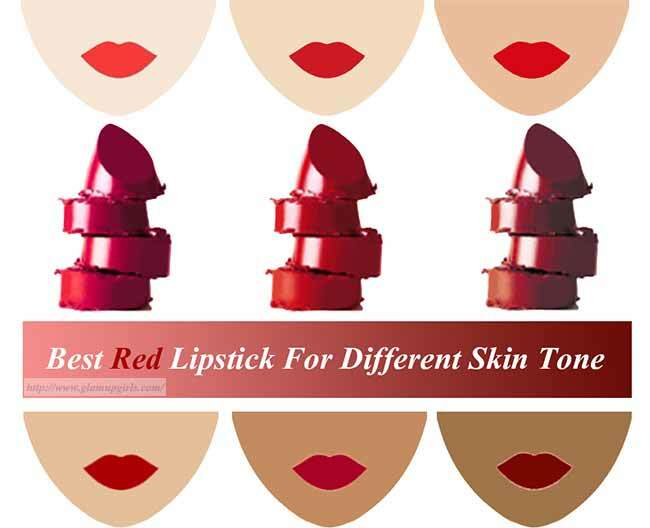 It is also good textured with high pigmentation. 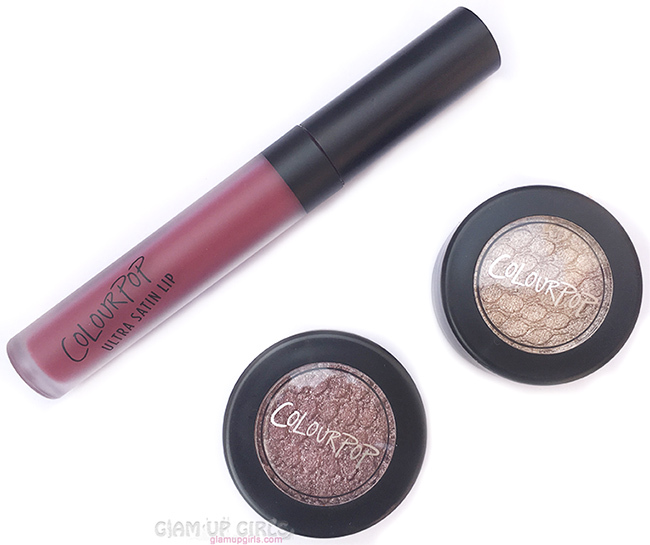 Faso is a duochrome silvery lilac shade with frost finish. 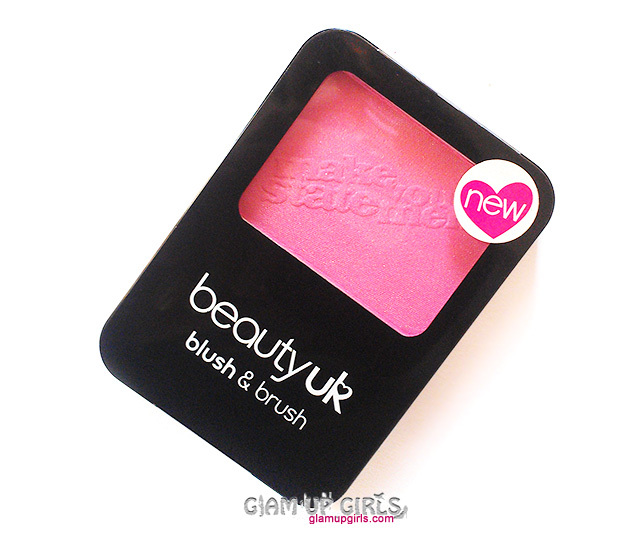 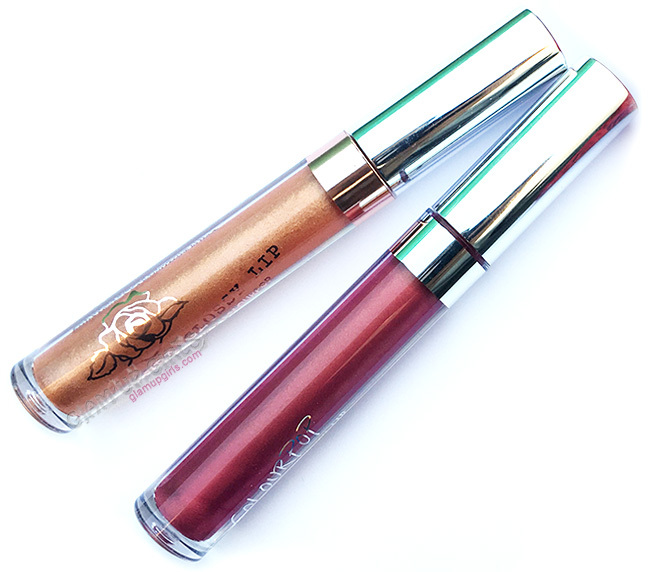 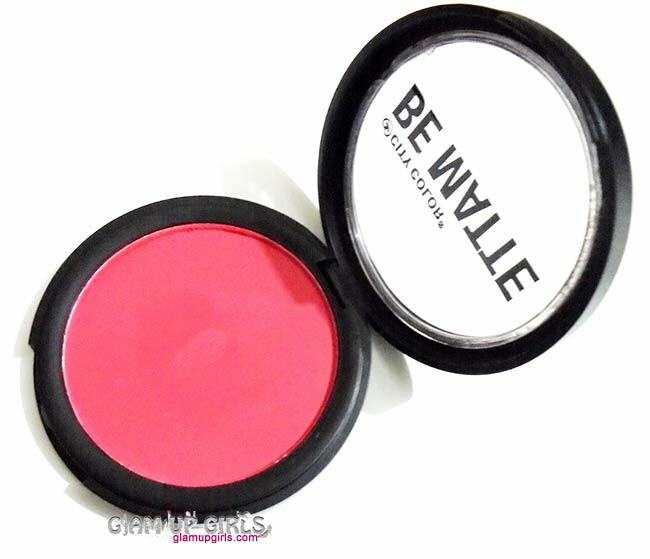 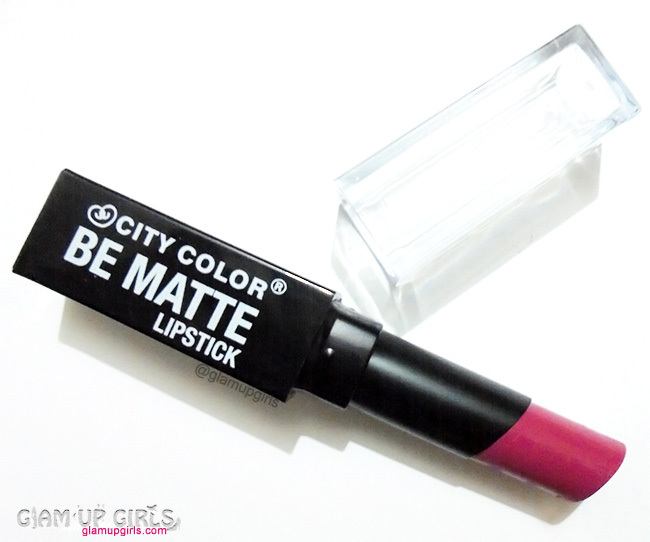 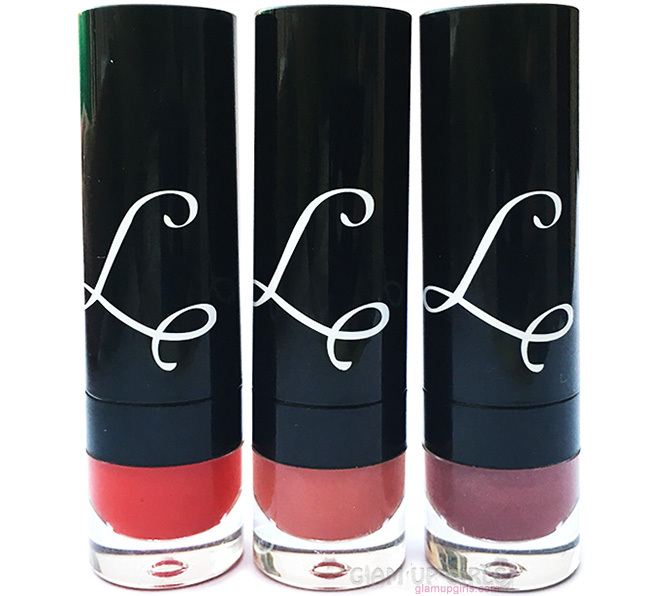 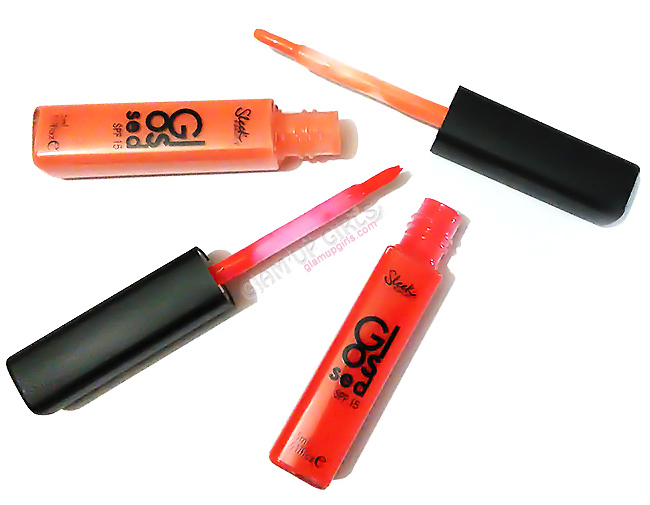 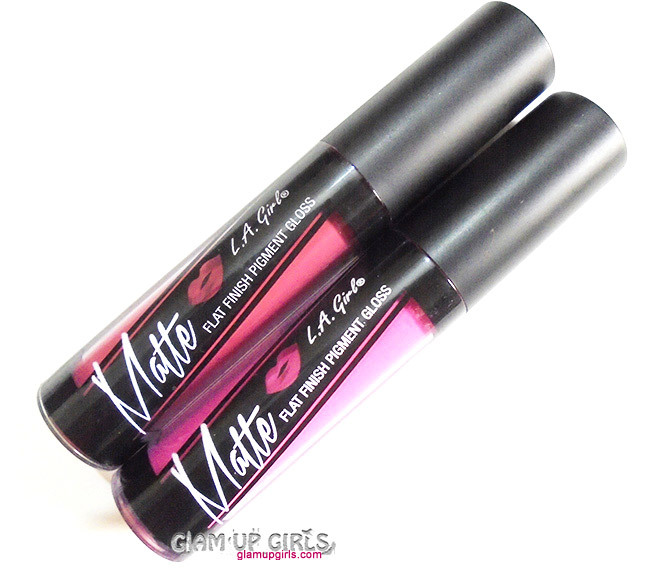 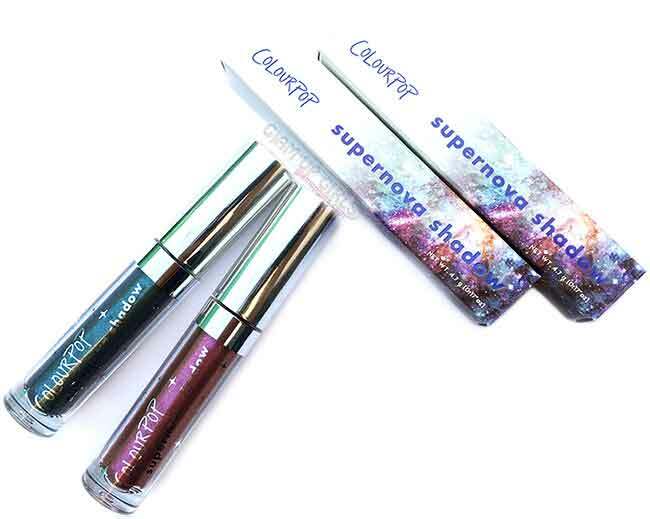 It is also highly pigmented shade with soft and smooth texture. 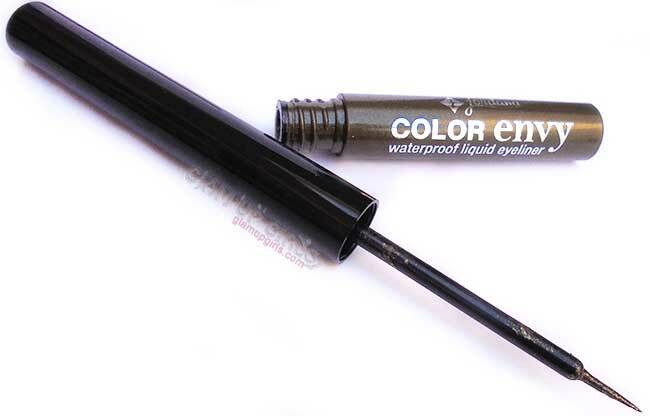 Aja is a deep forest green shade with frost finish. 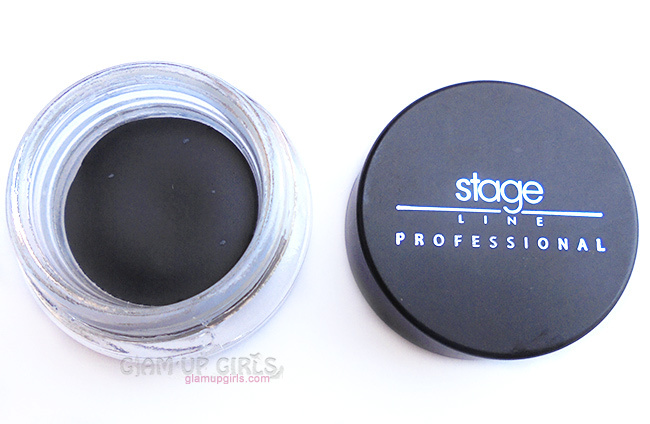 It is highly pigmented and have nice texture. 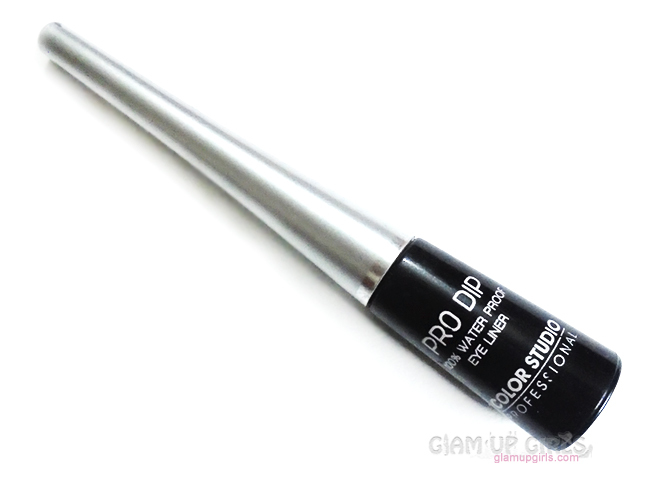 Vai is a medium-dark grey shade with metallic finish. 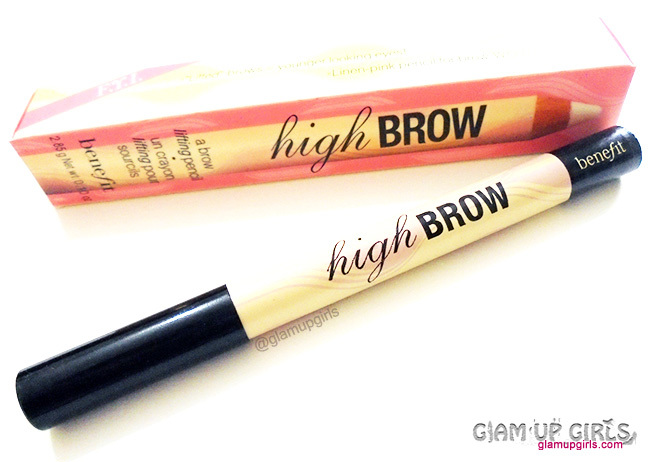 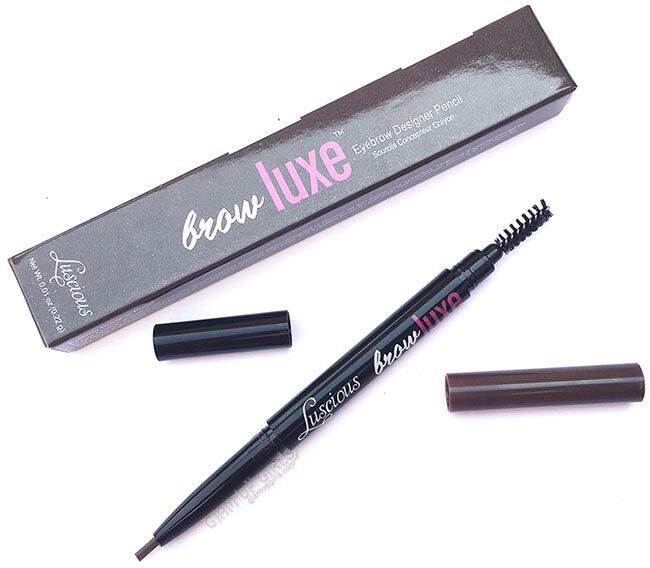 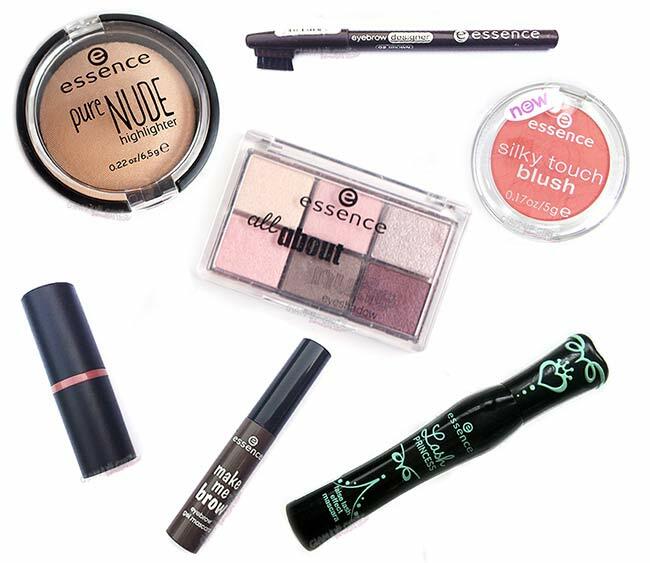 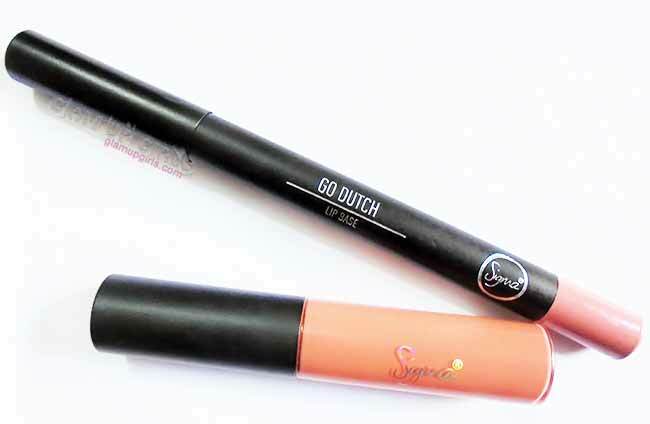 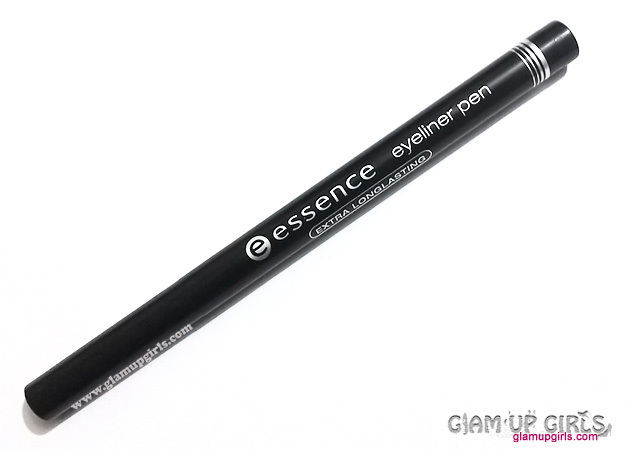 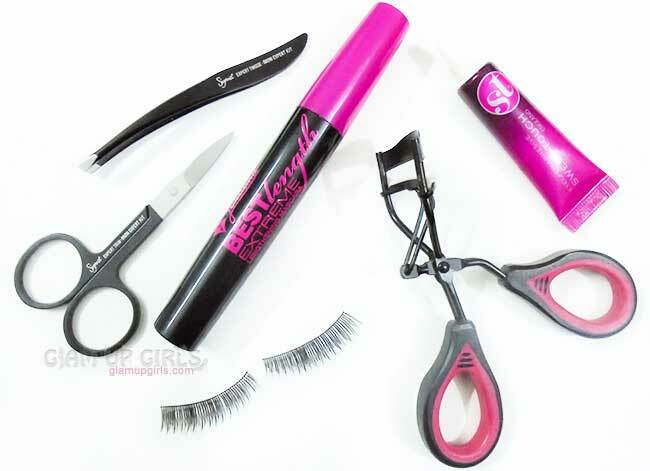 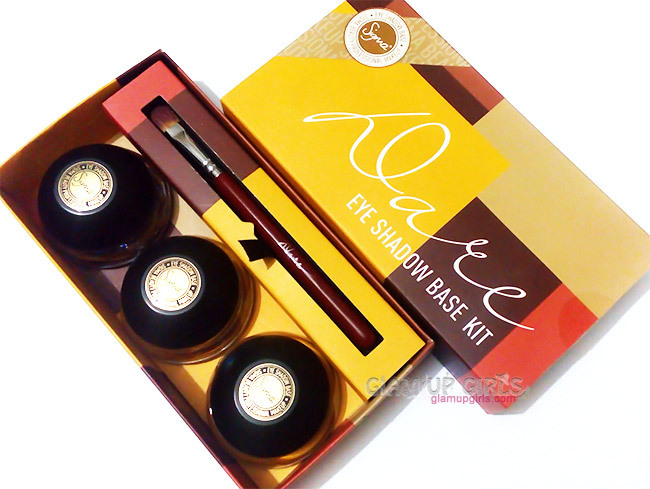 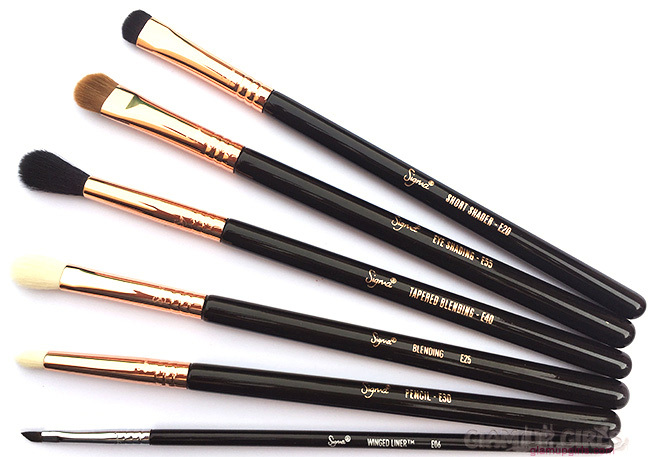 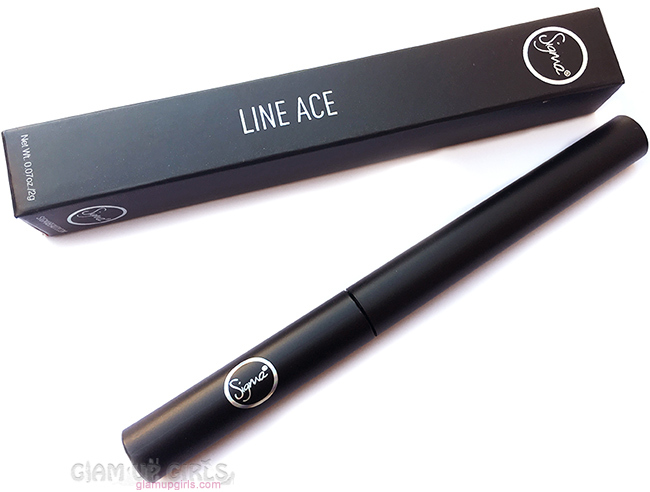 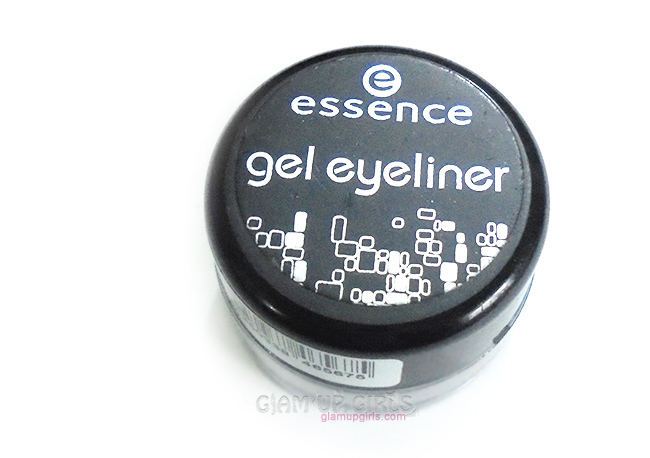 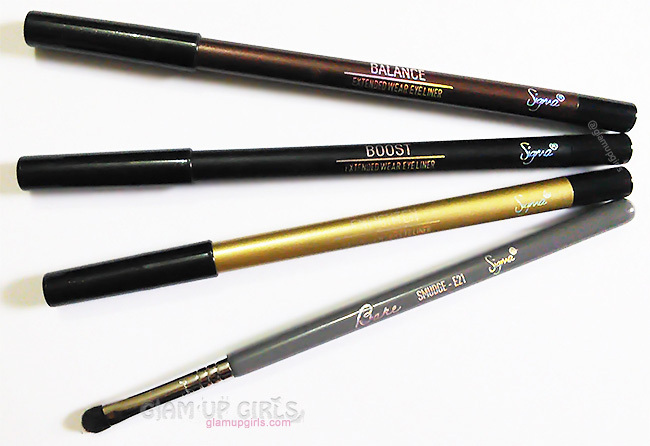 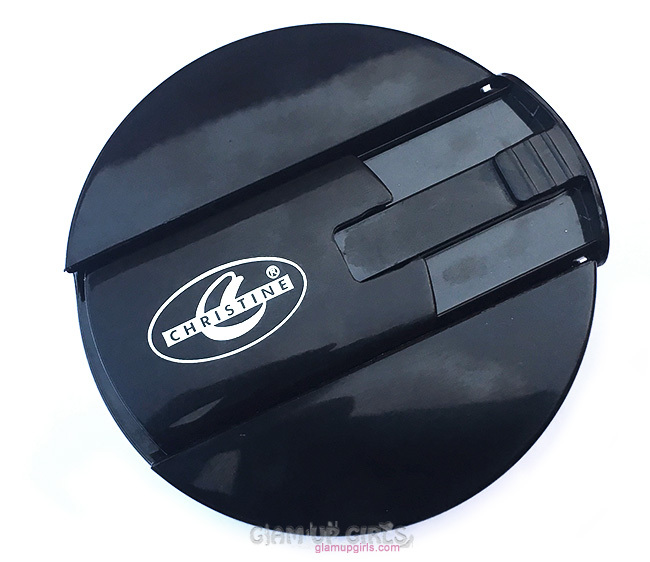 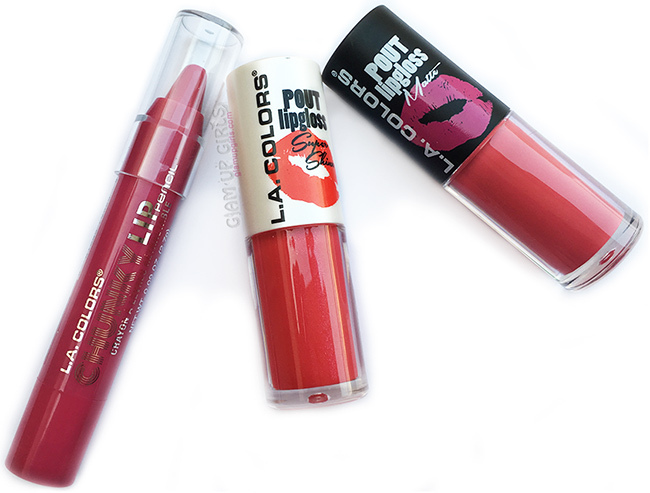 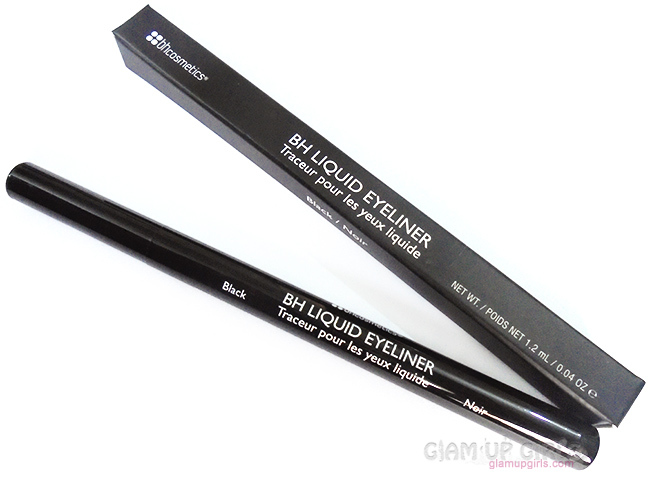 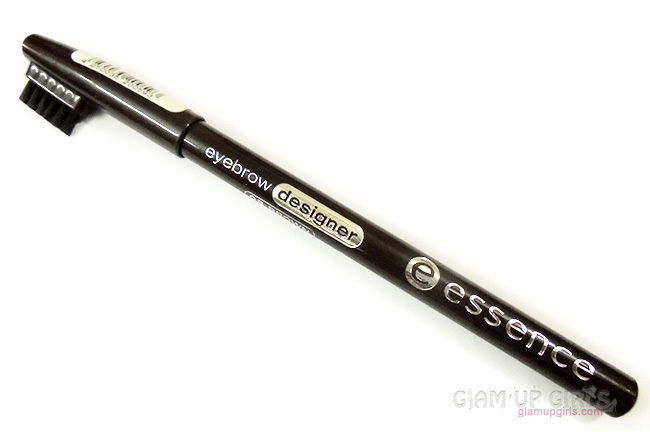 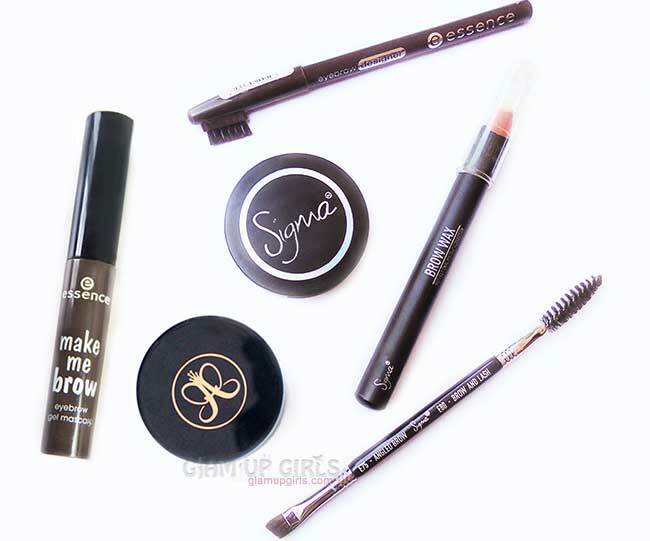 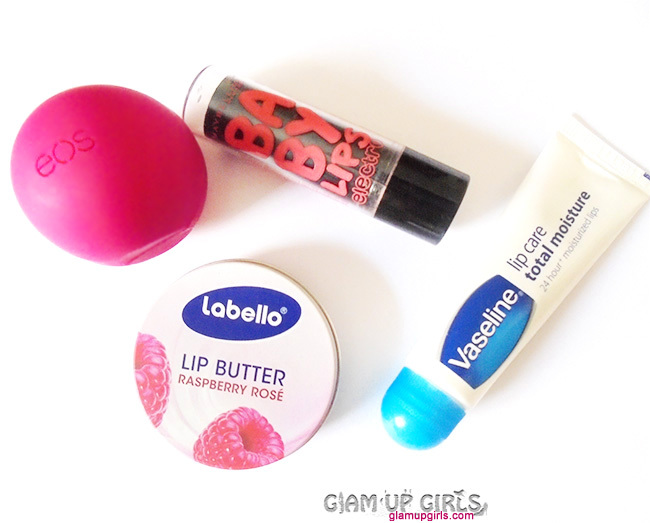 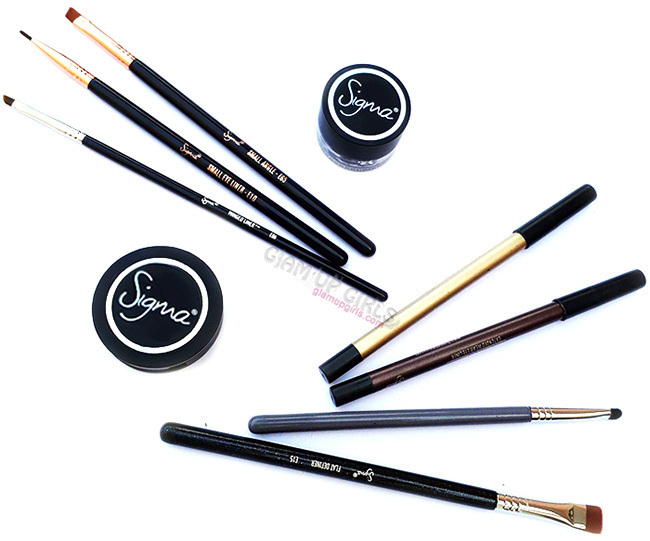 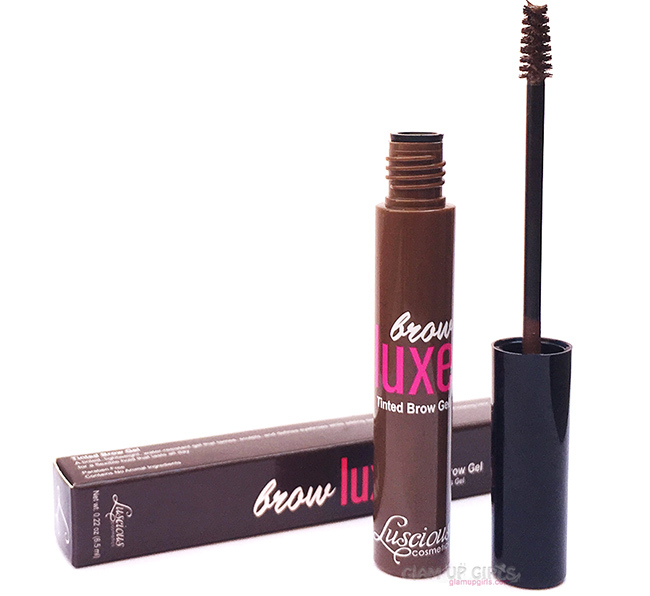 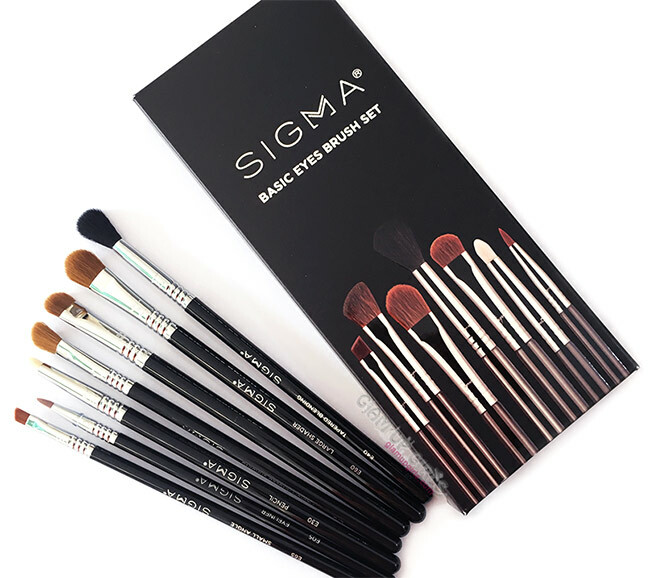 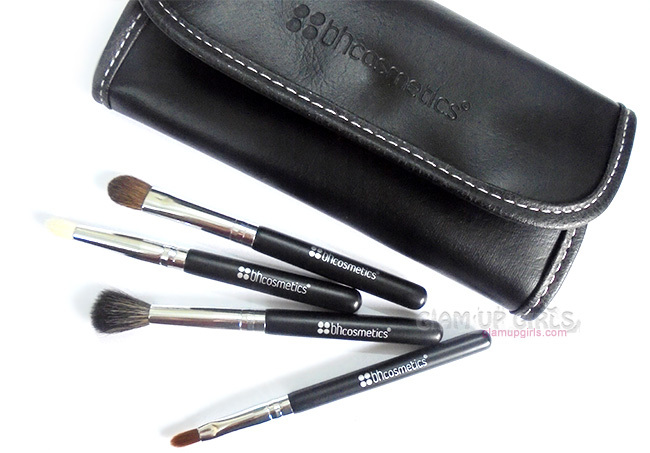 It is also highly pigmented with soft and smooth texture. 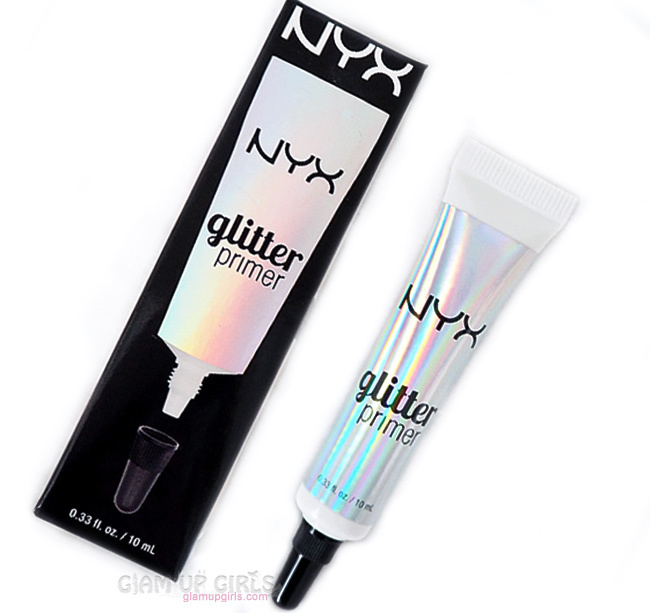 Yemoja is a pale icy grey shade with metallic finish. 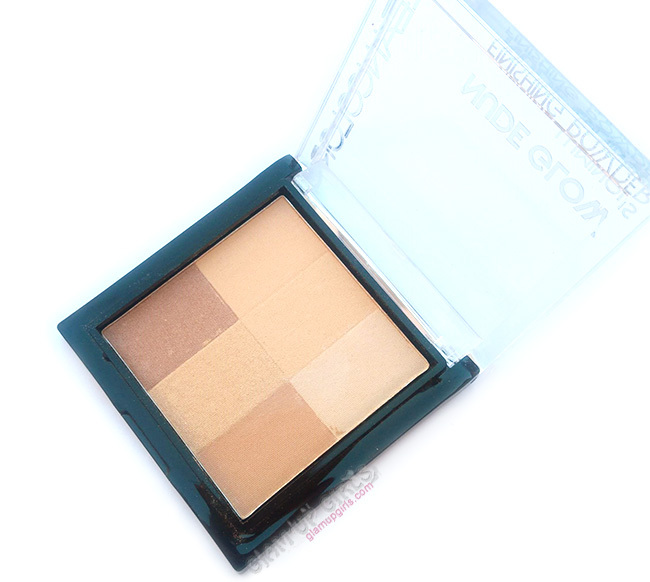 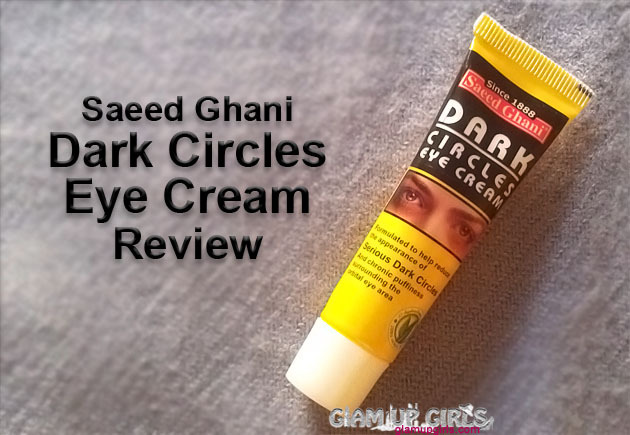 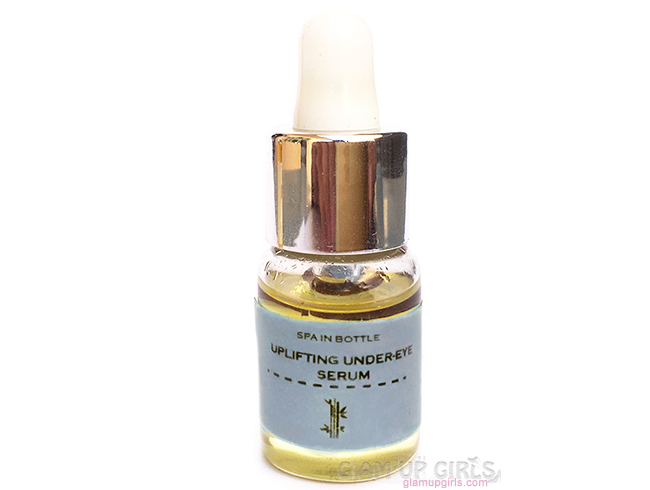 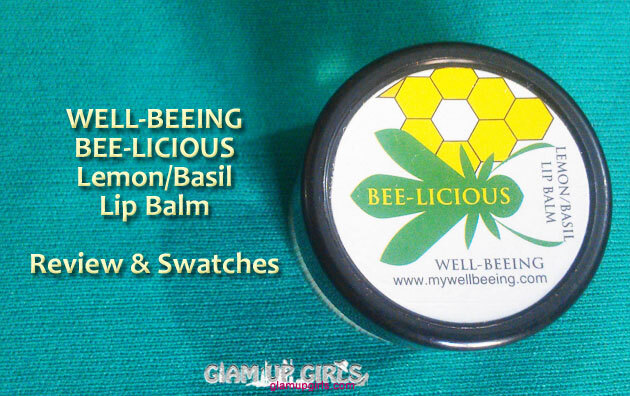 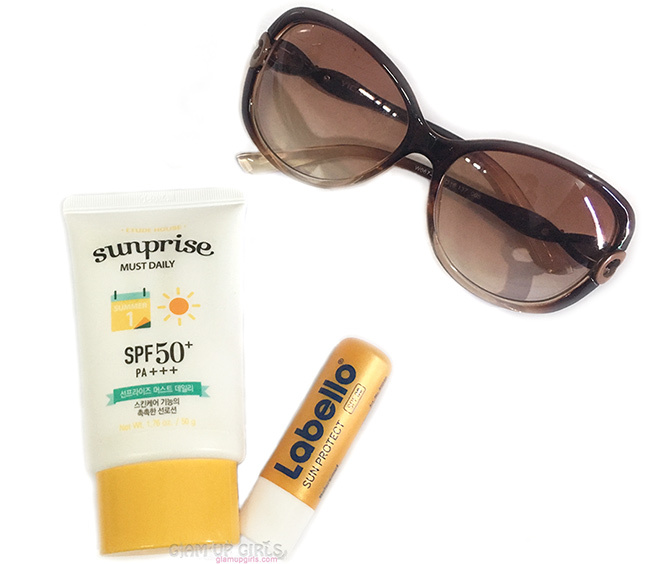 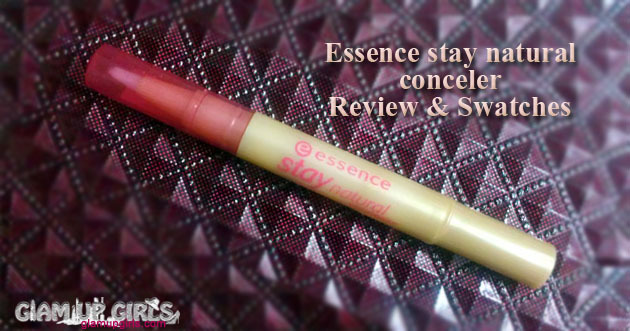 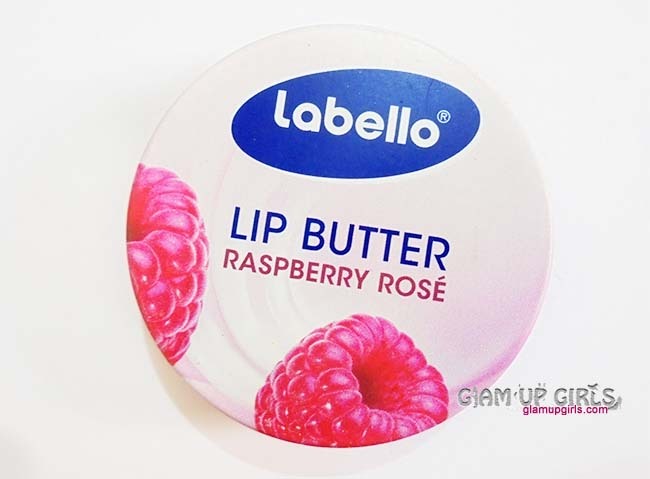 It has buttery smooth texture with intense pigmentation. 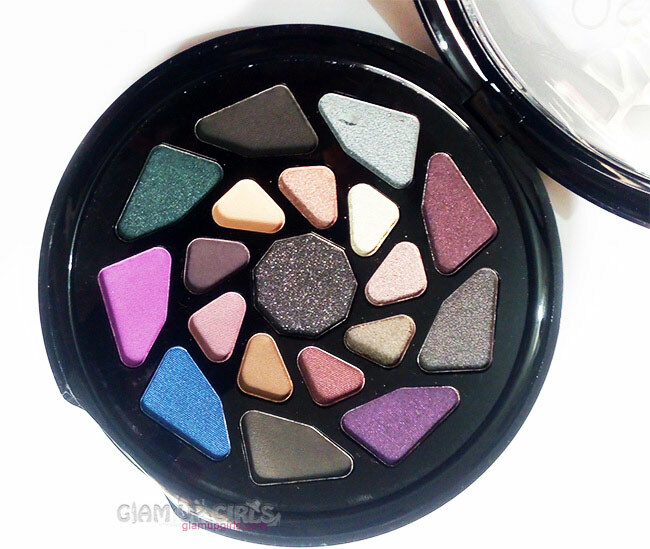 lfe is a deep purple with matte finish. 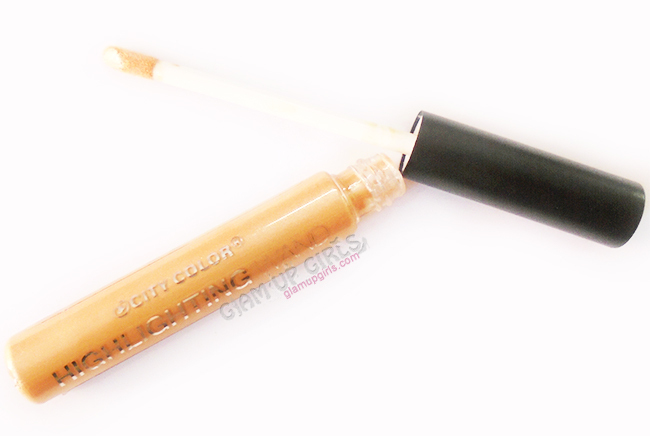 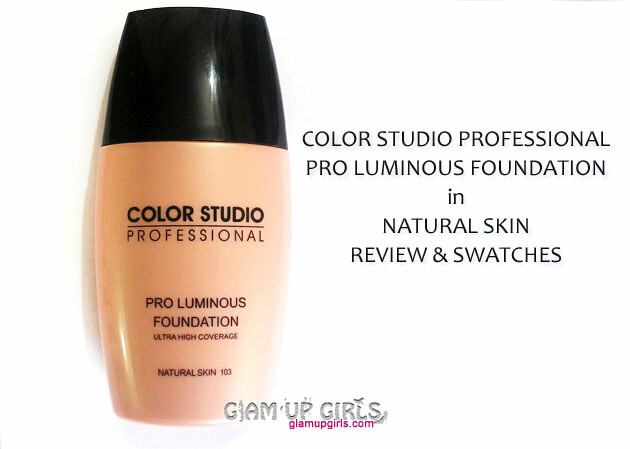 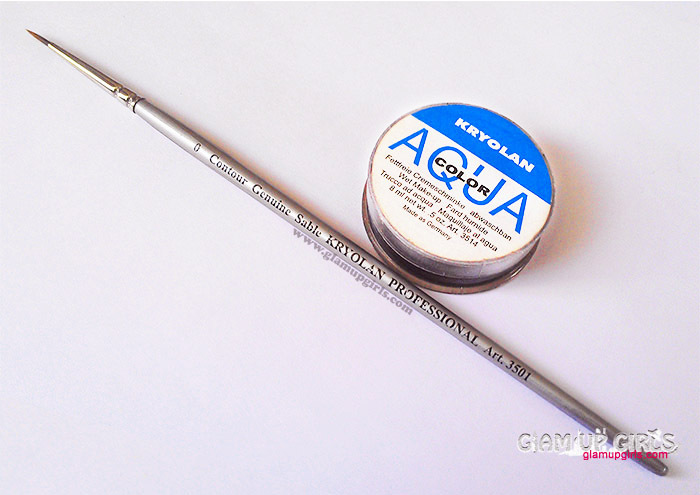 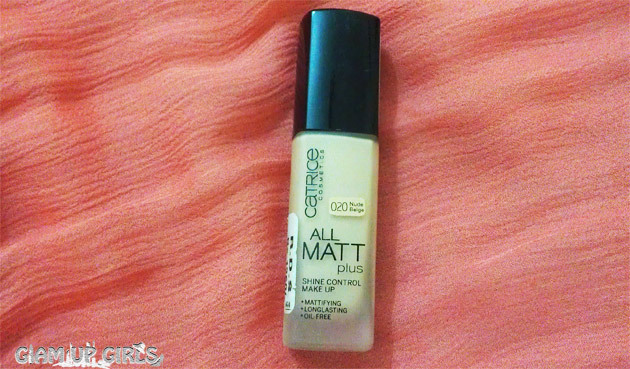 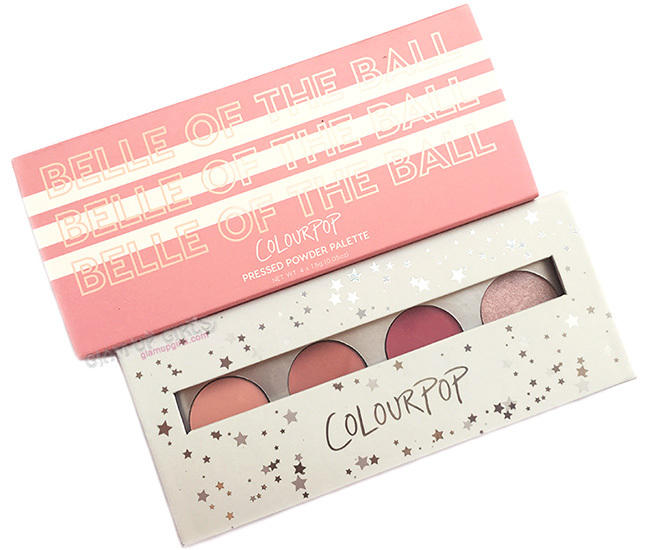 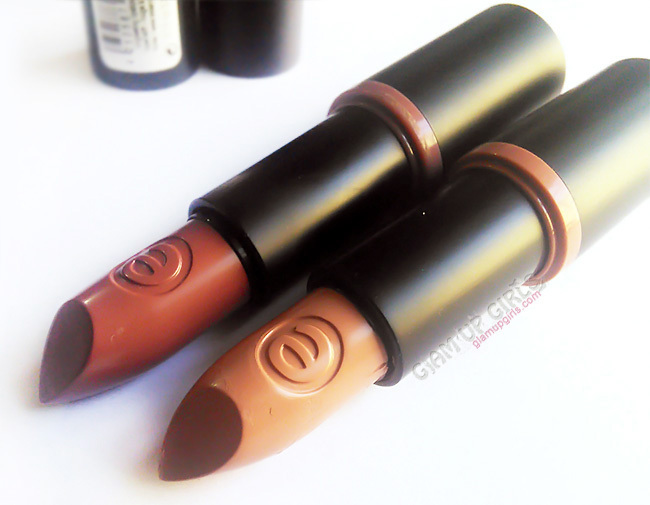 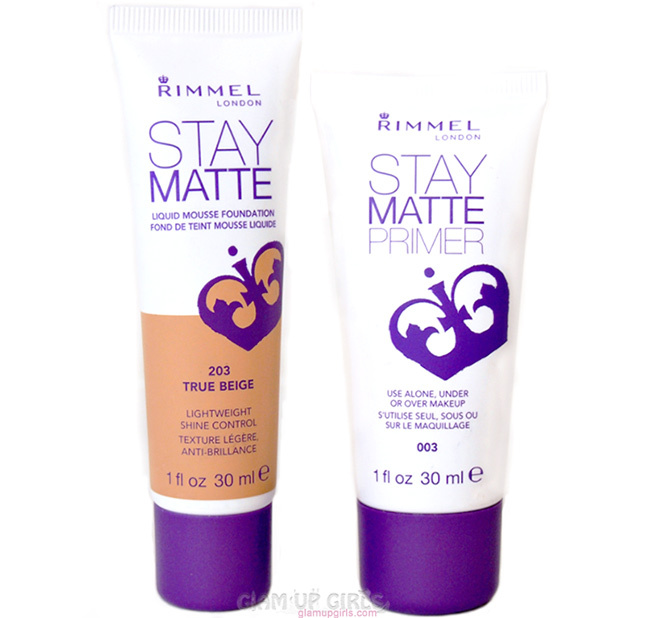 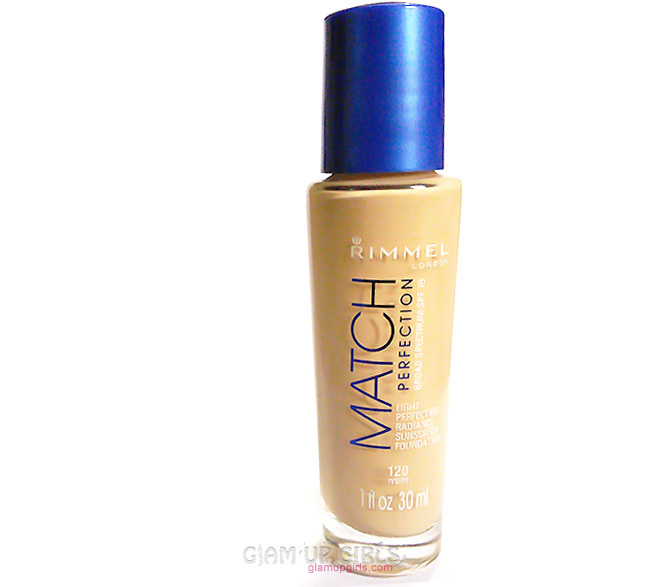 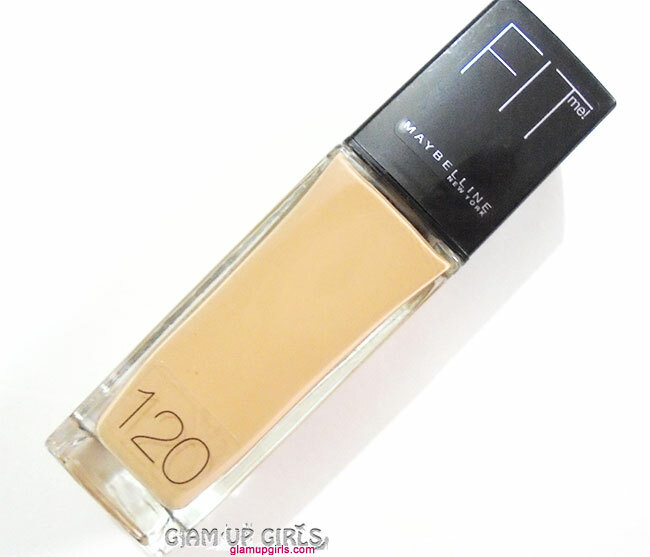 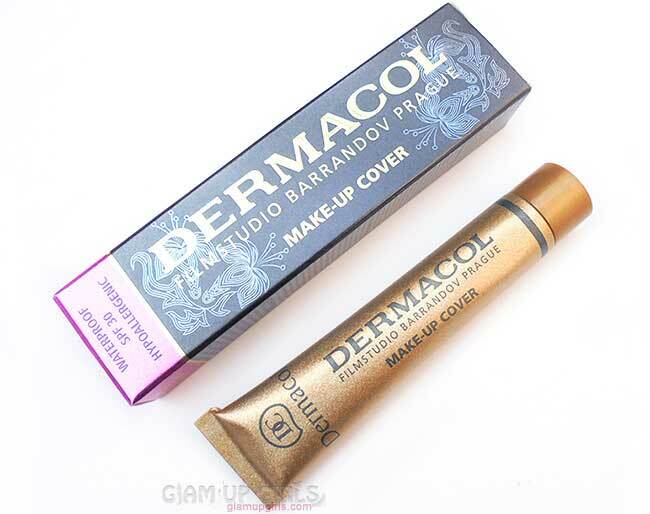 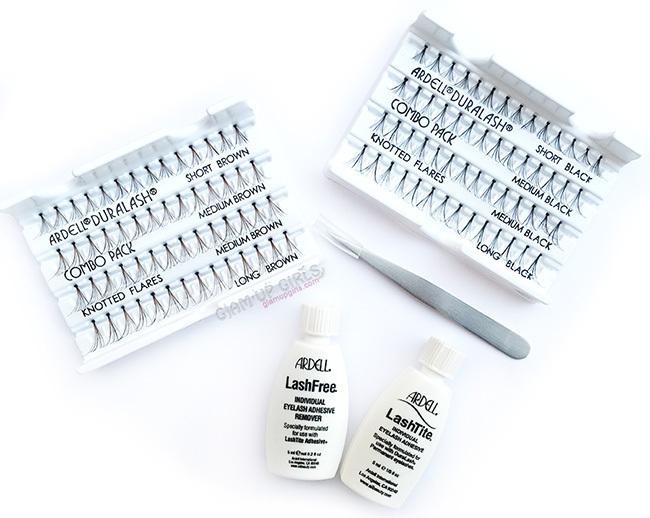 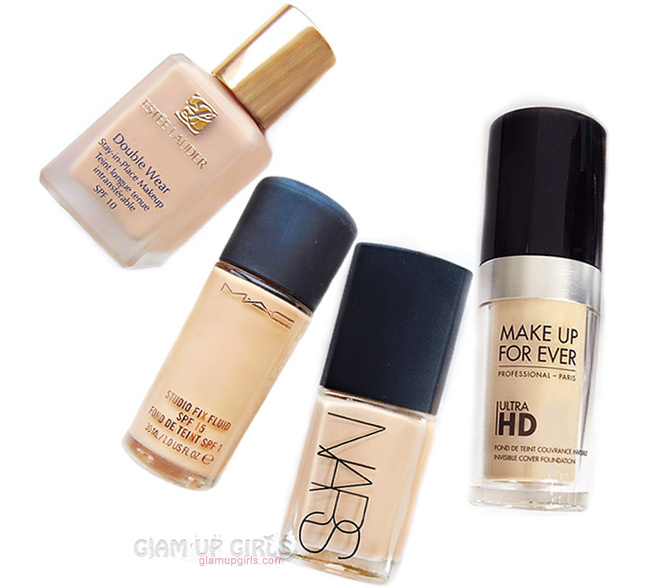 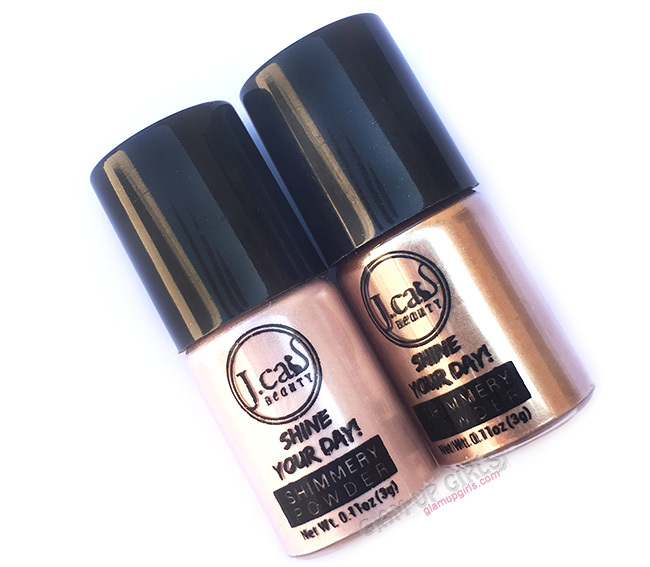 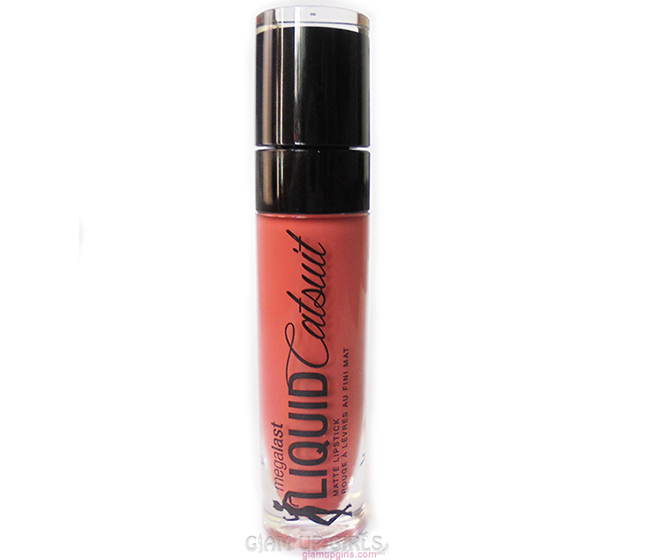 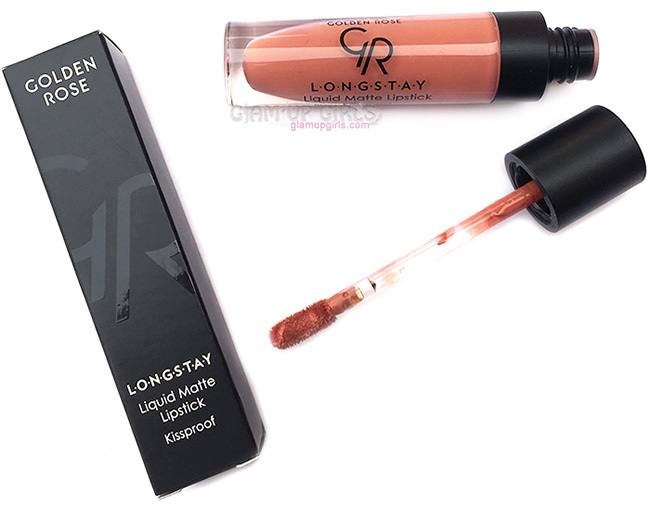 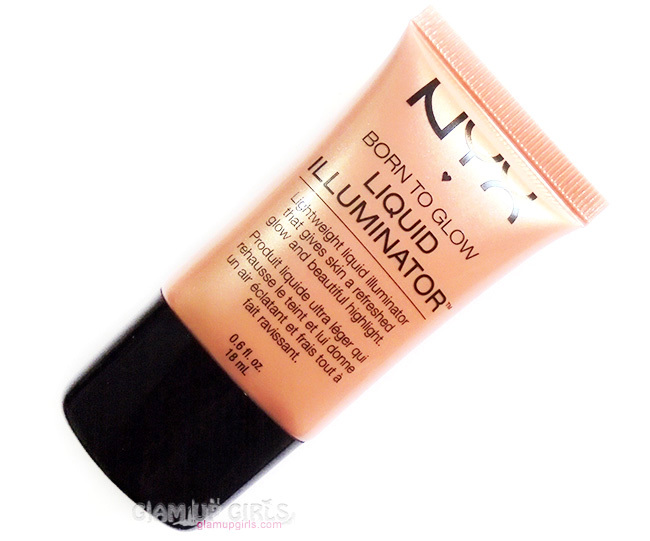 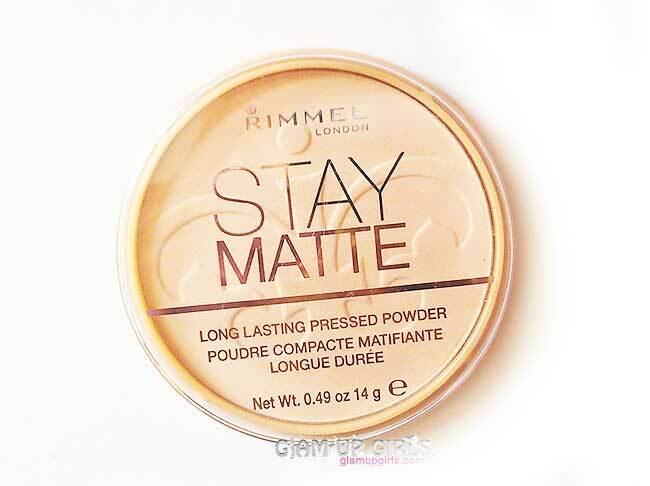 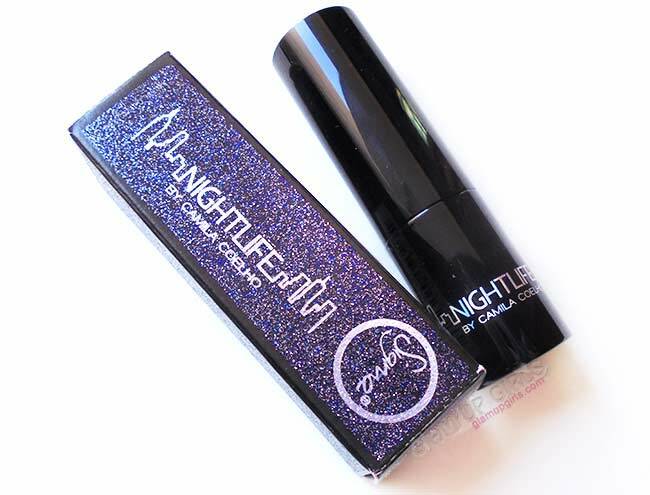 This shade have little dry texture while pigmentation is good which is buildable. 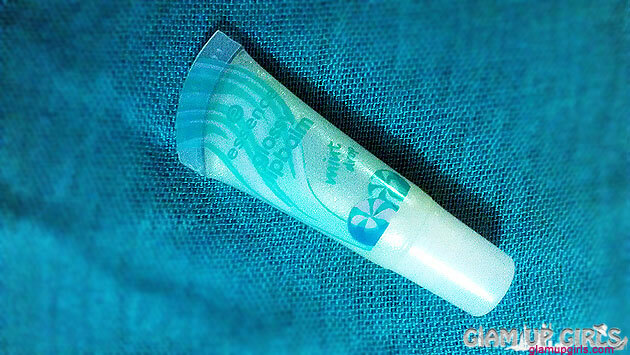 Yara is a medium turquoise shade with metallic finish. 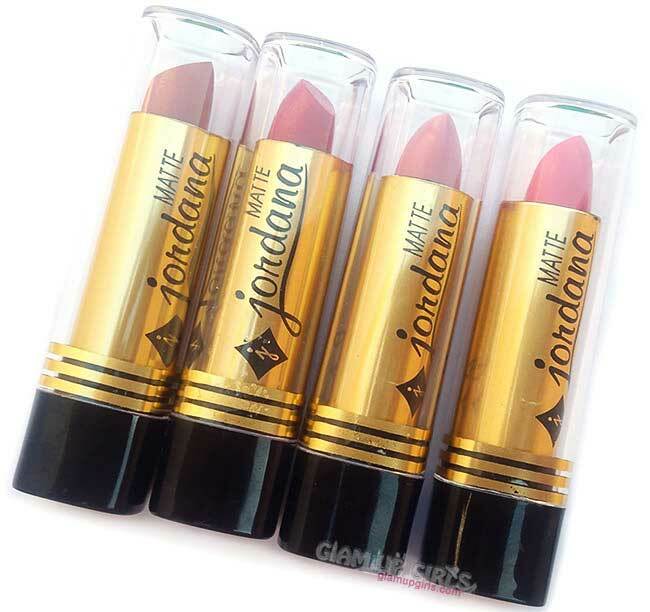 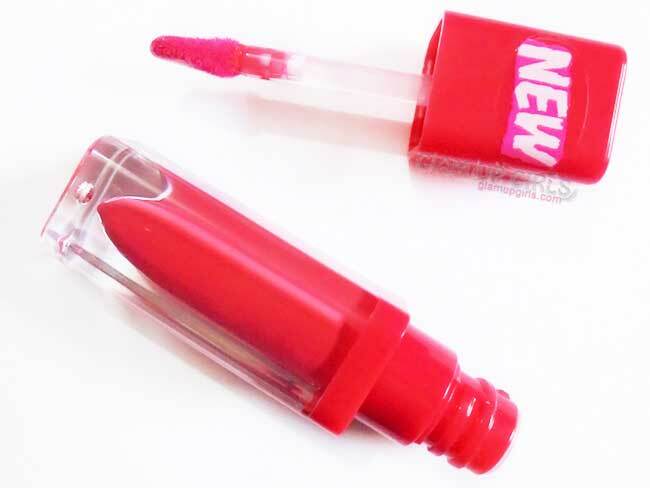 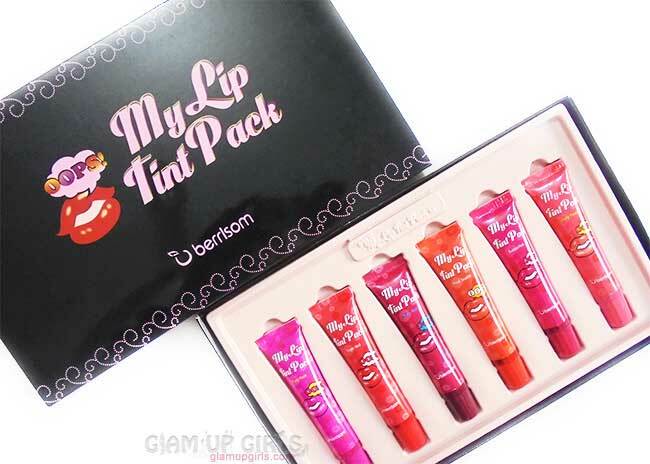 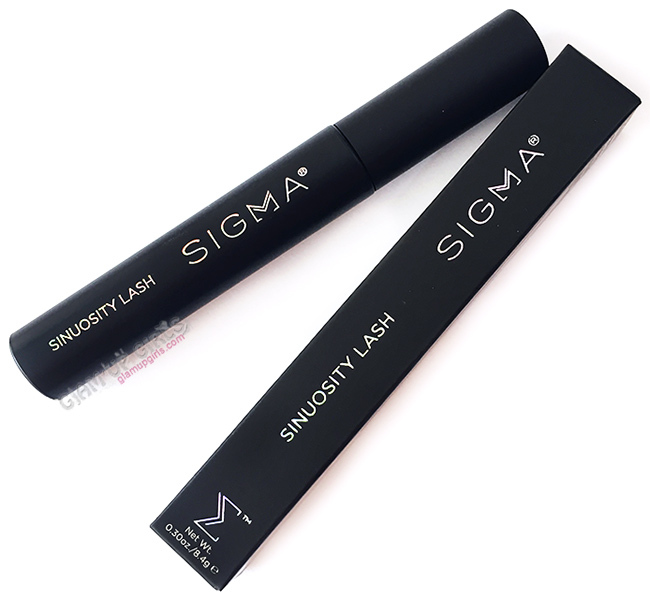 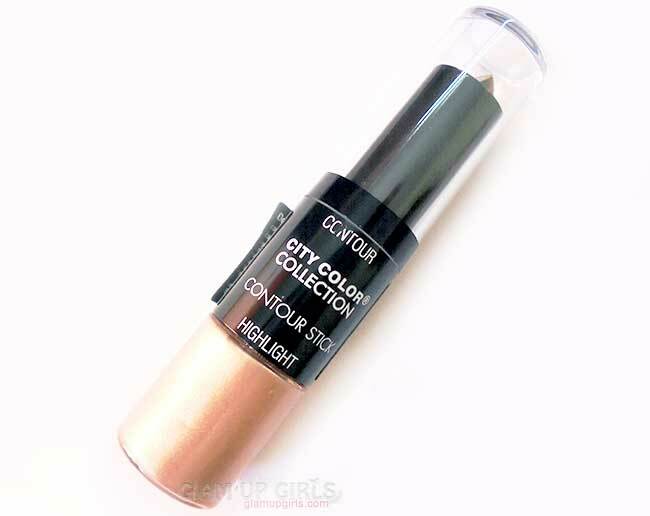 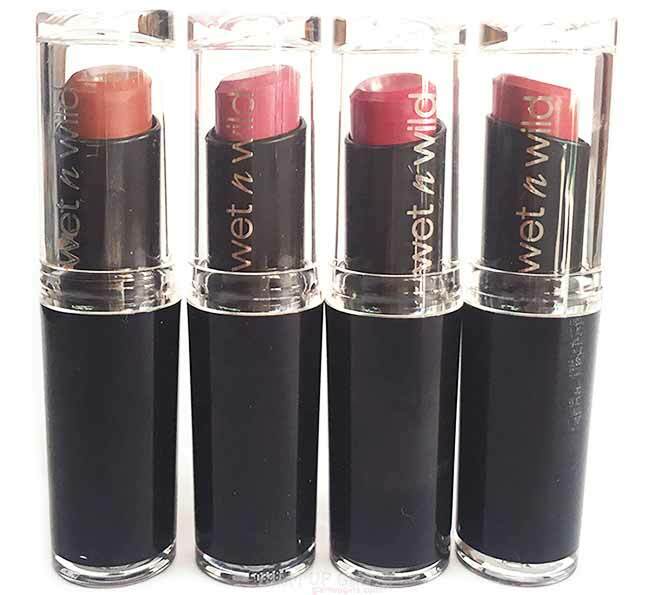 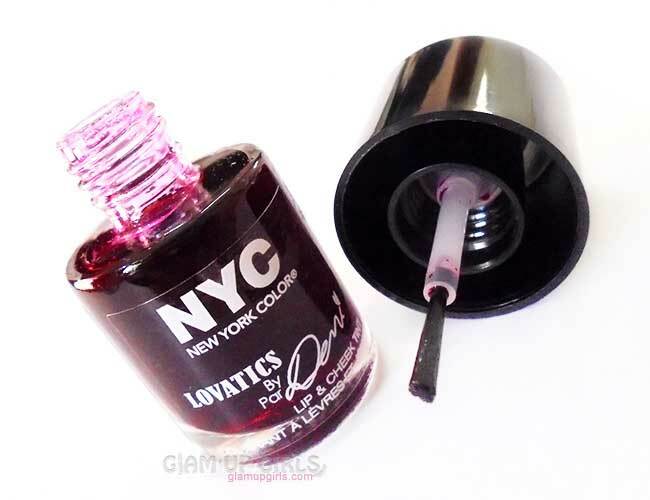 It is highly pigmented and have very good texture. 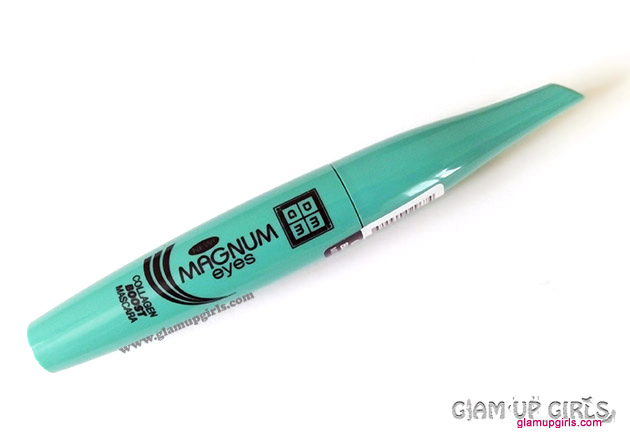 Buzo is a bright green with metallic finish. 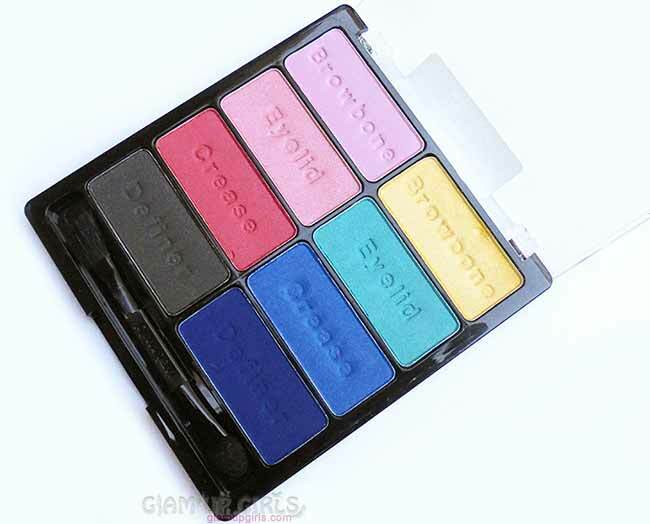 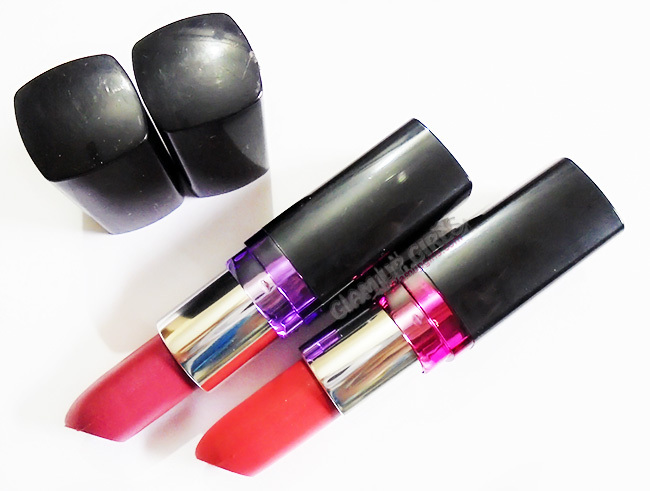 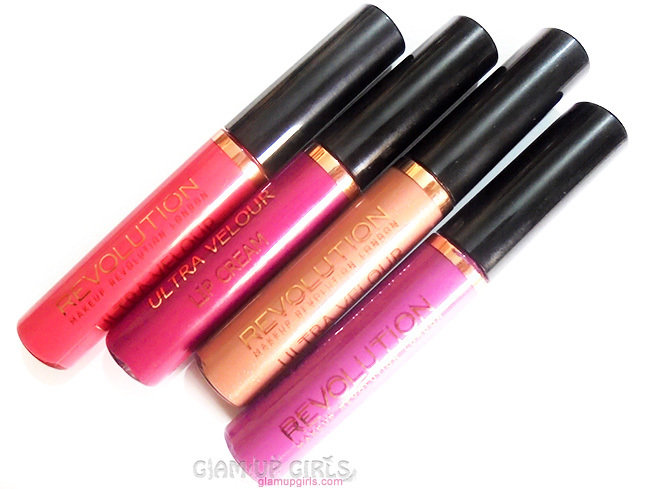 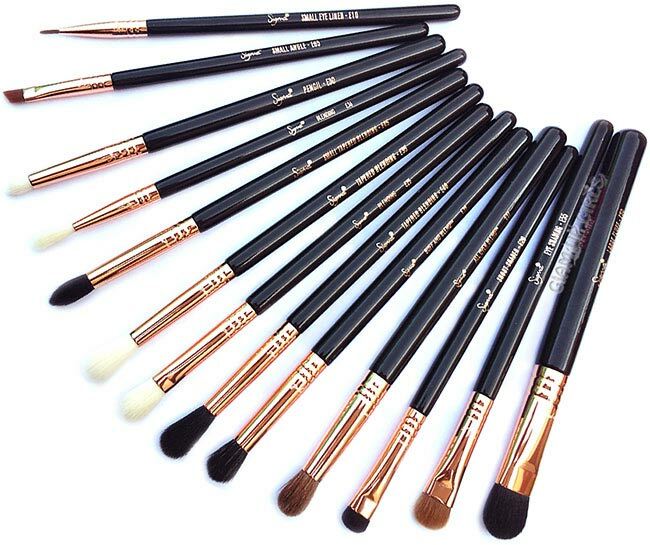 It is also highly pigmented and have soft texture. 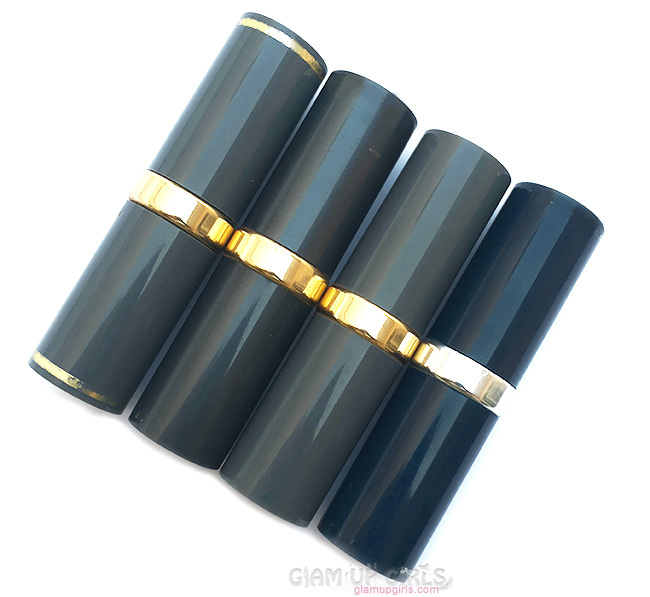 Yejide is a deep blue with matte finish. 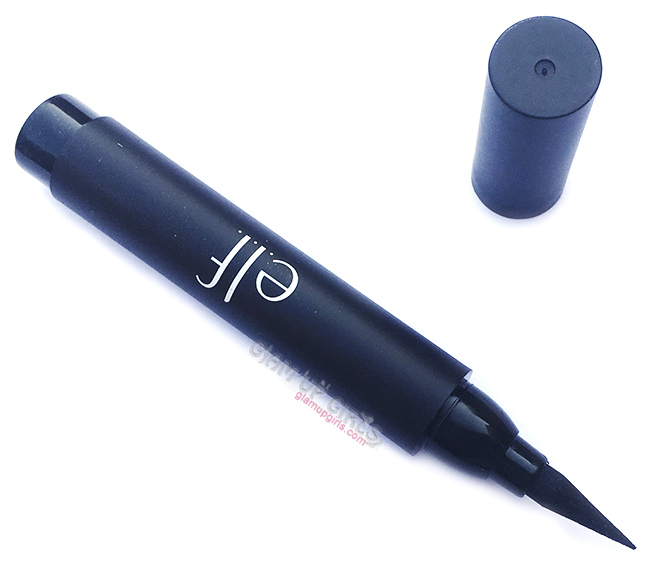 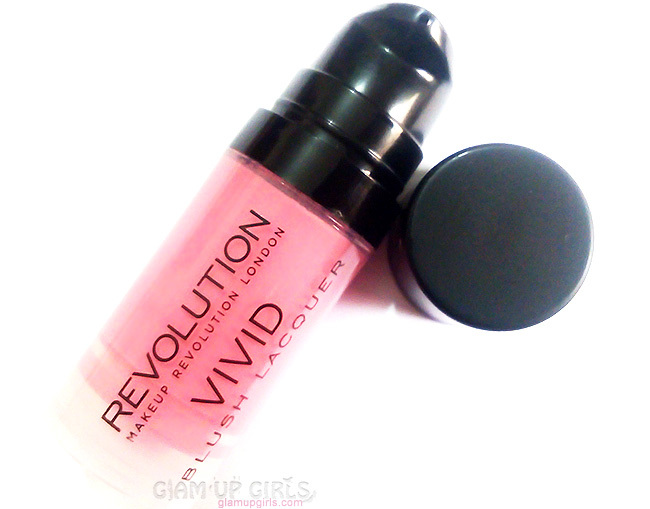 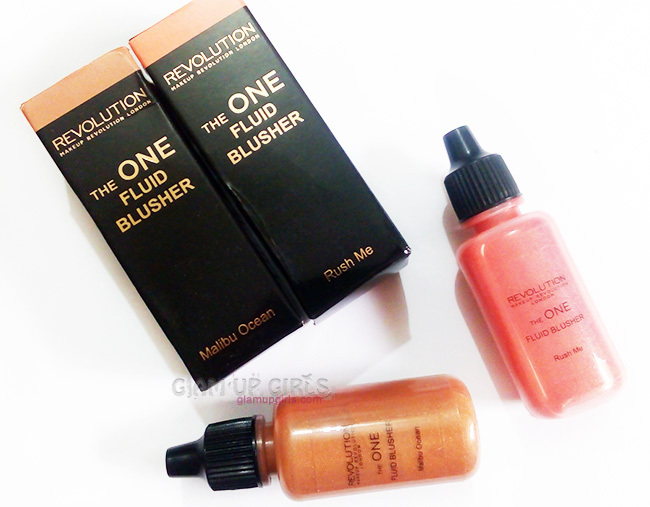 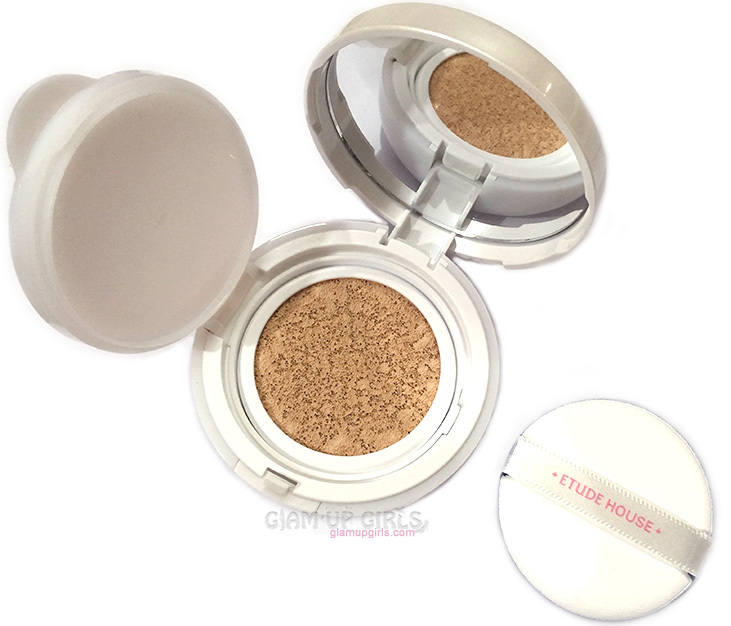 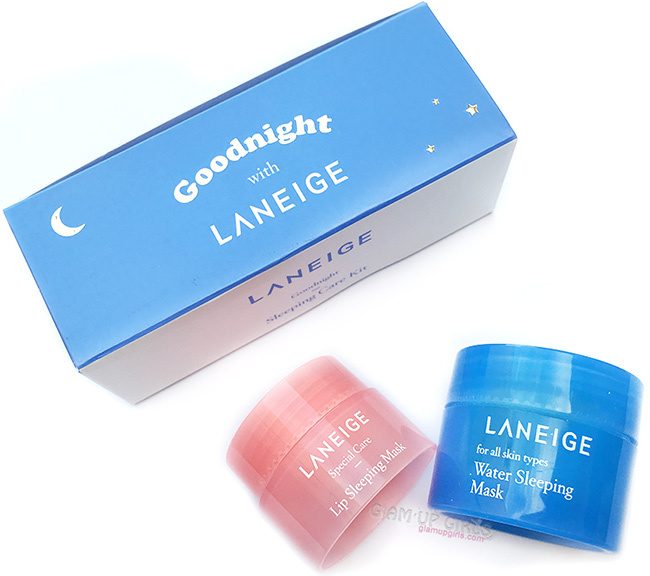 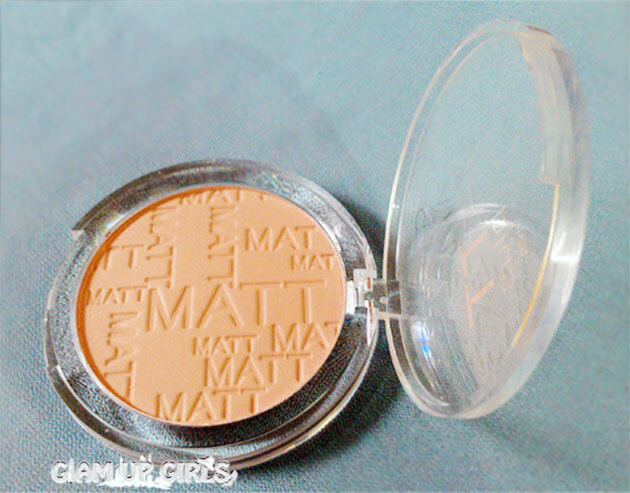 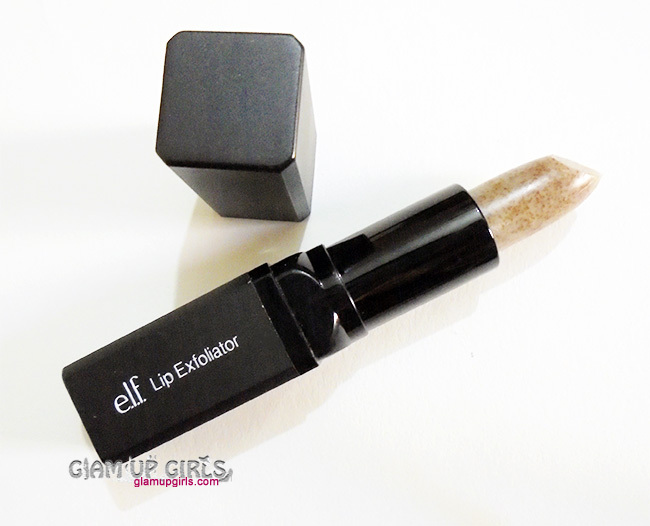 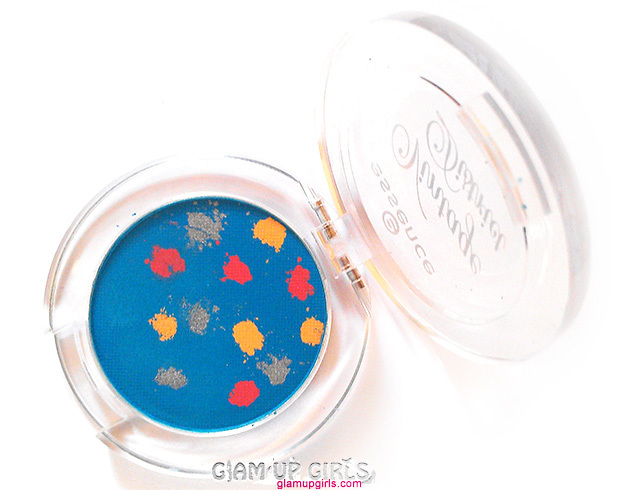 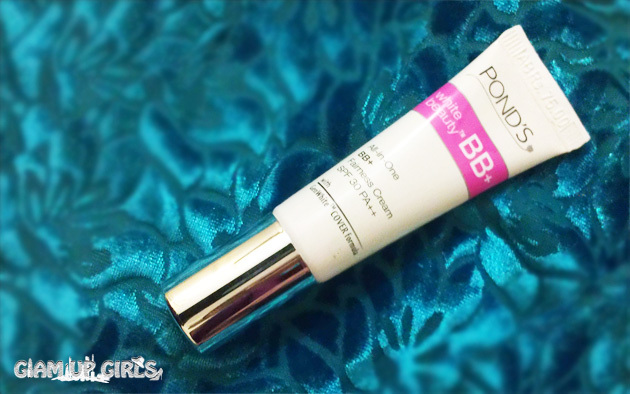 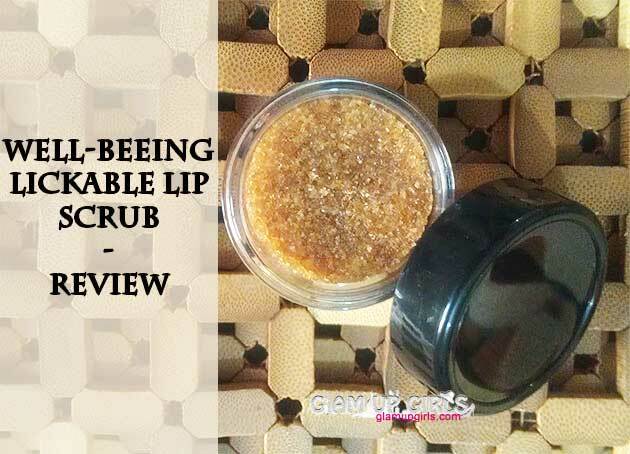 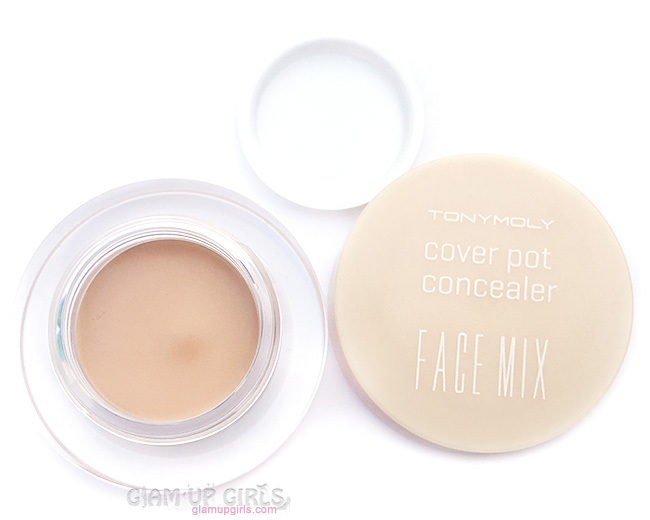 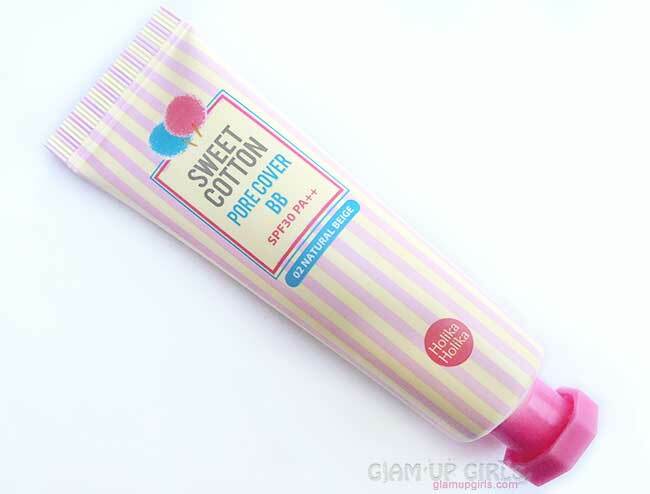 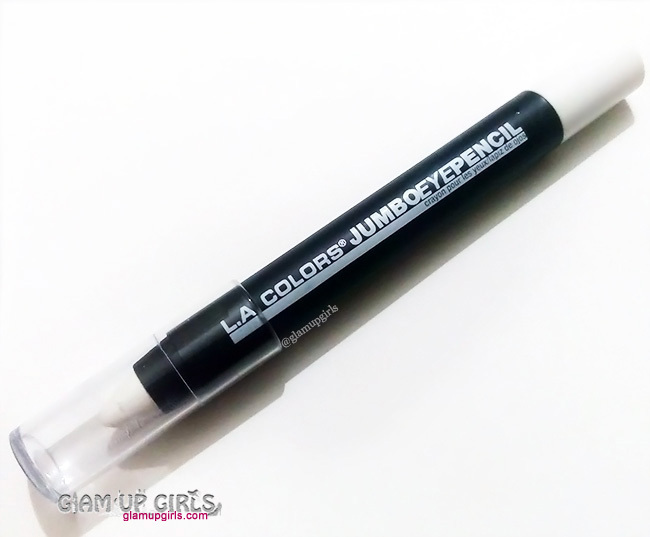 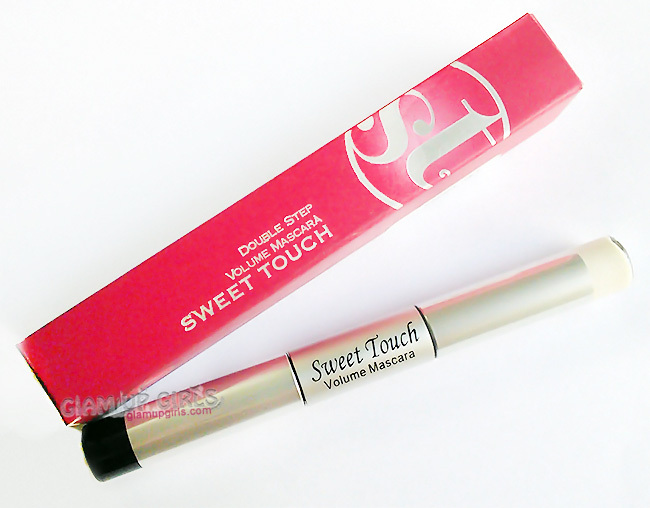 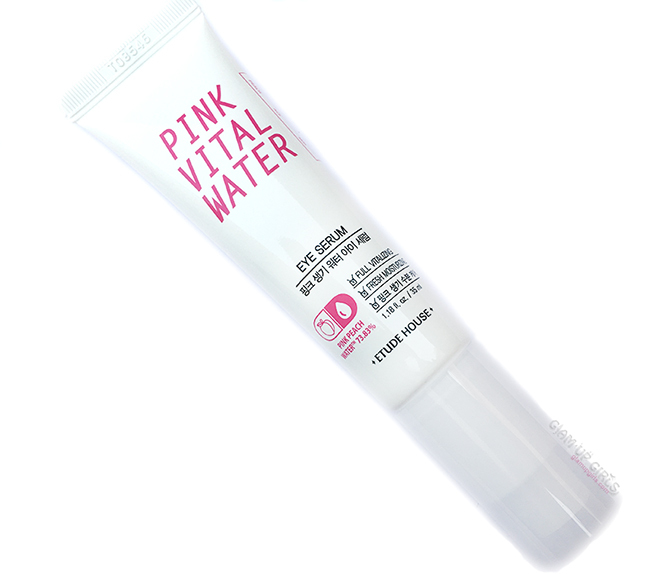 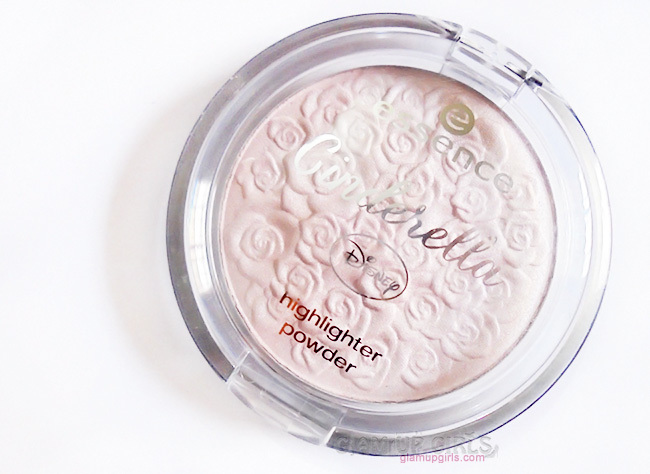 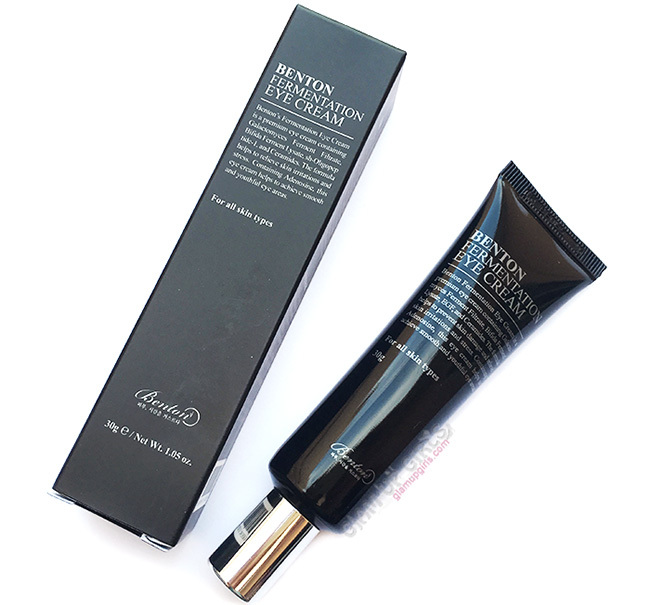 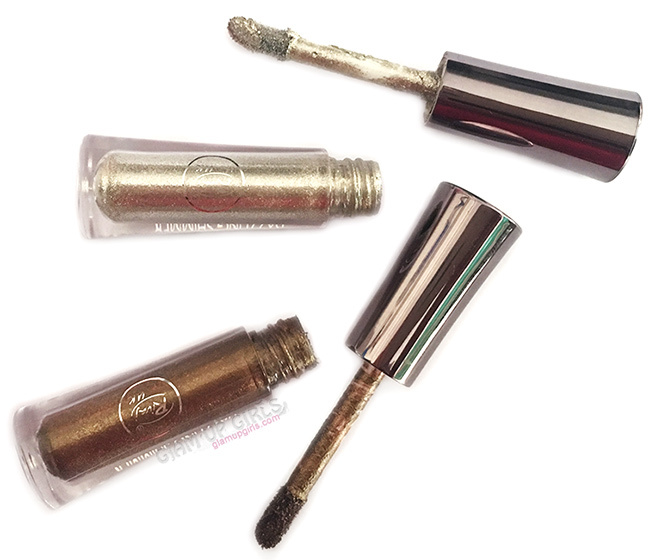 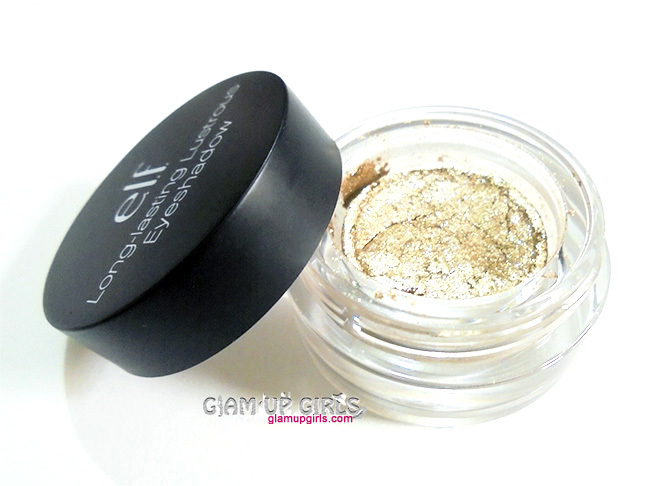 It also has little dry texture with medium to buildable pigmentation. 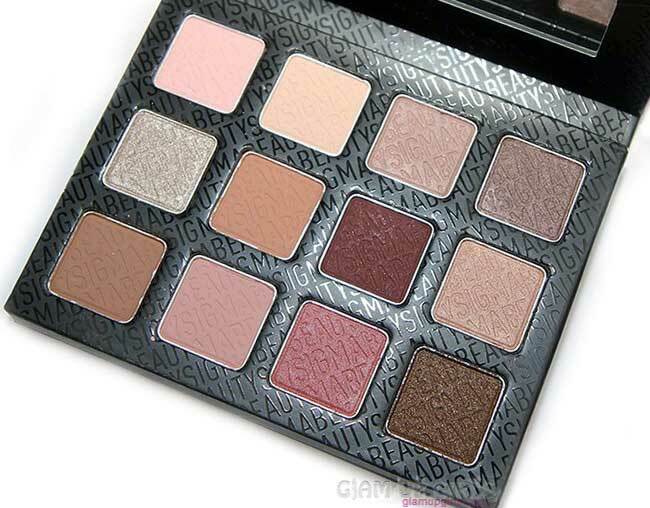 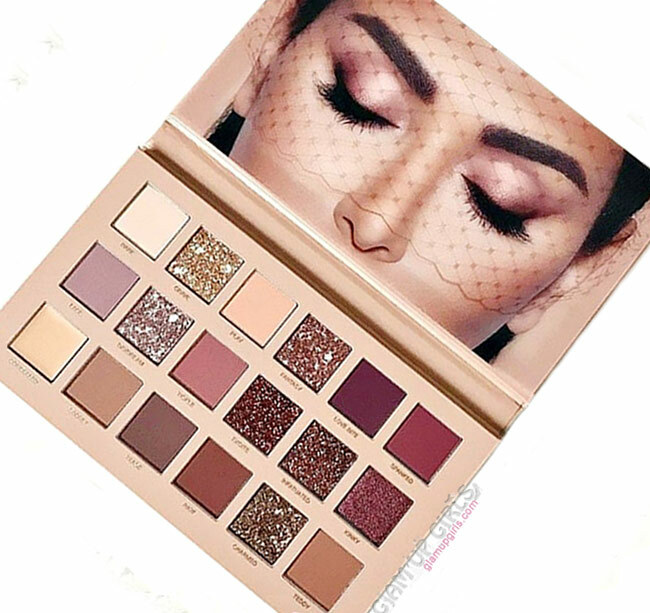 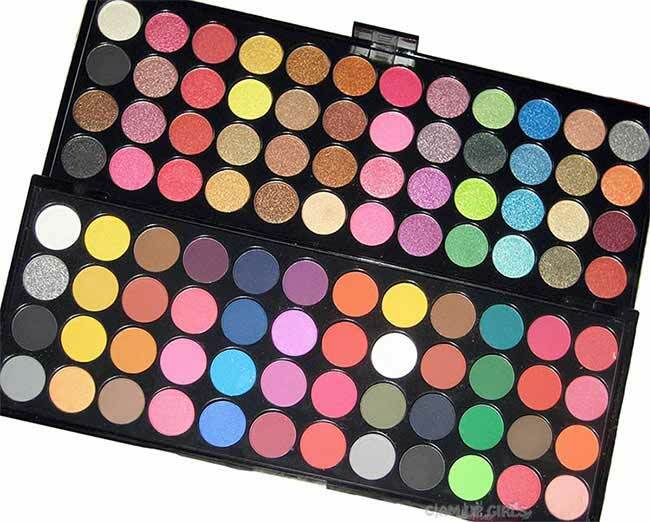 Overall this palette is really good for its quality and shade selection. 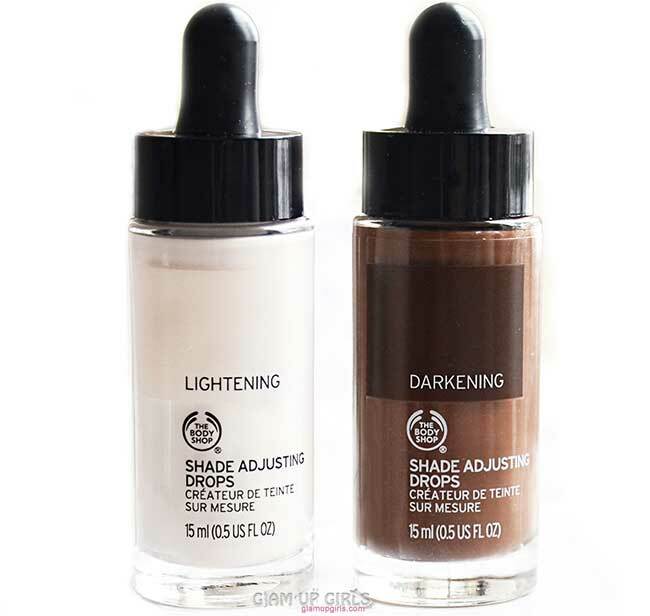 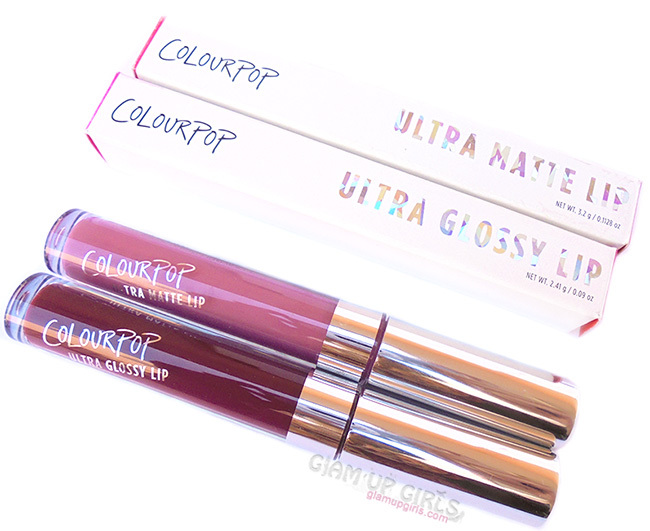 The pigmentation is very intense with good formula except 2 shades which have little dry formula but they still perform really good. 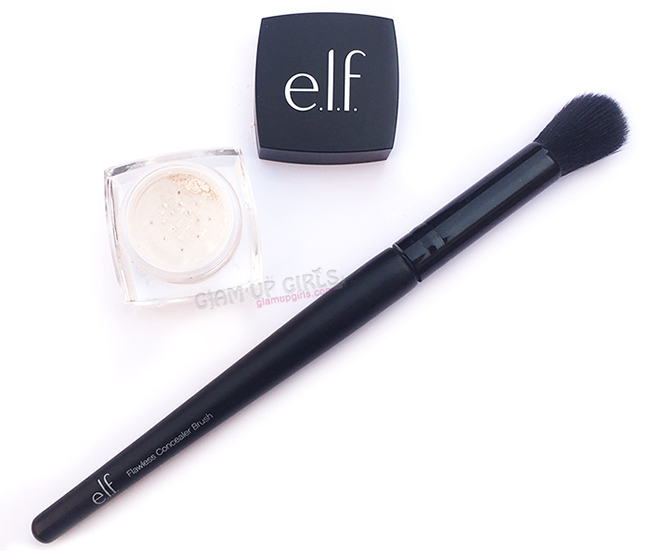 There is almost 0 fallout which is huge plus as the product doesn't fall on your cheeks while creating eye look. 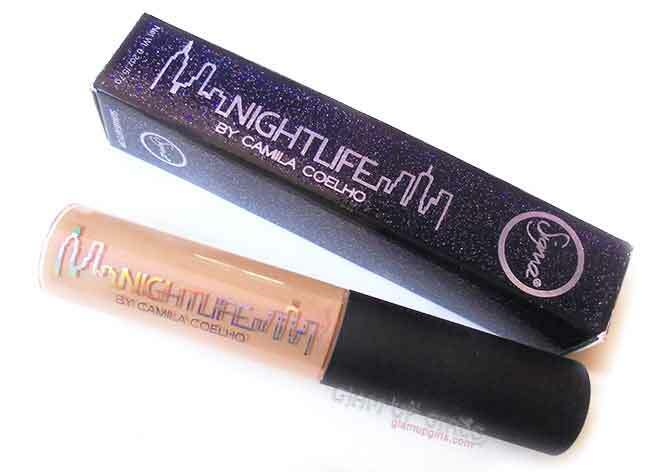 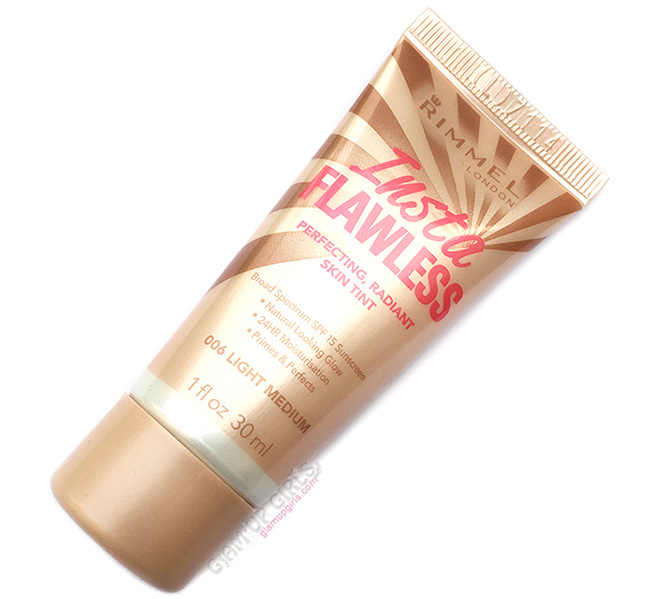 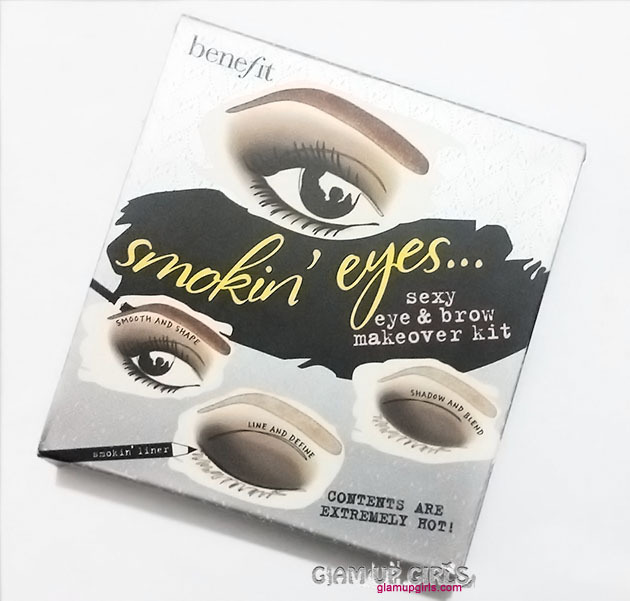 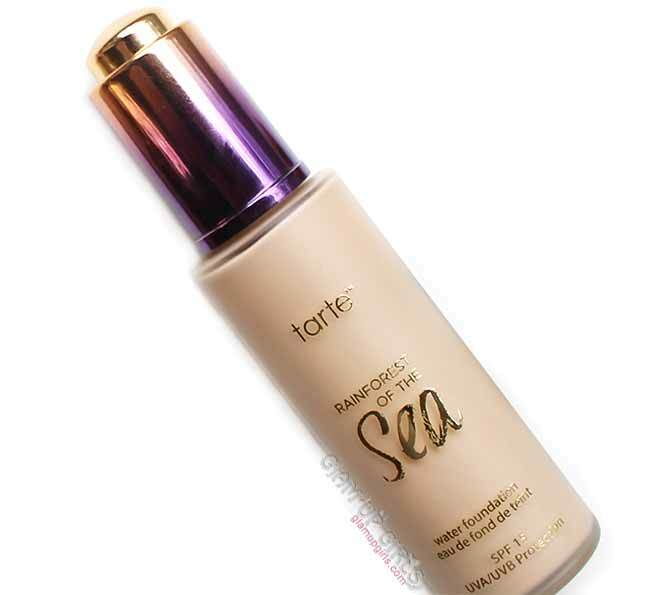 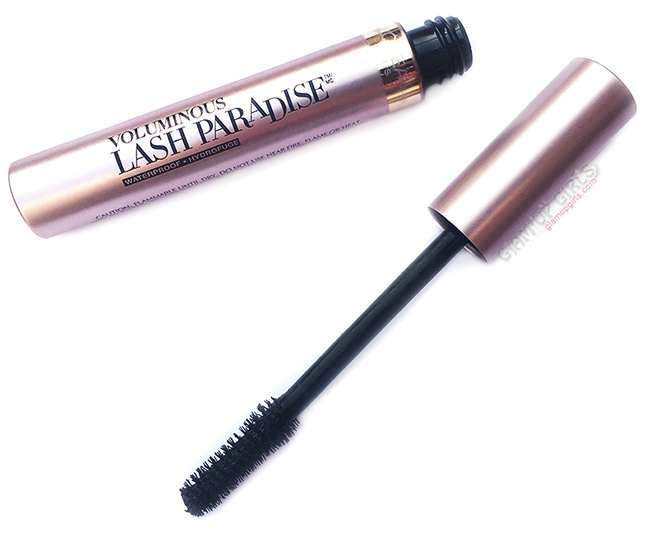 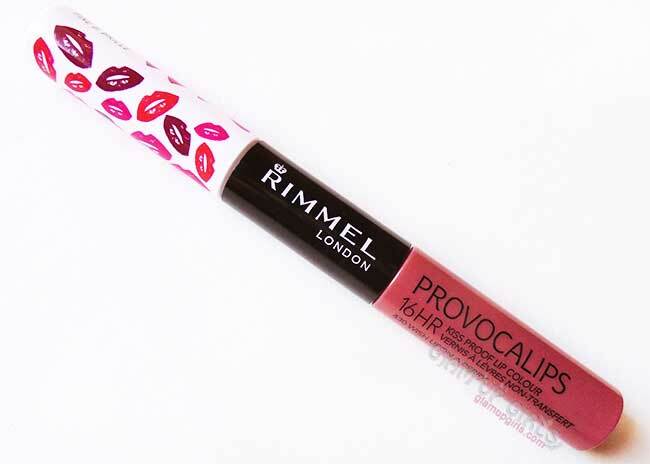 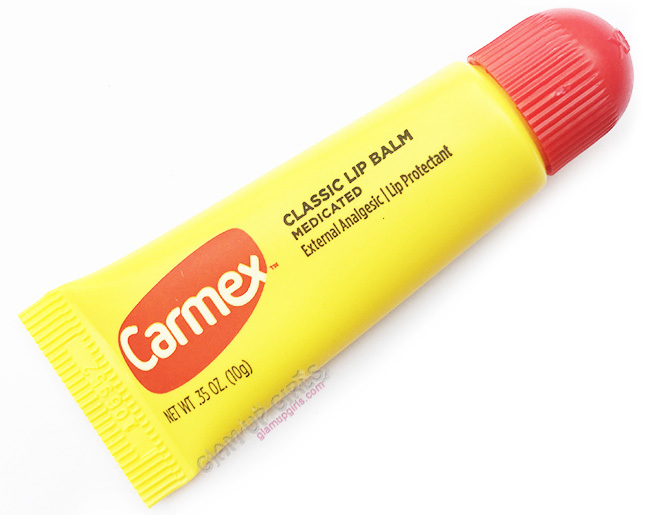 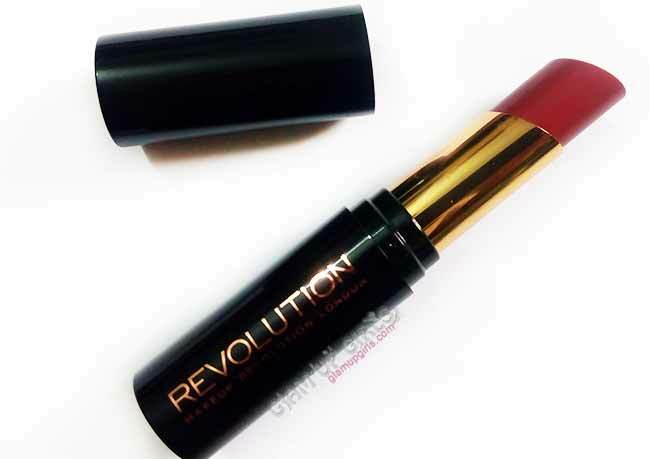 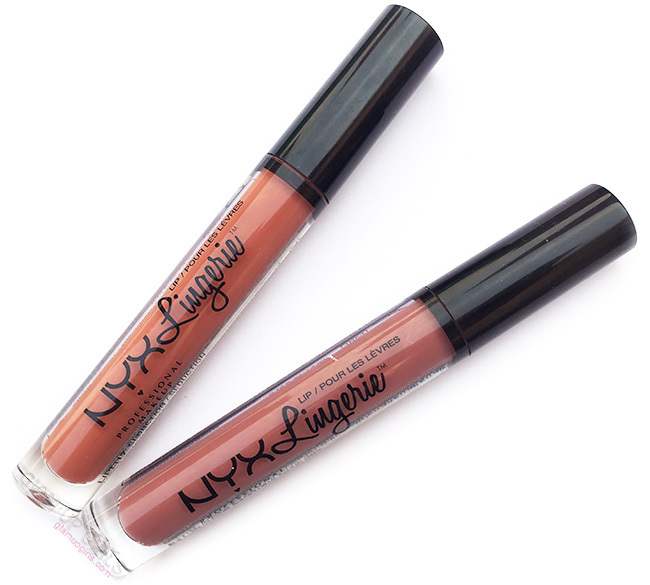 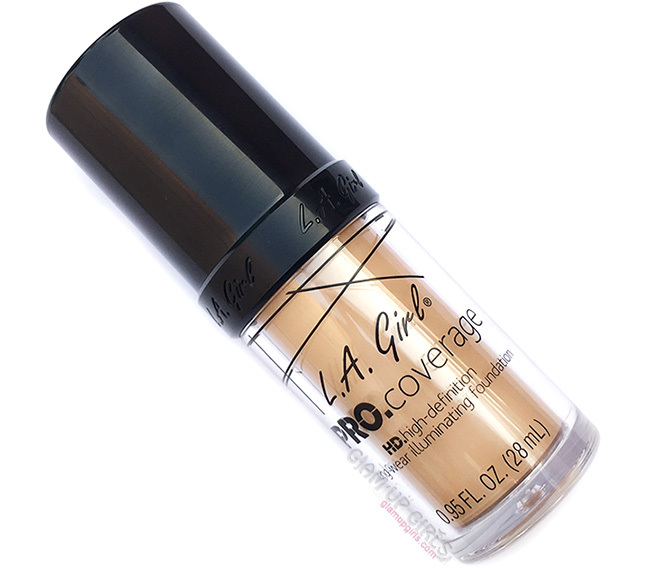 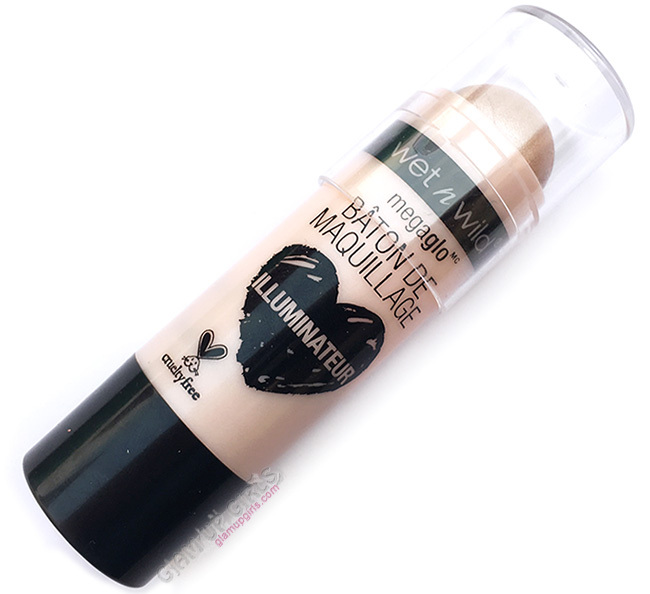 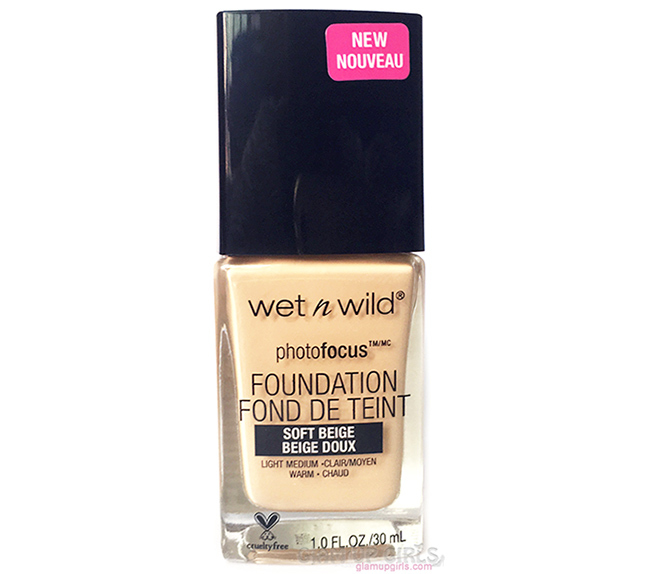 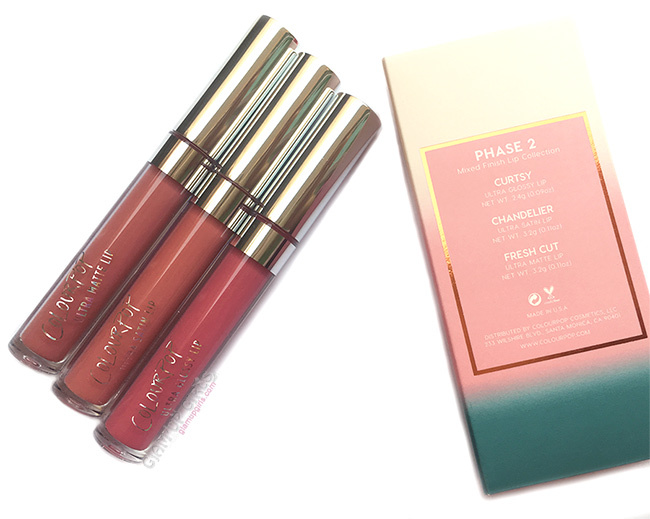 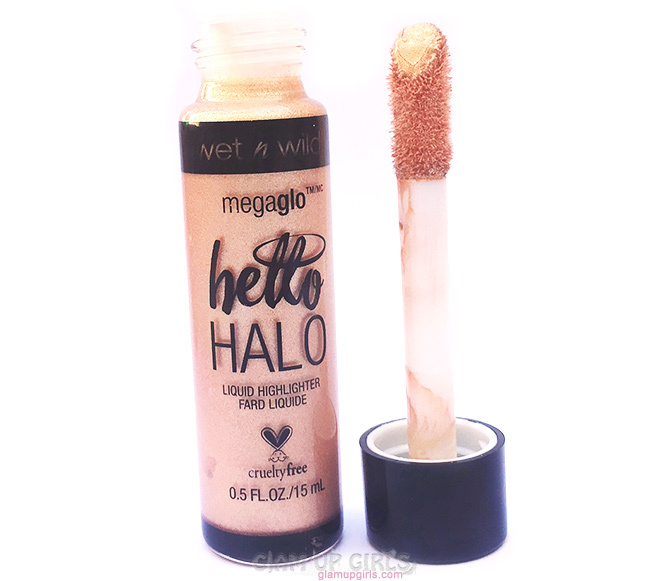 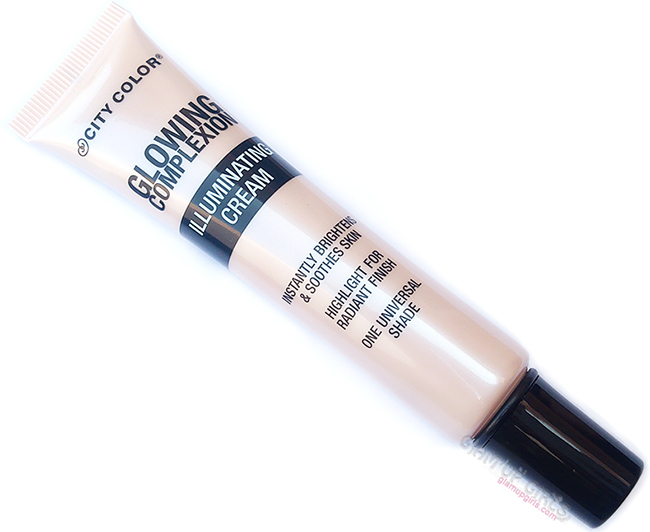 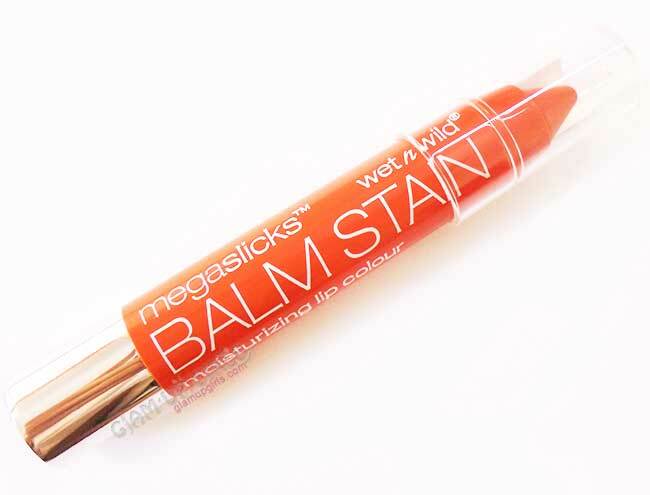 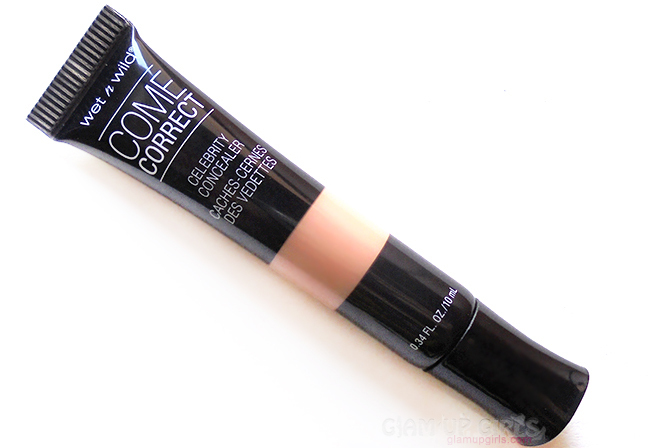 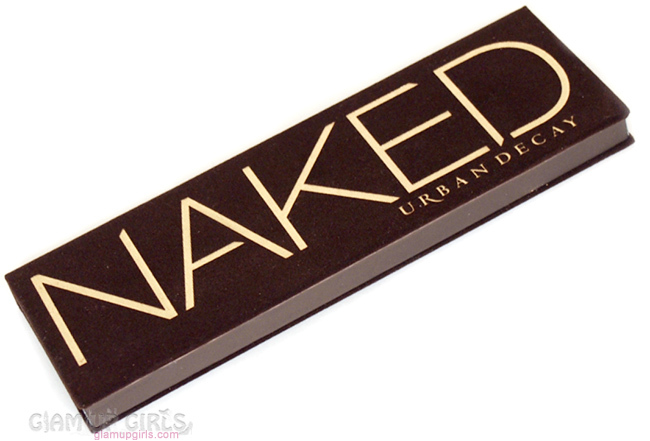 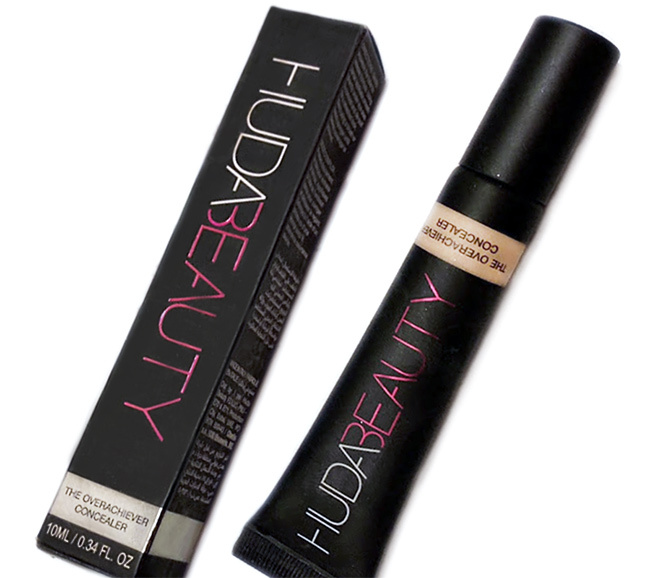 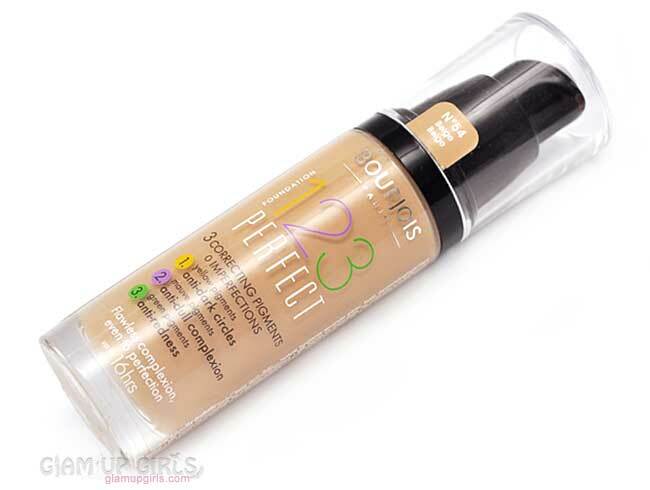 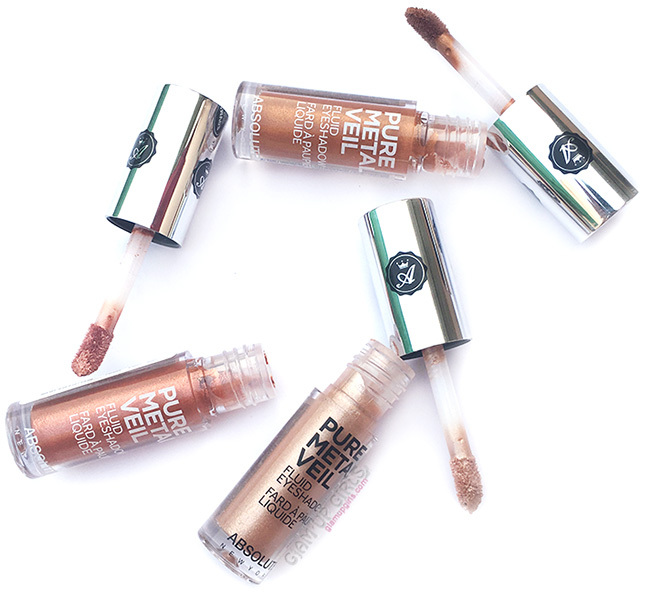 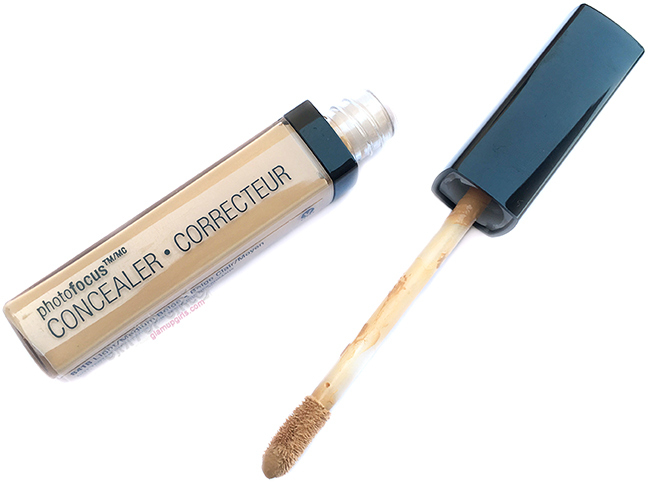 Without any primer or base the shades work really good and last very very long. 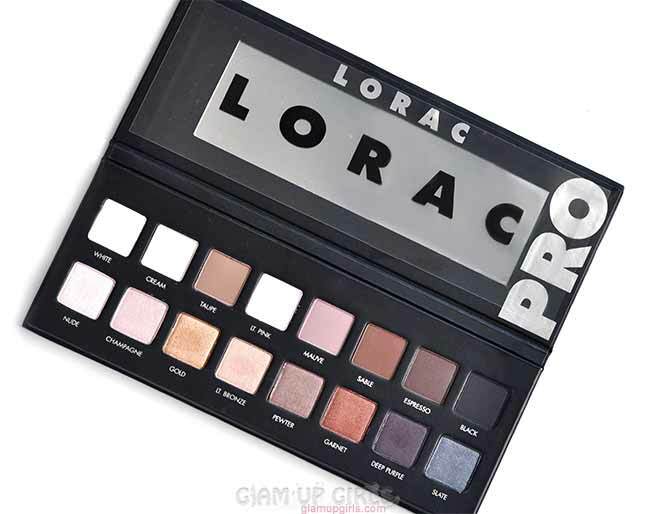 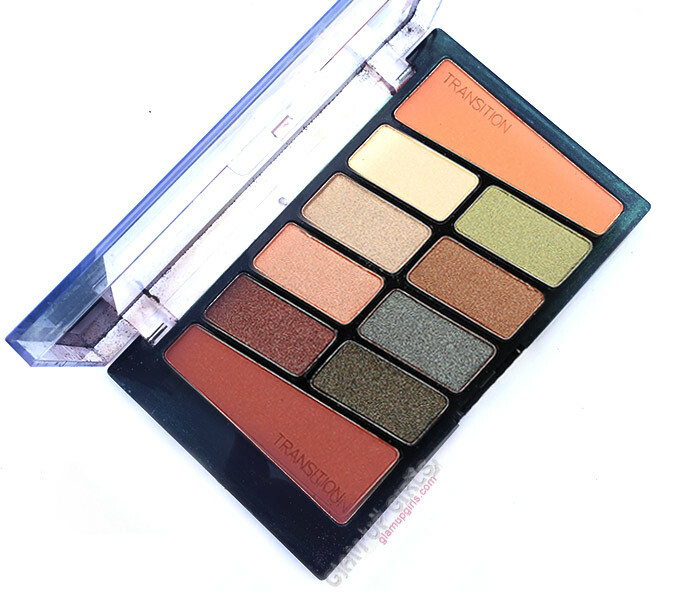 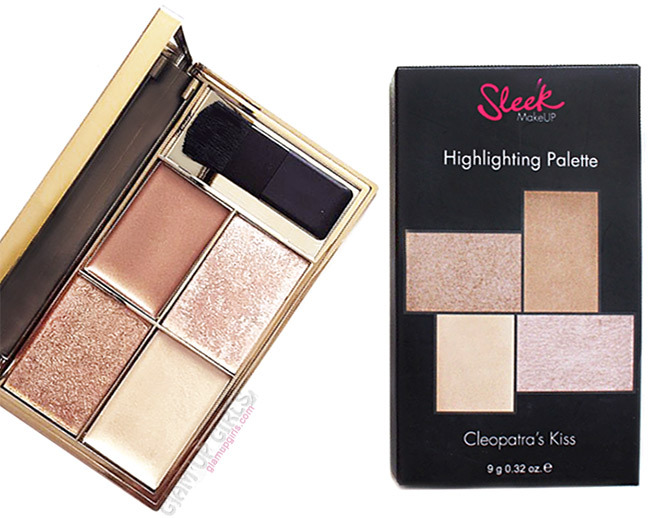 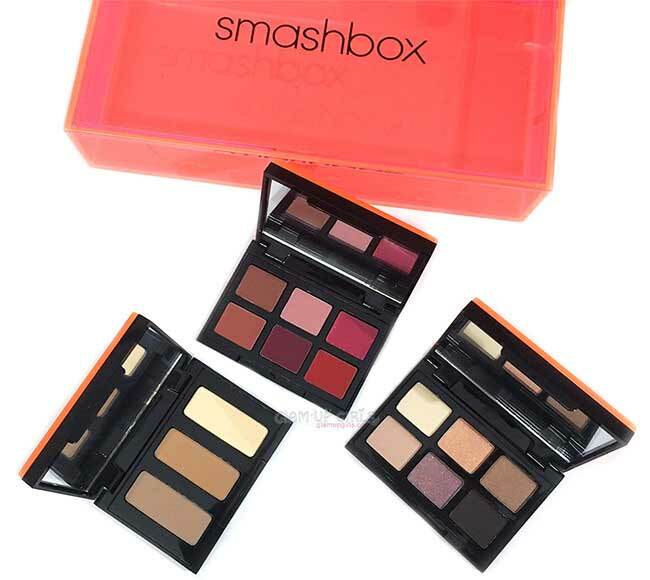 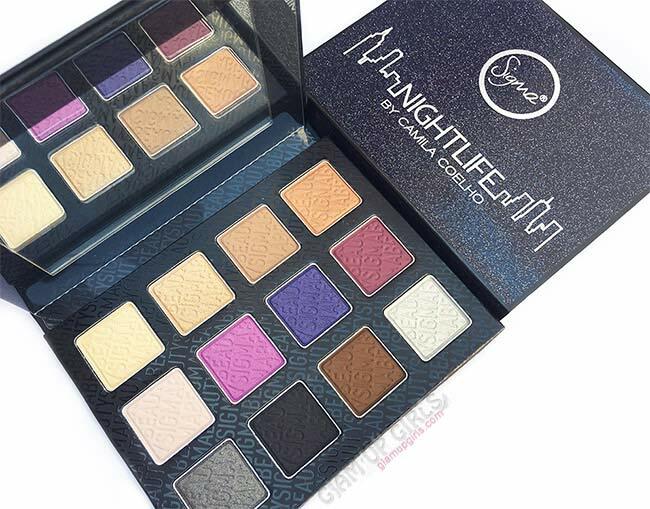 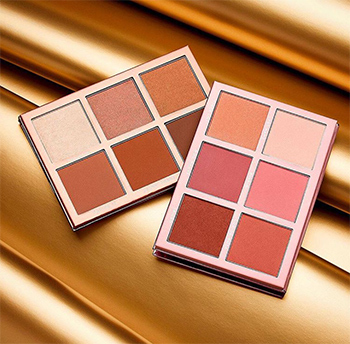 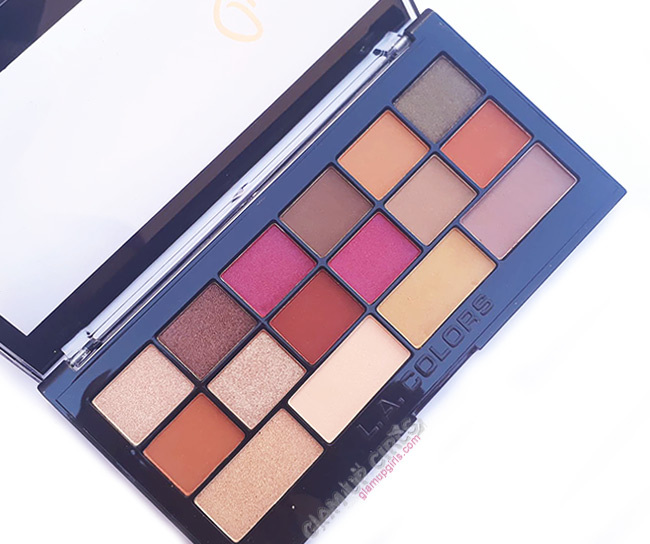 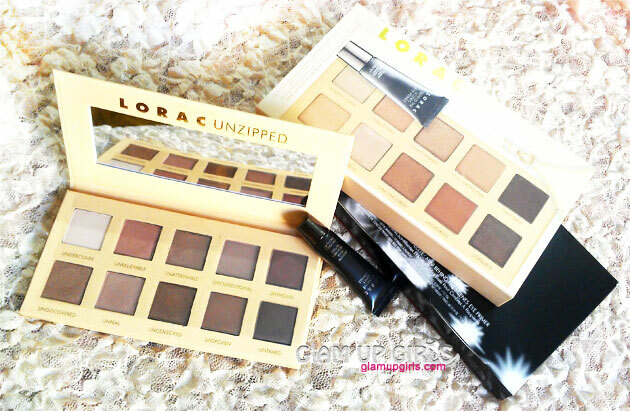 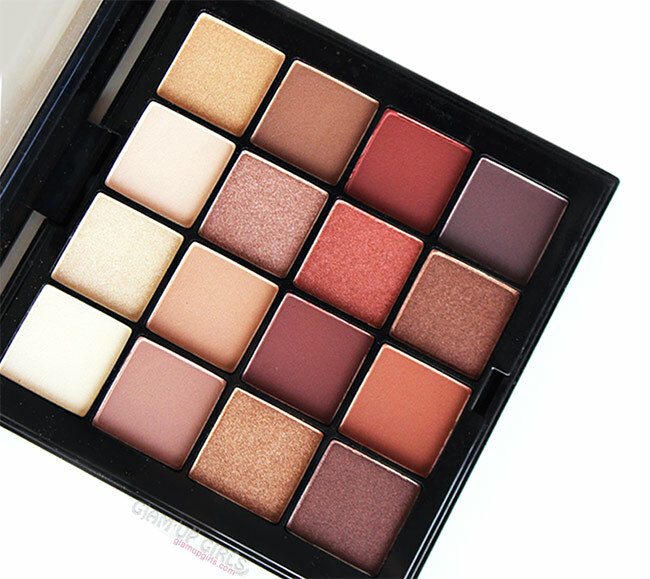 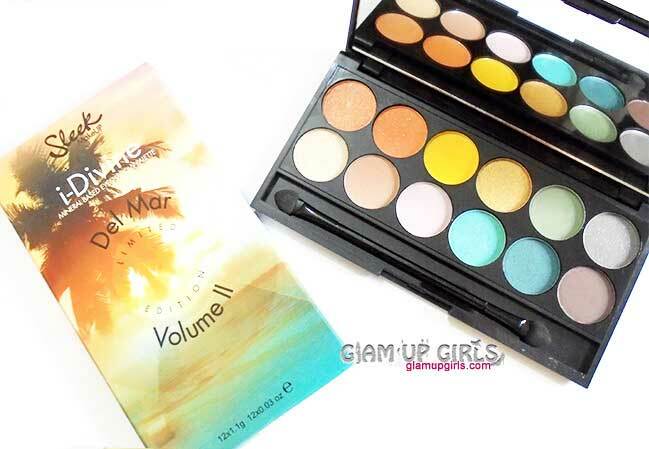 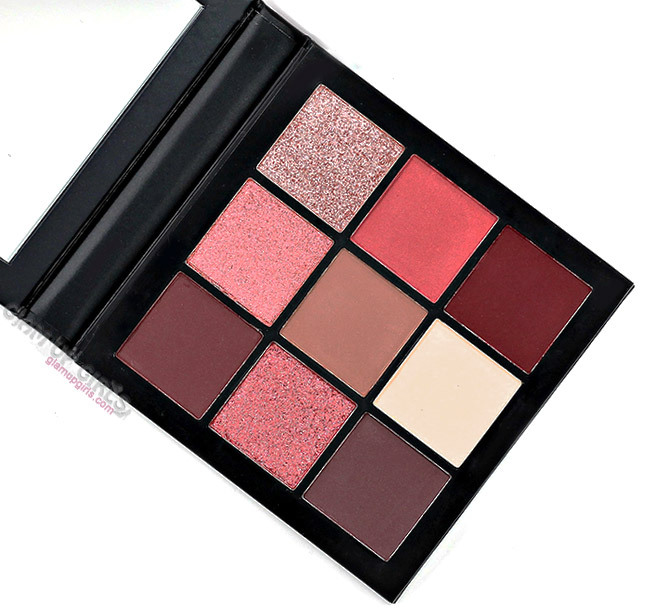 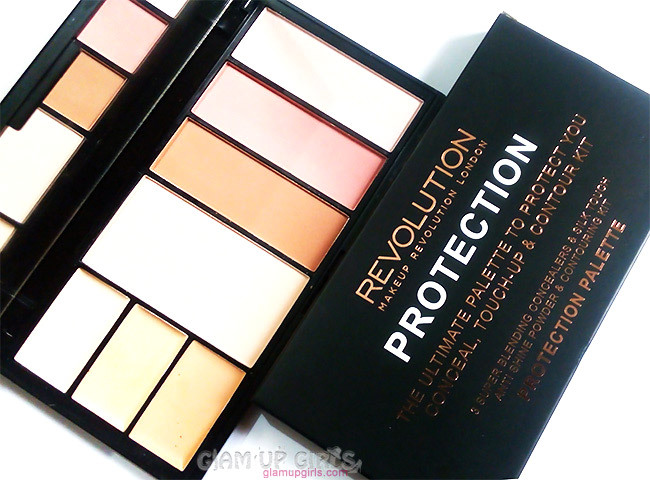 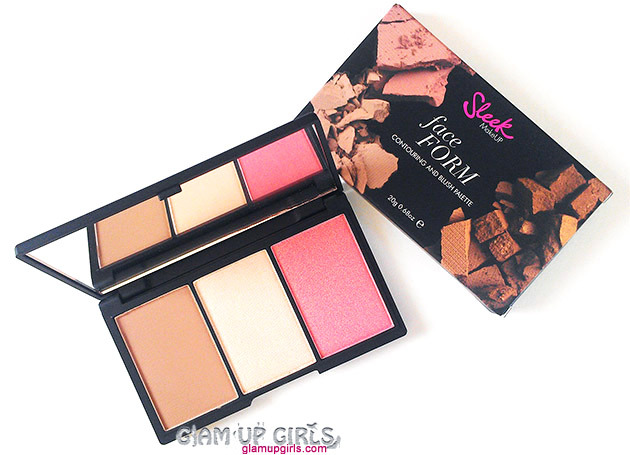 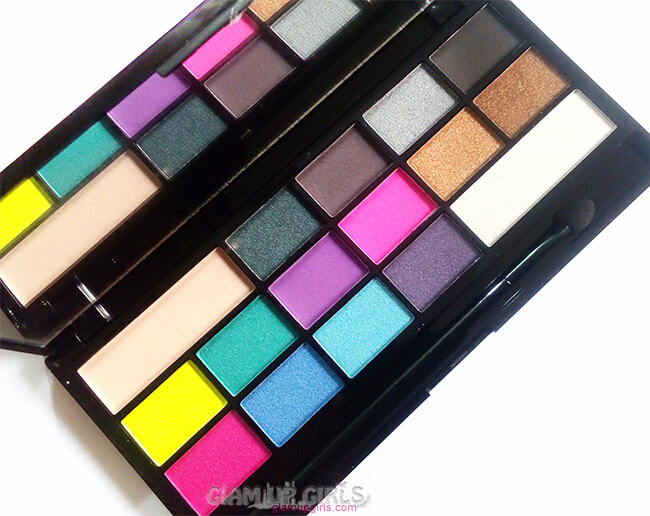 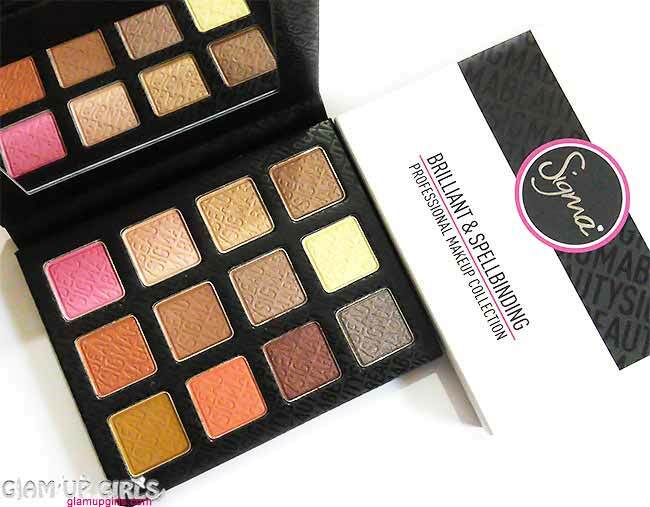 If you are looking for good quality palette with vibrant shades then this is definitely worth picking.